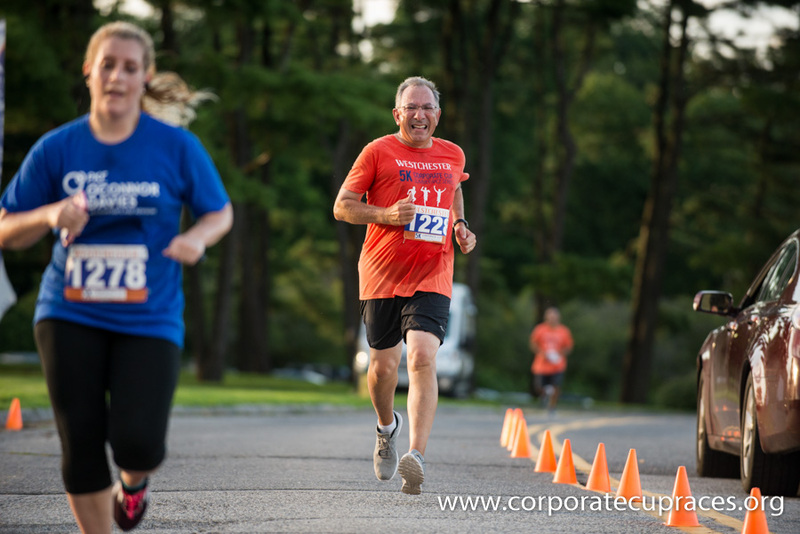 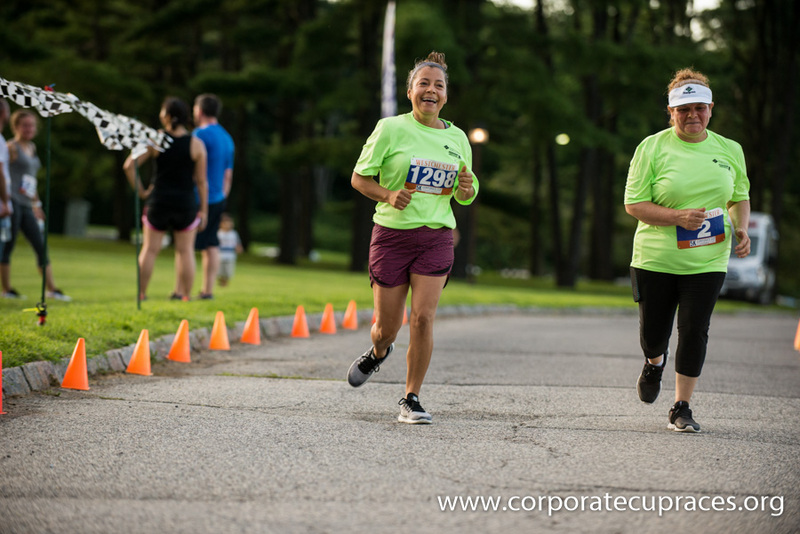 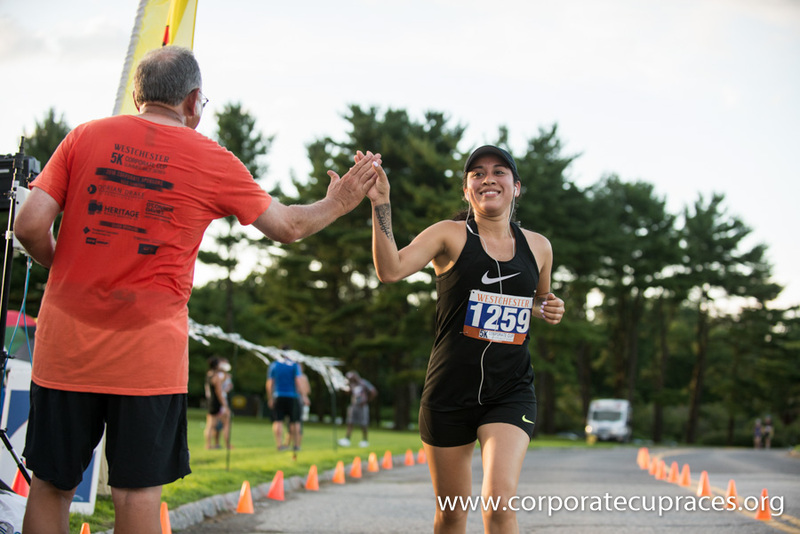 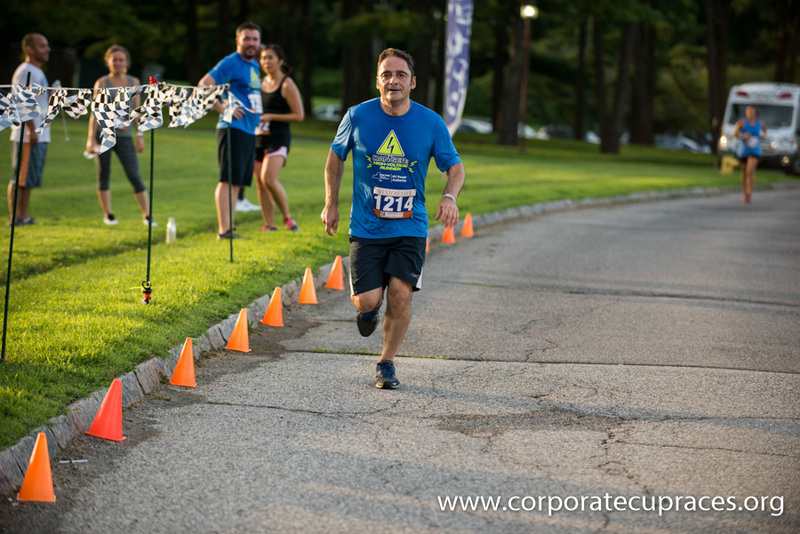 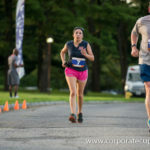 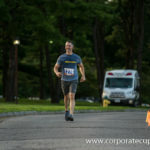 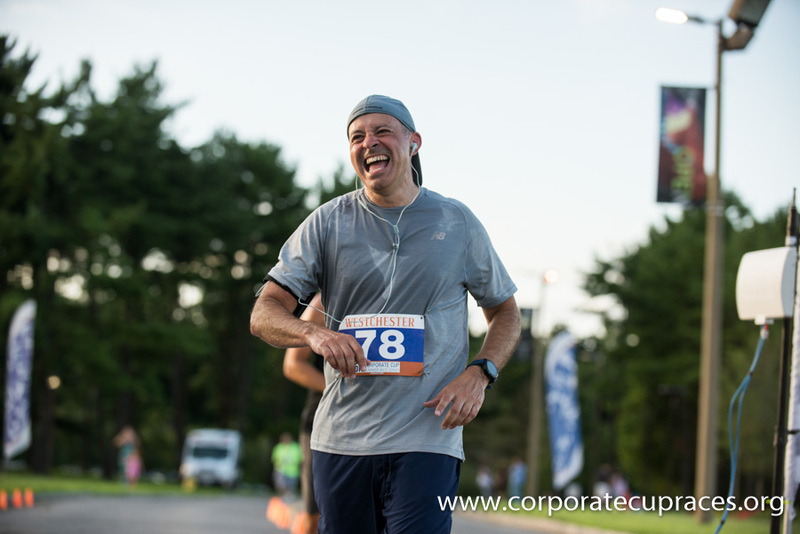 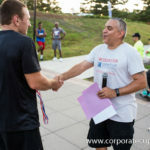 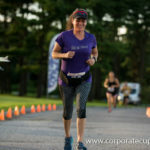 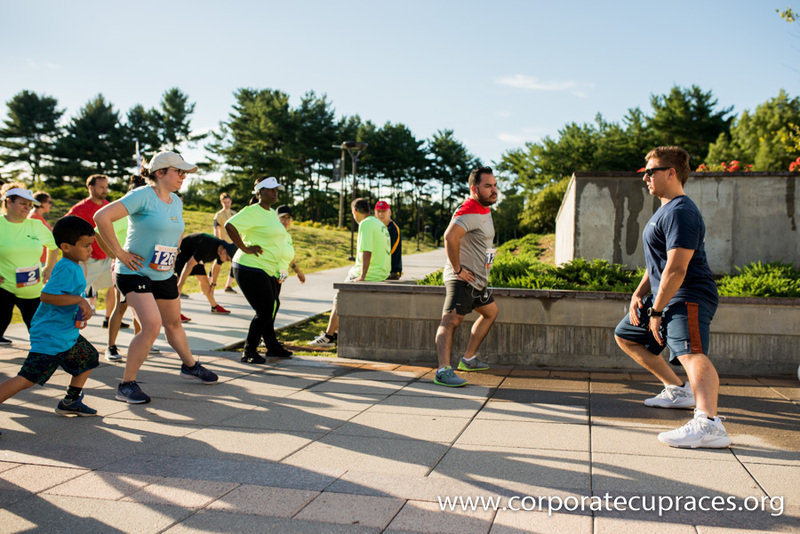 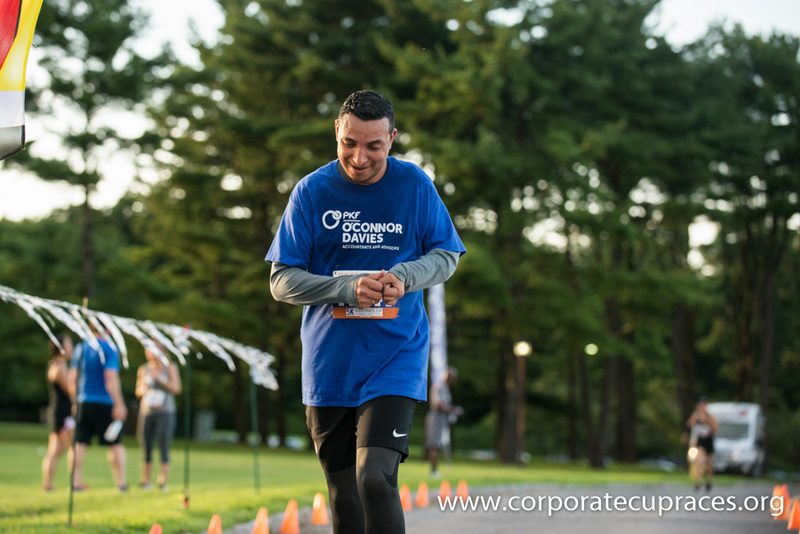 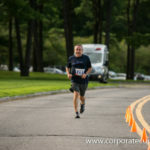 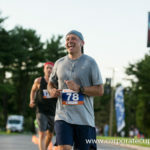 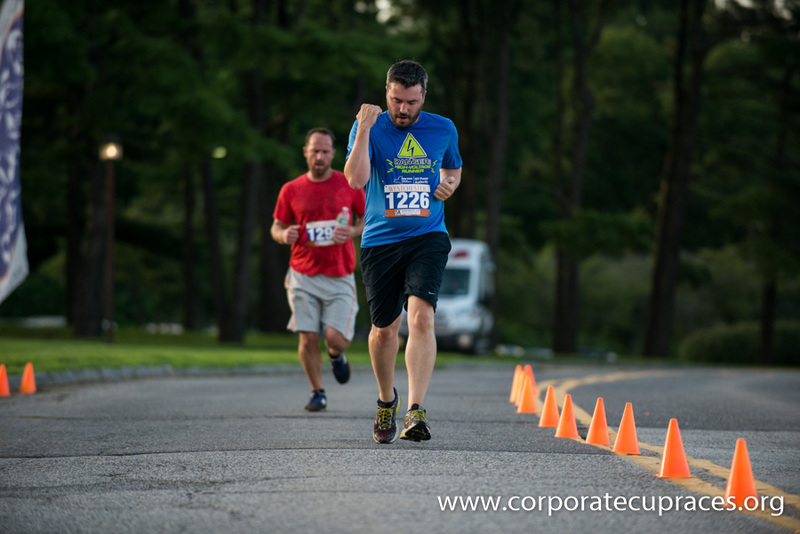 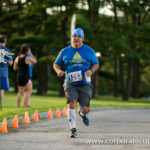 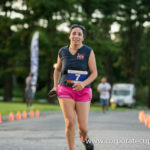 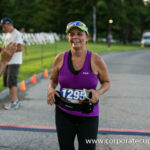 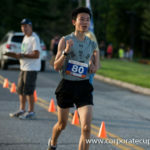 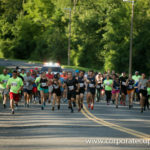 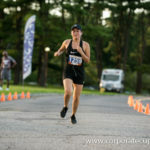 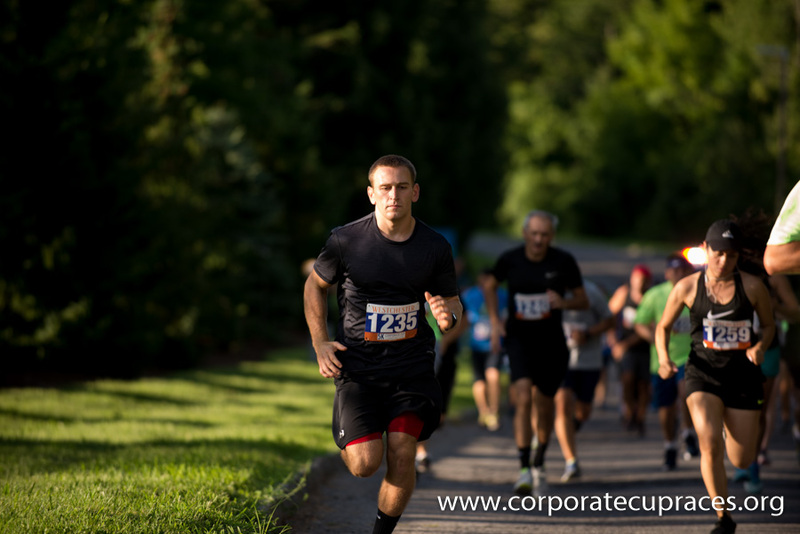 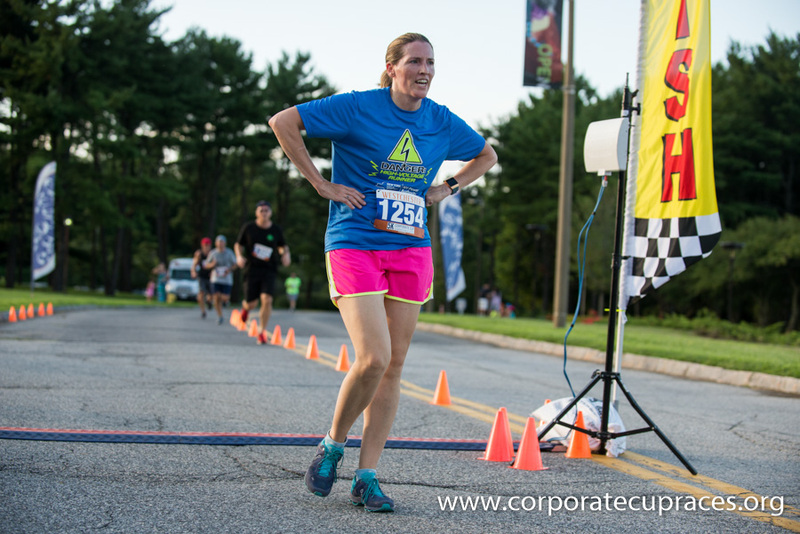 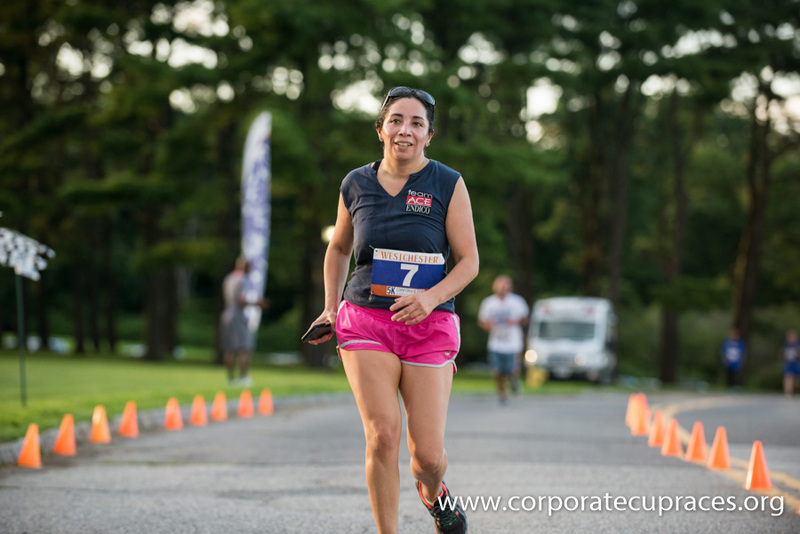 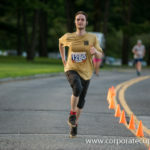 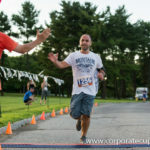 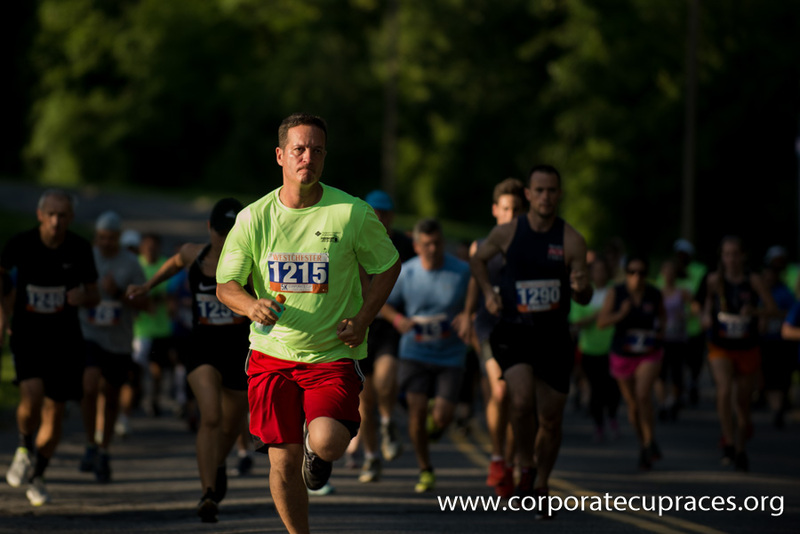 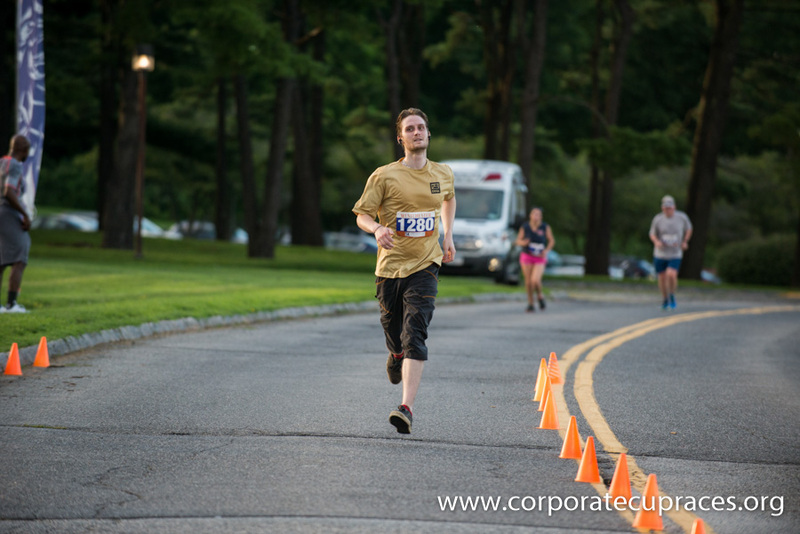 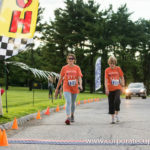 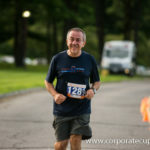 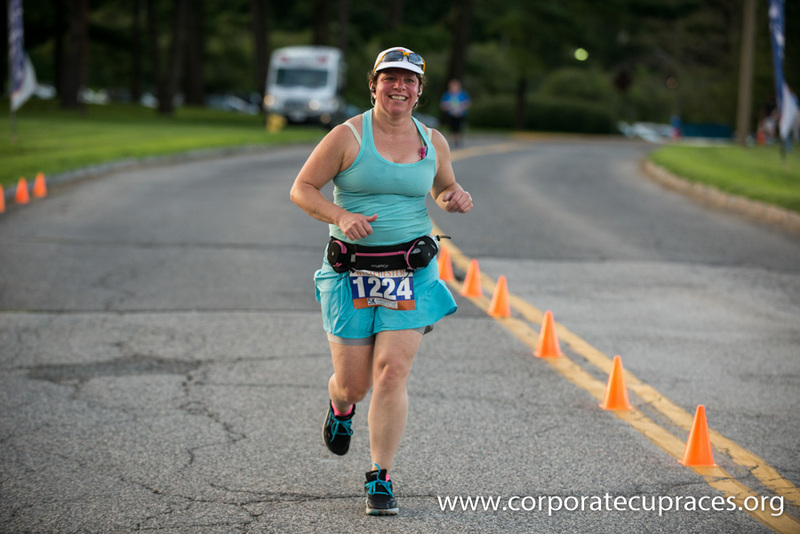 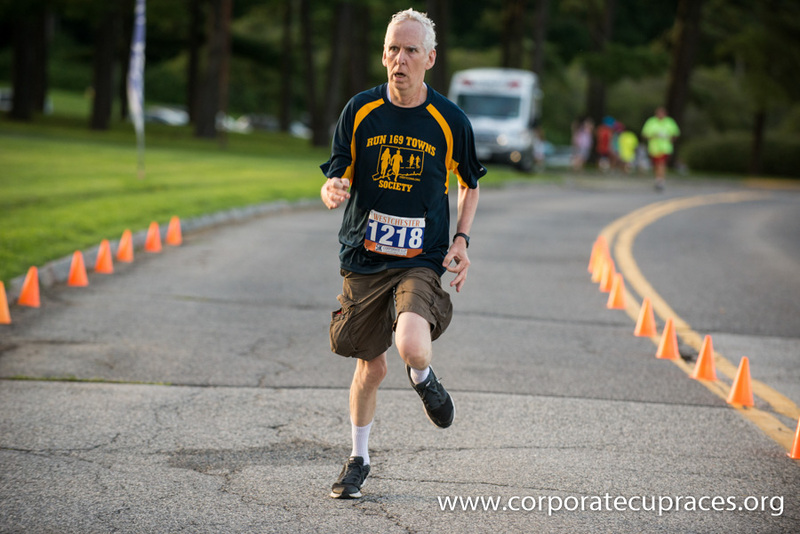 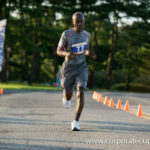 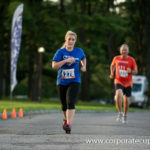 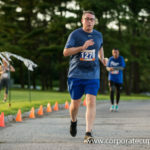 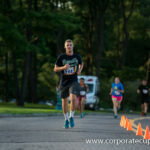 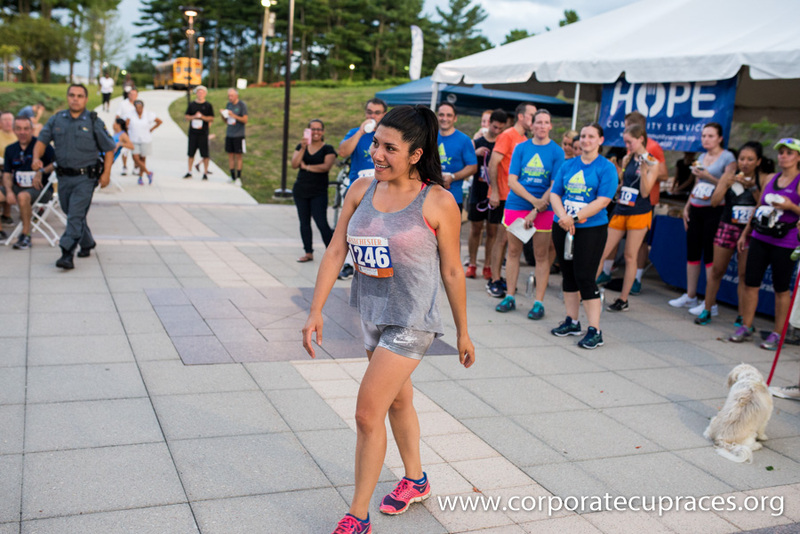 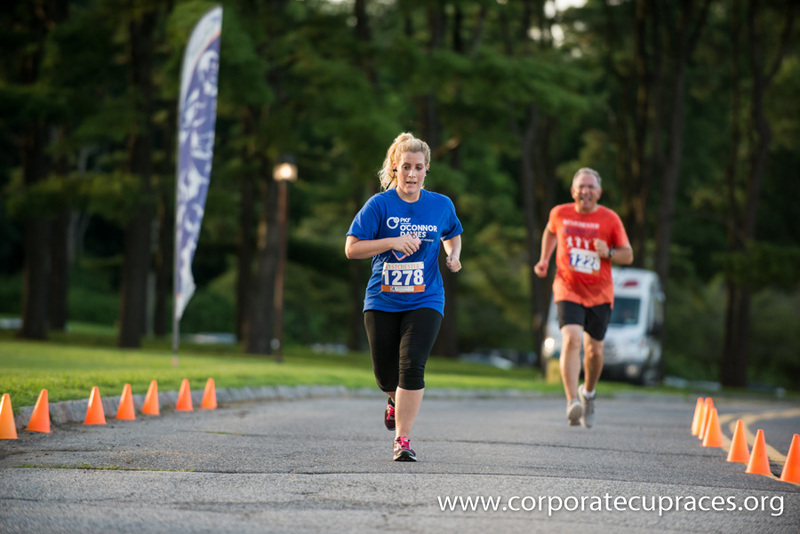 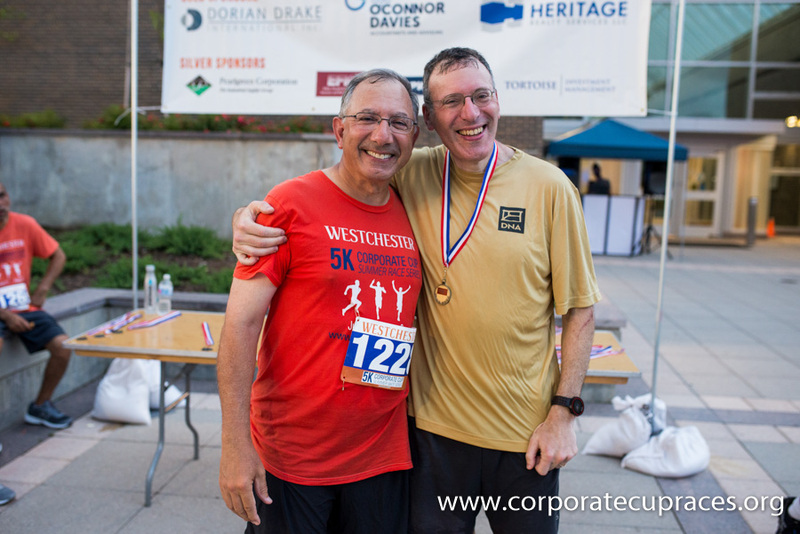 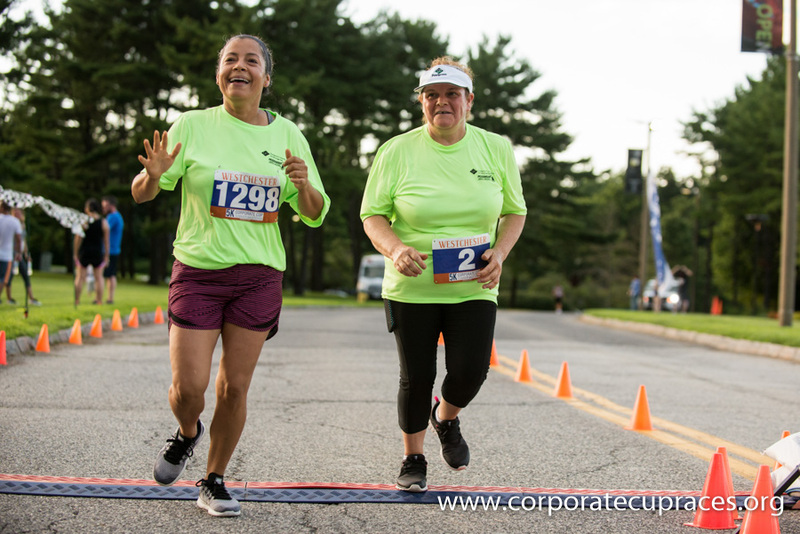 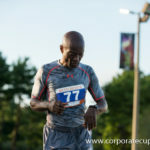 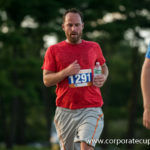 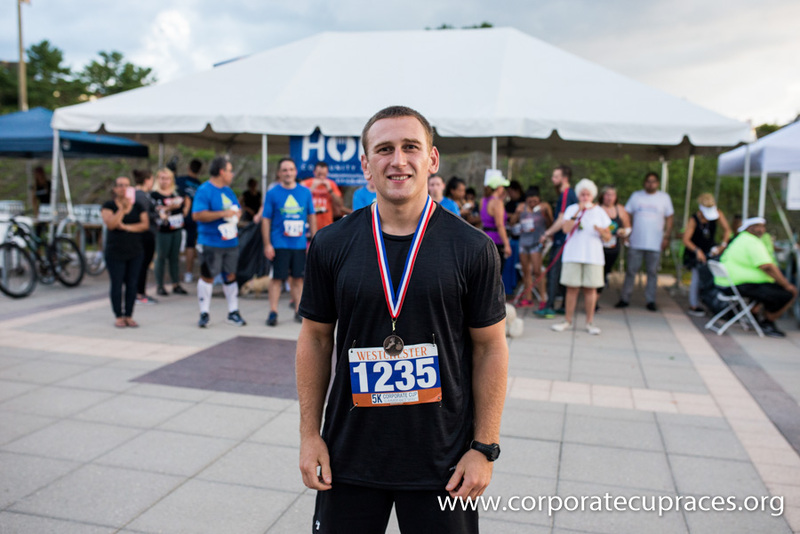 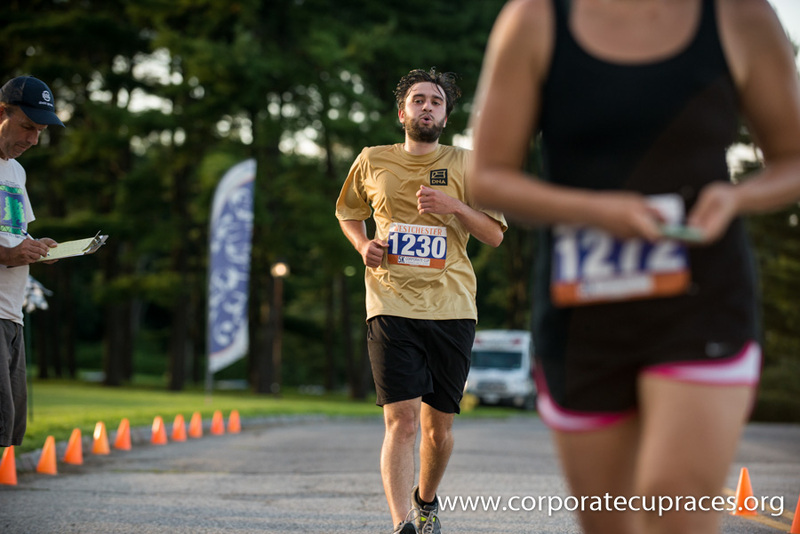 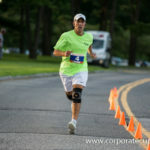 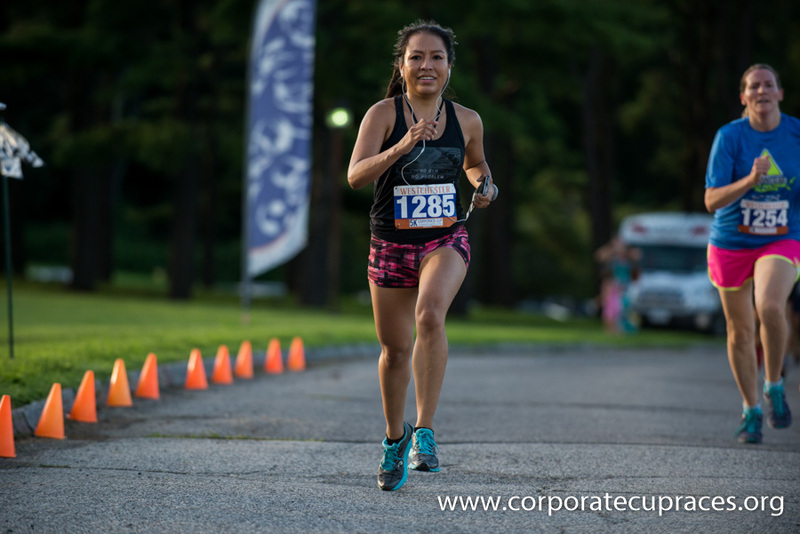 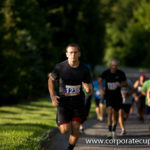 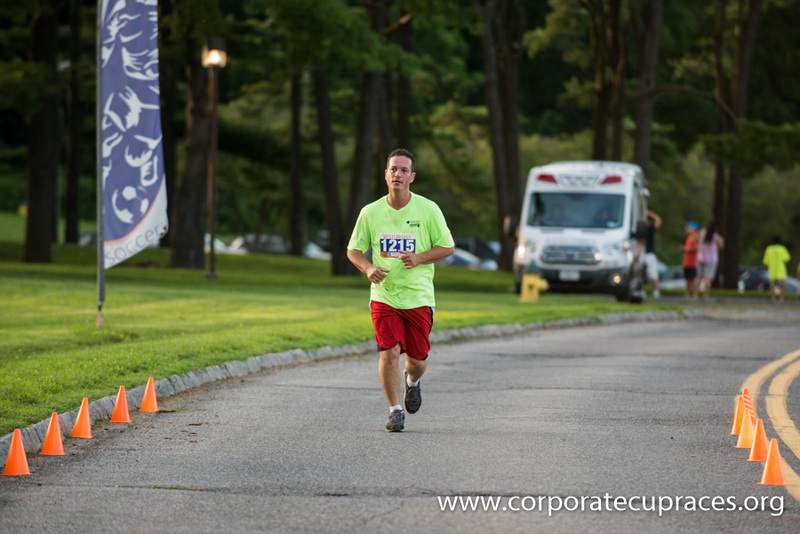 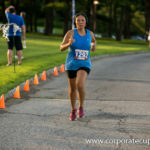 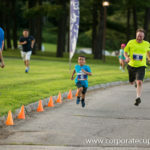 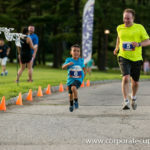 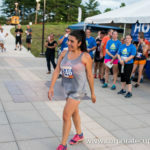 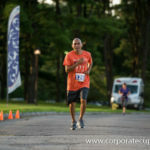 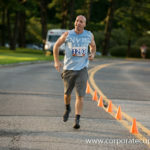 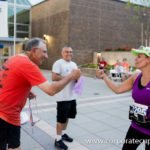 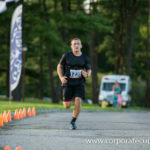 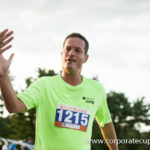 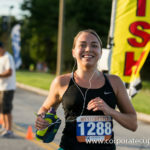 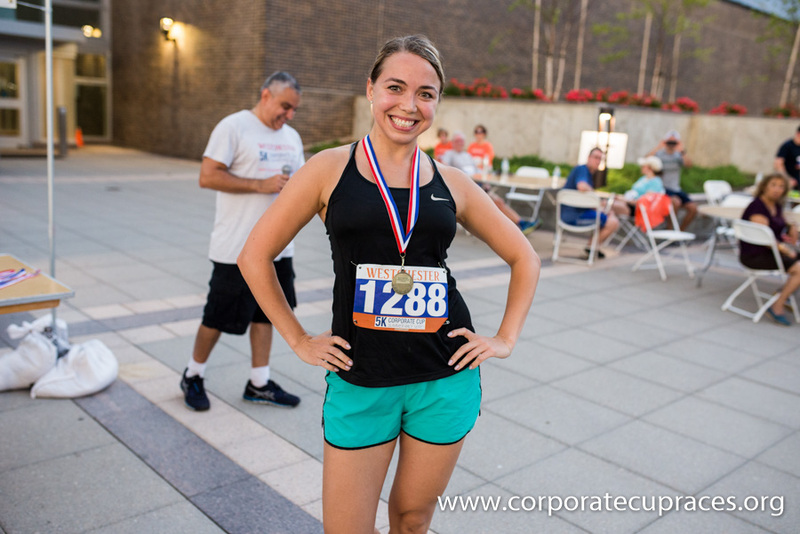 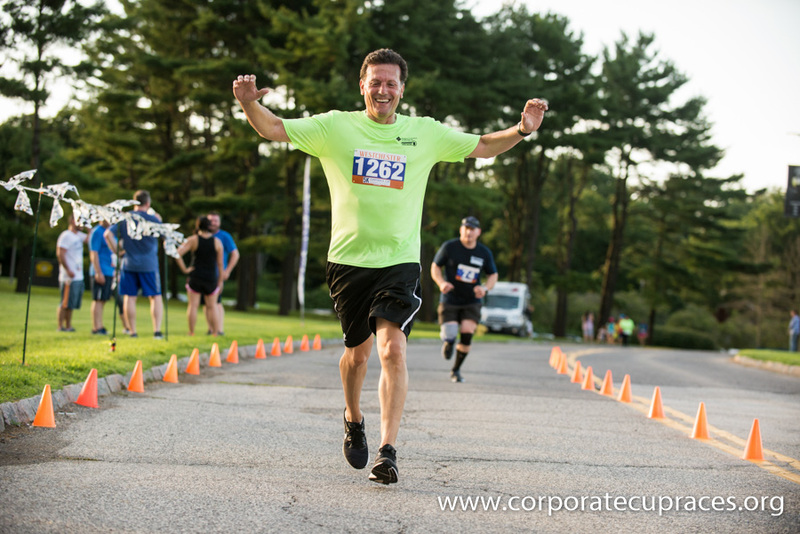 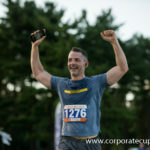 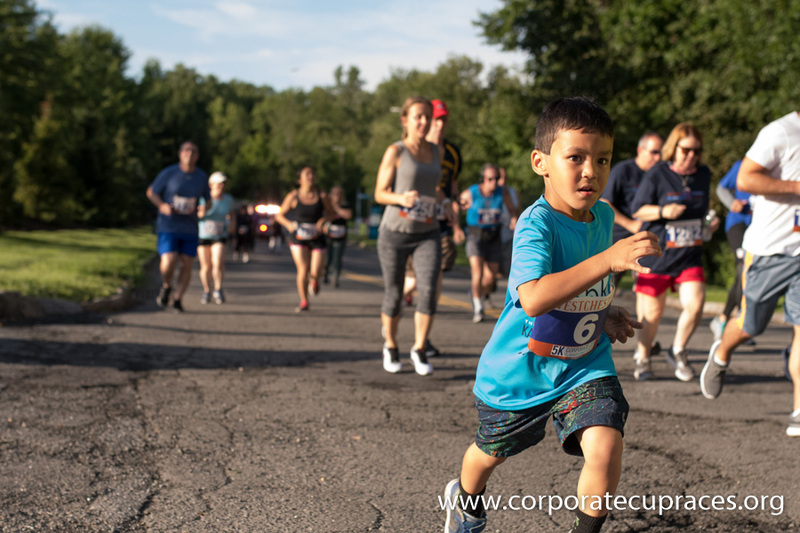 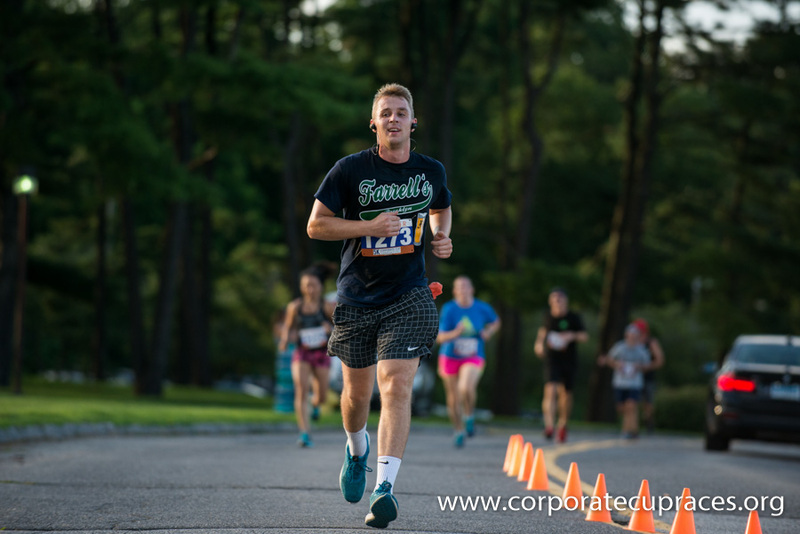 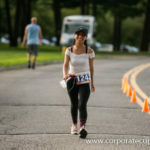 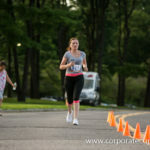 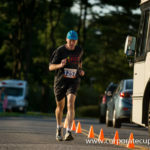 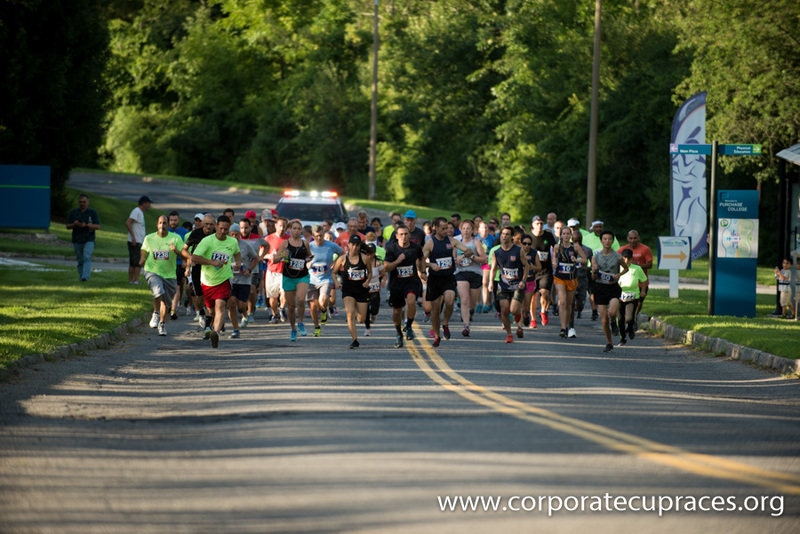 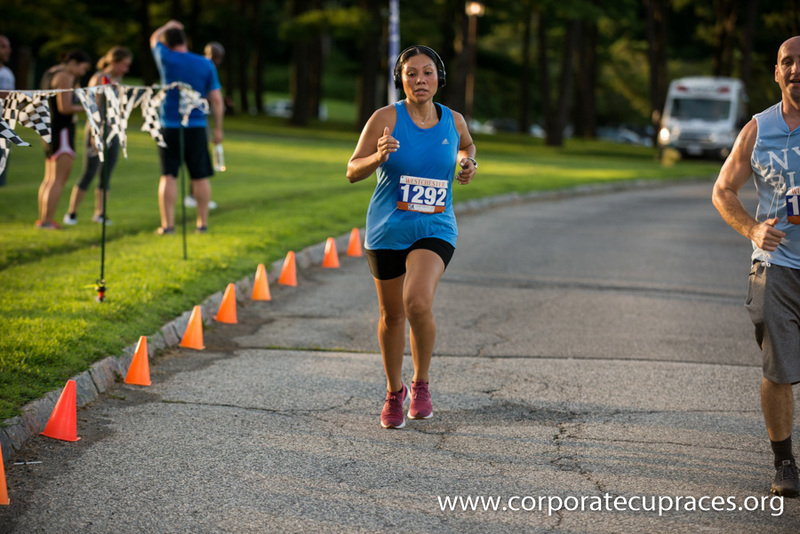 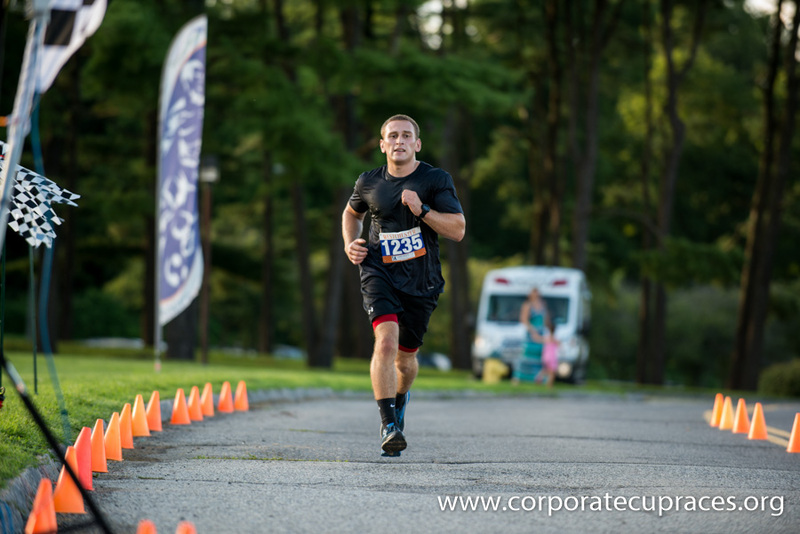 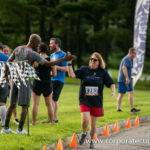 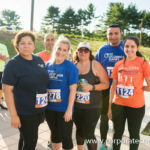 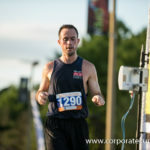 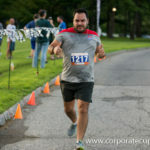 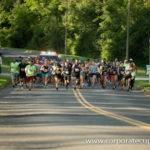 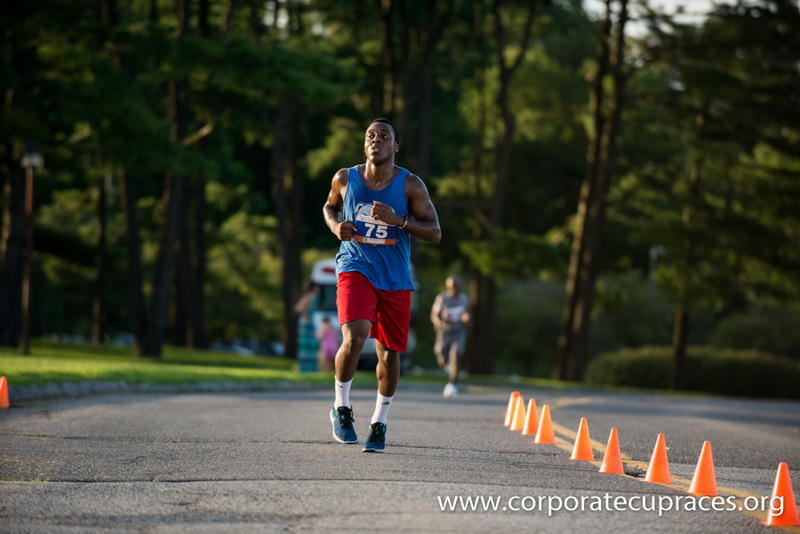 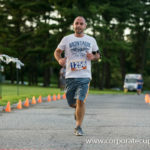 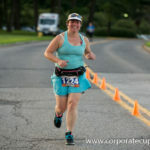 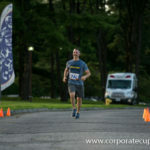 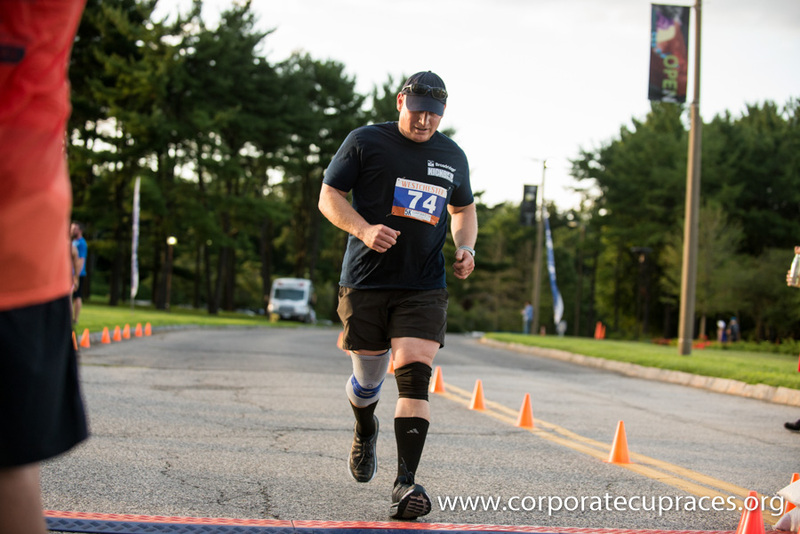 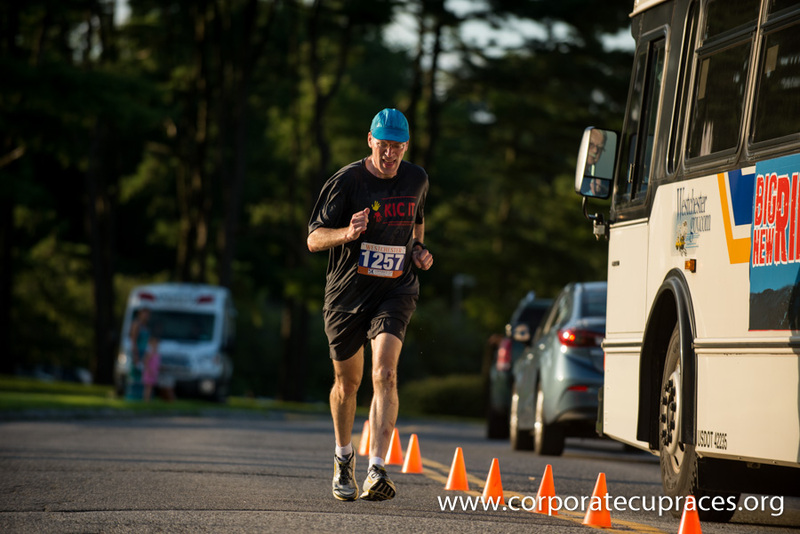 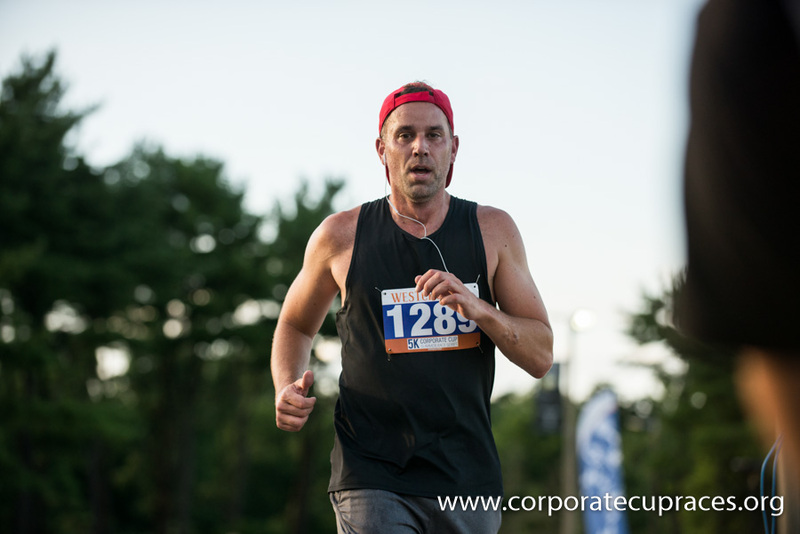 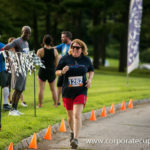 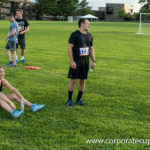 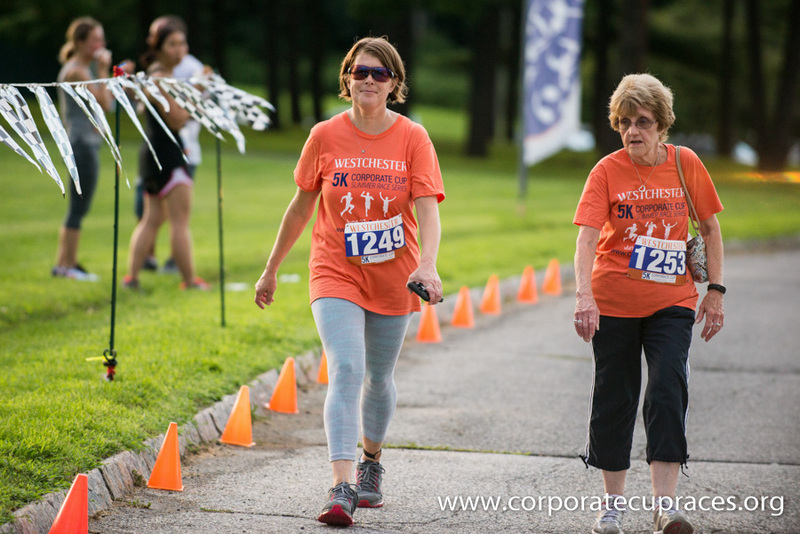 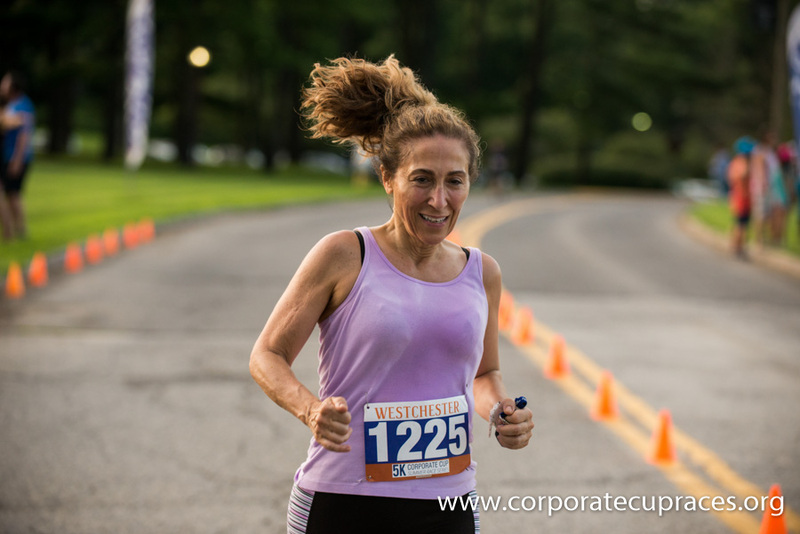 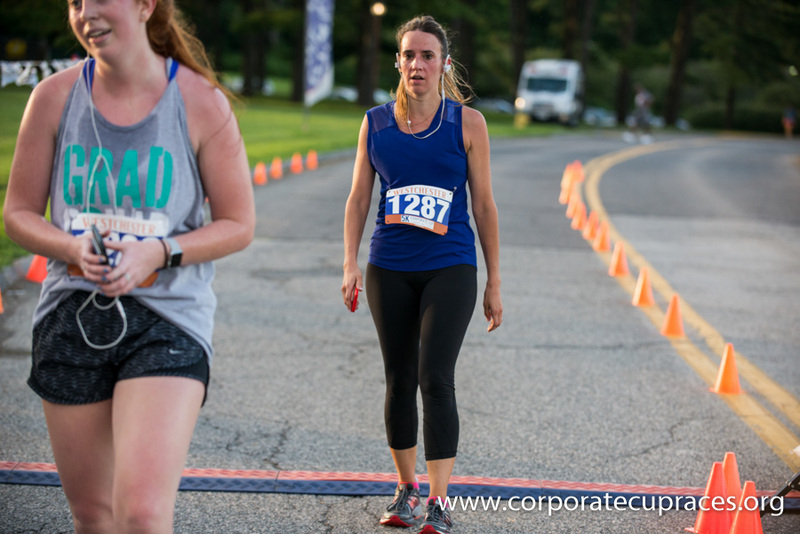 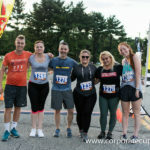 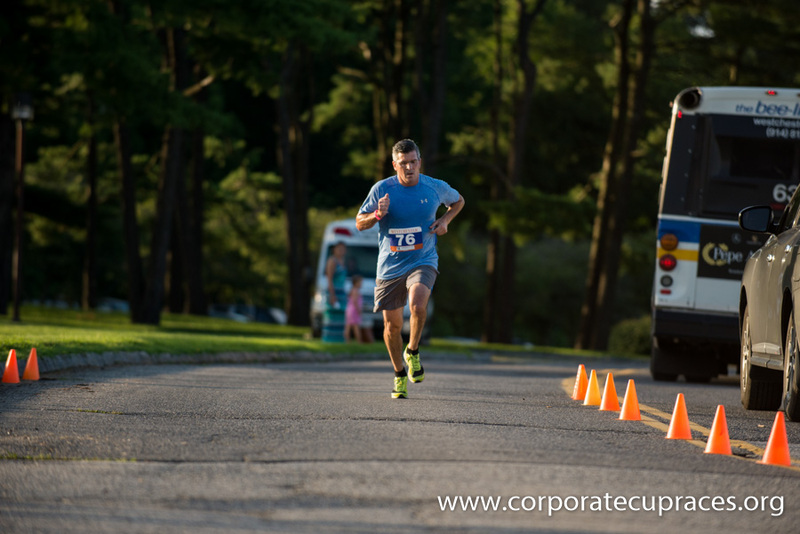 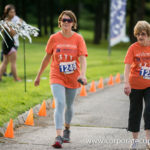 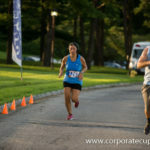 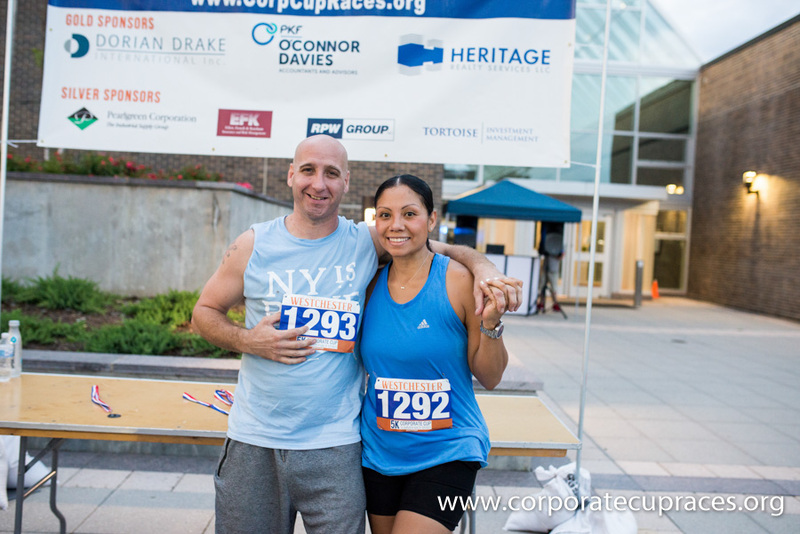 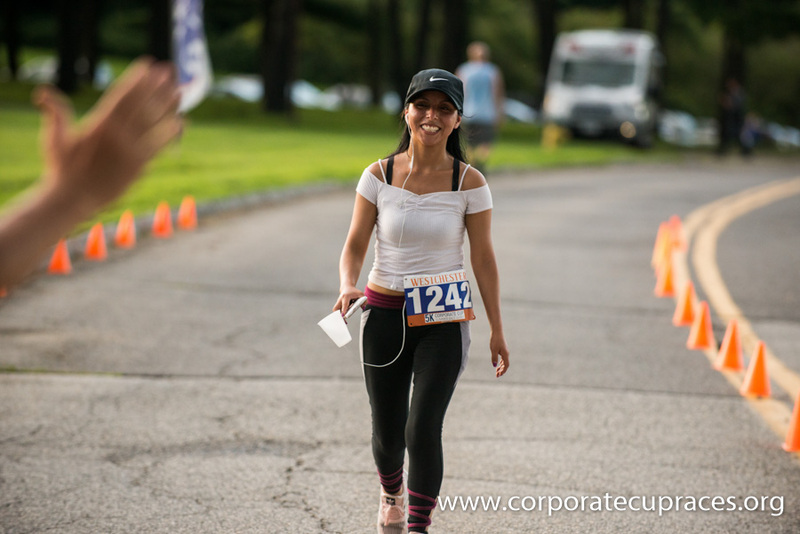 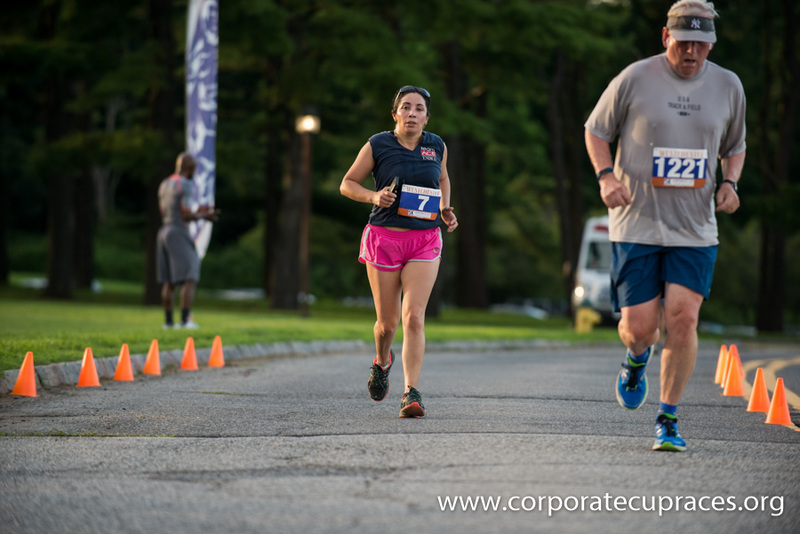 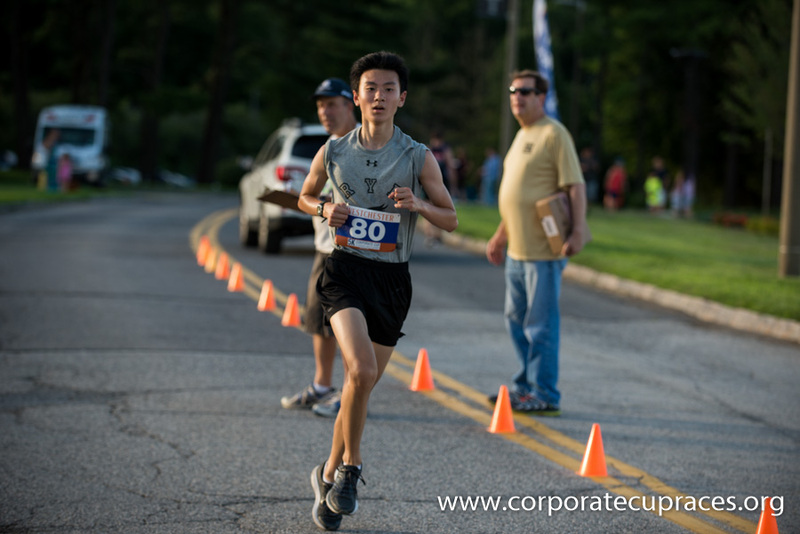 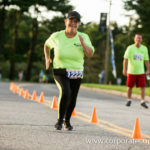 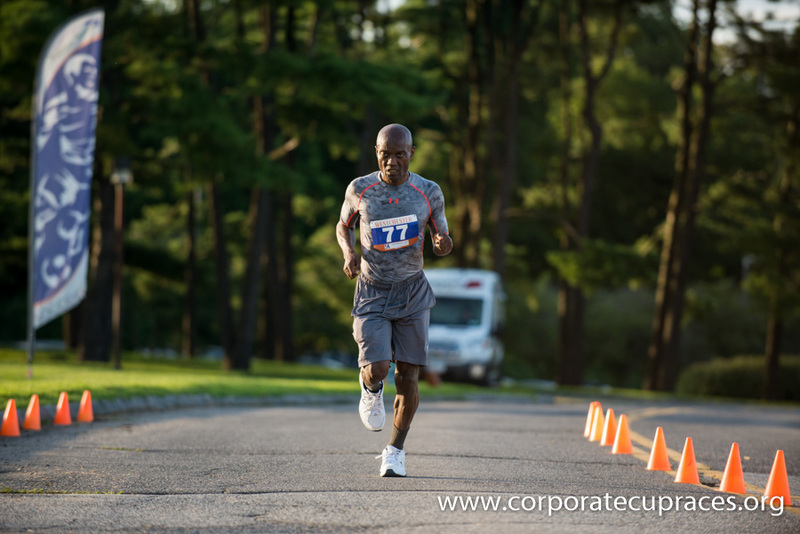 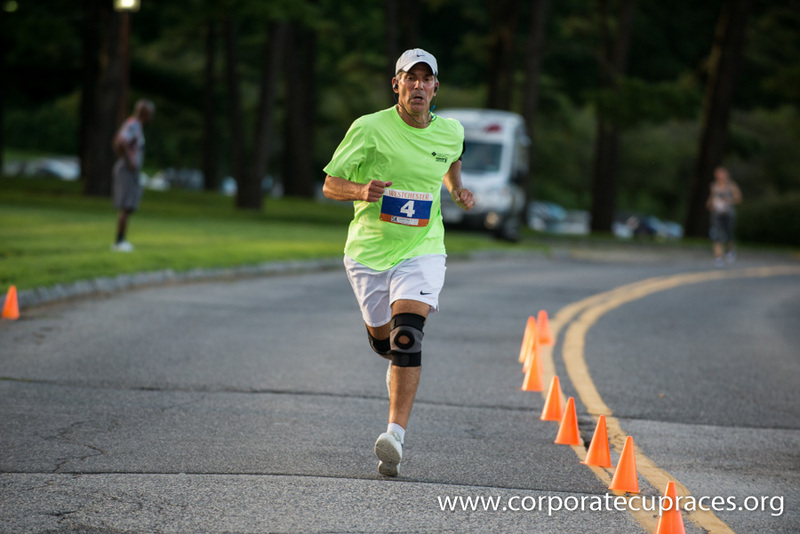 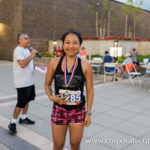 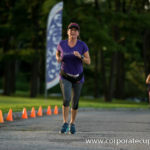 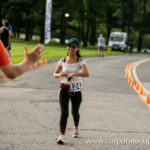 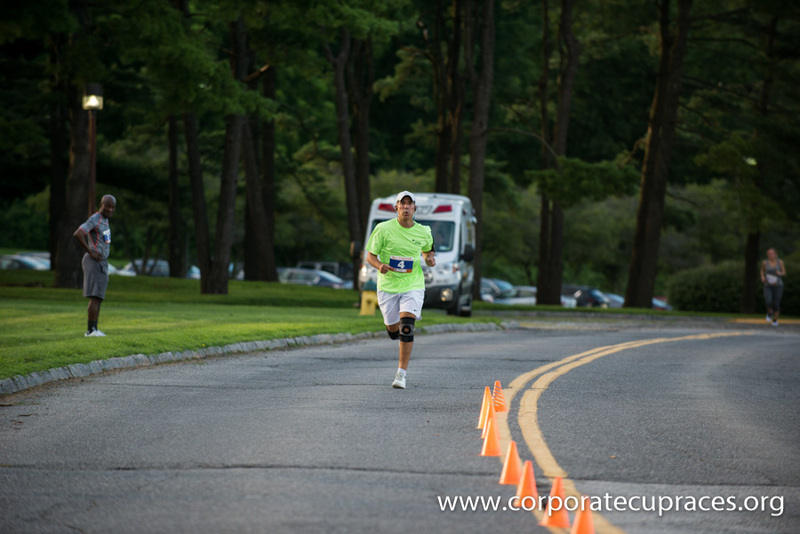 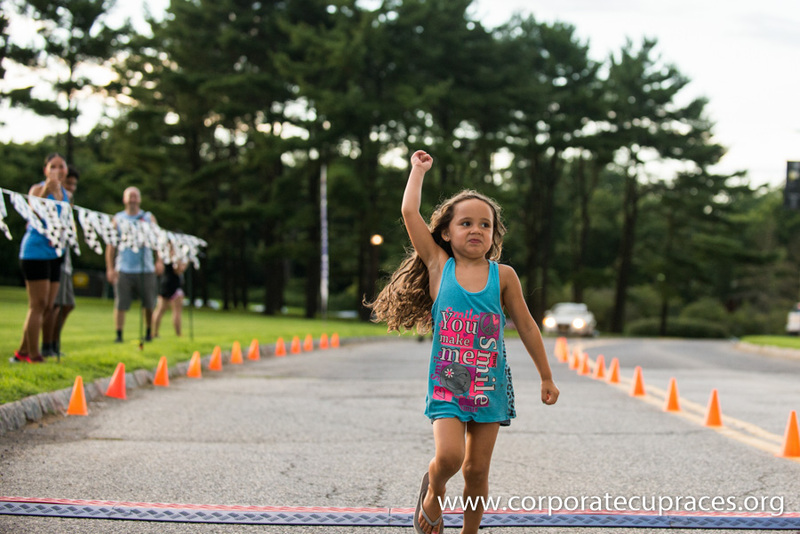 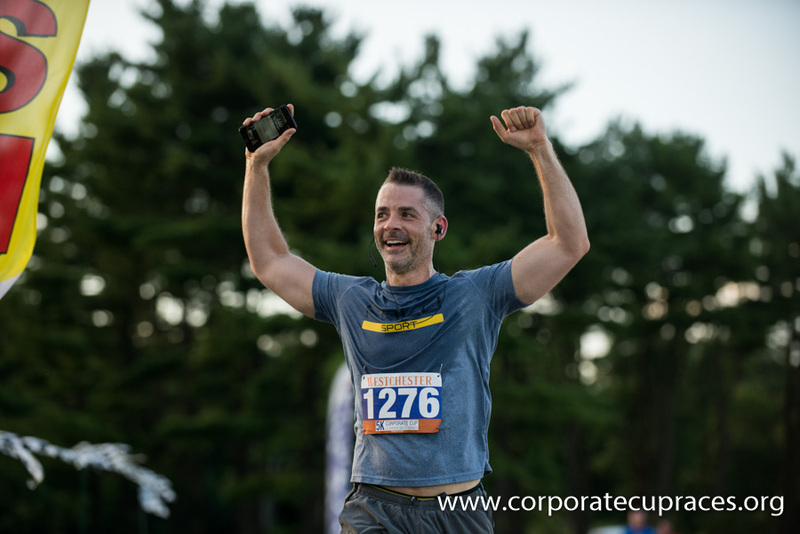 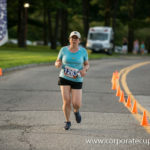 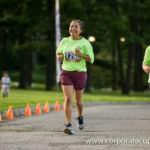 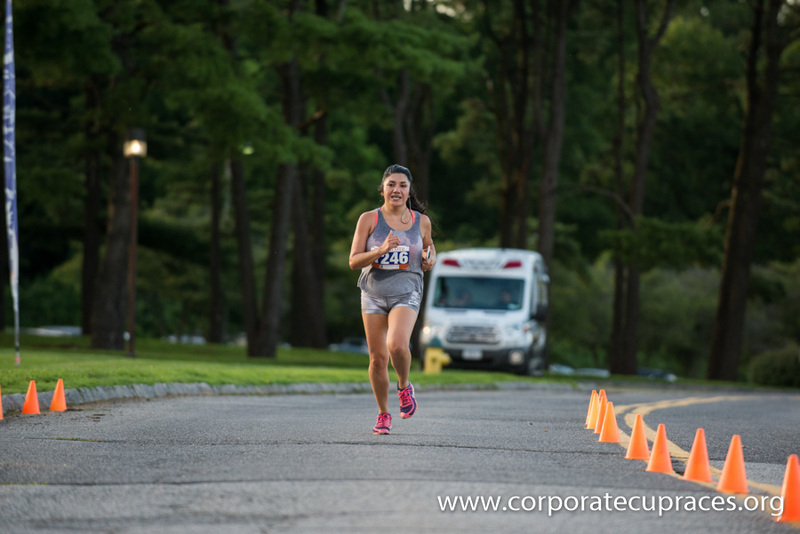 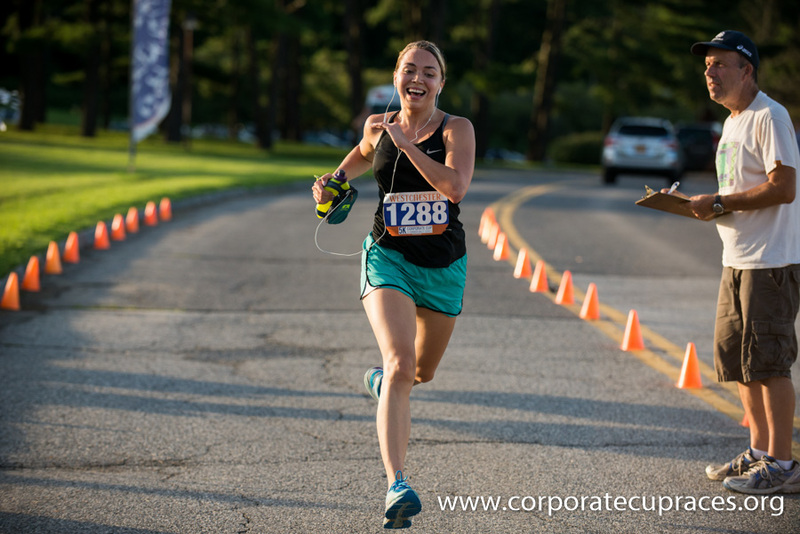 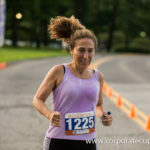 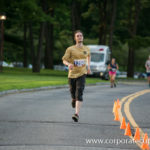 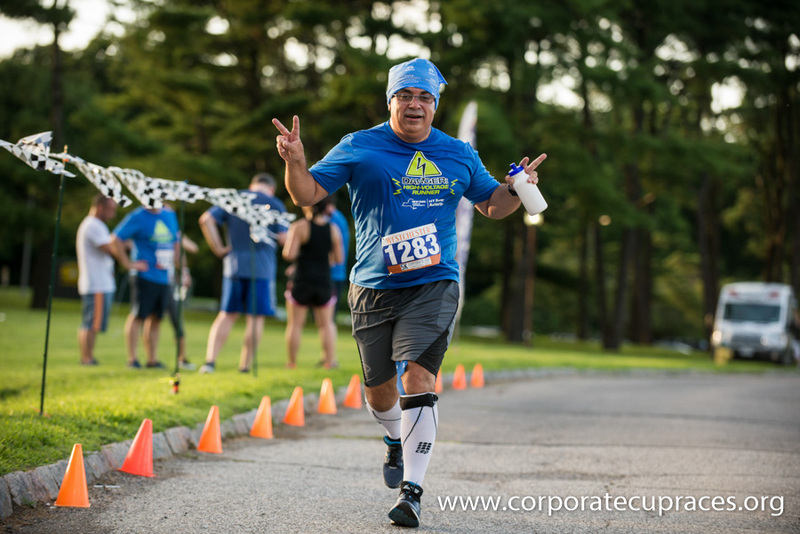 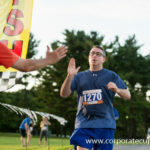 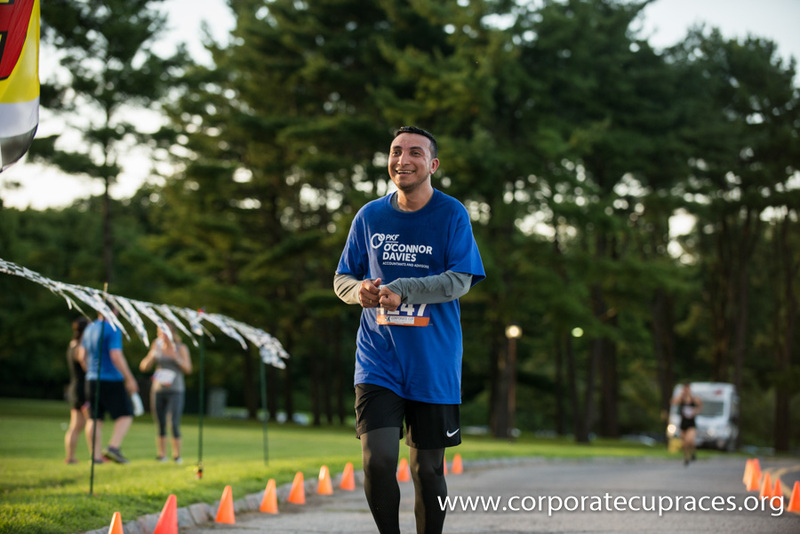 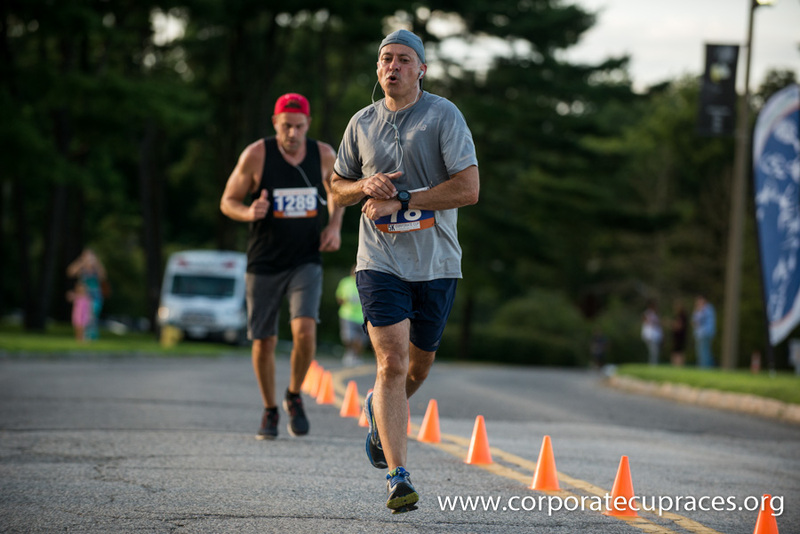 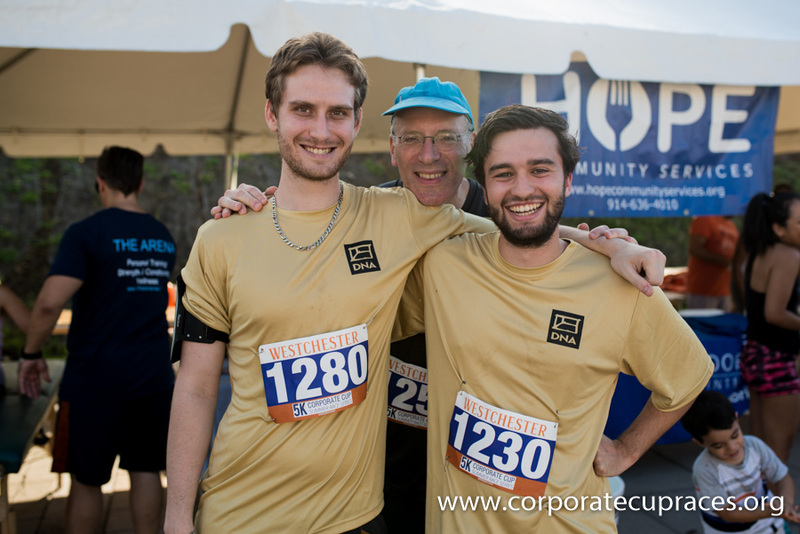 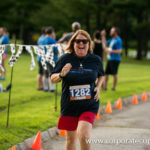 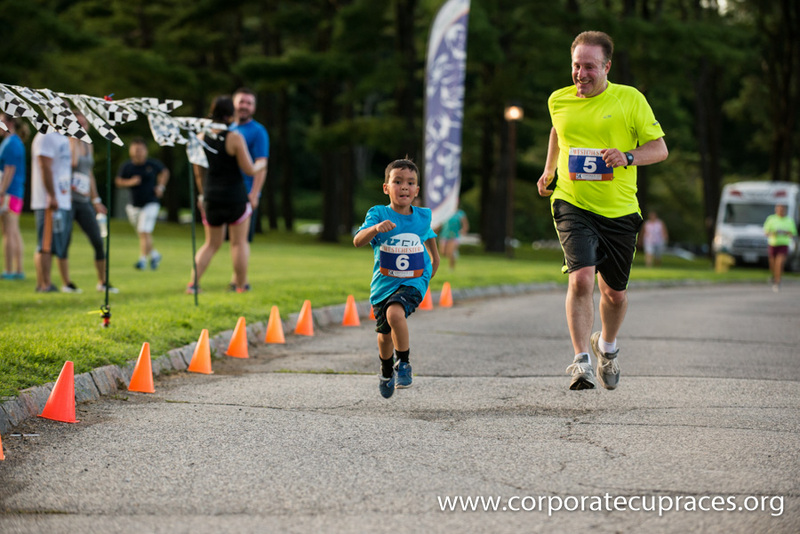 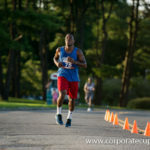 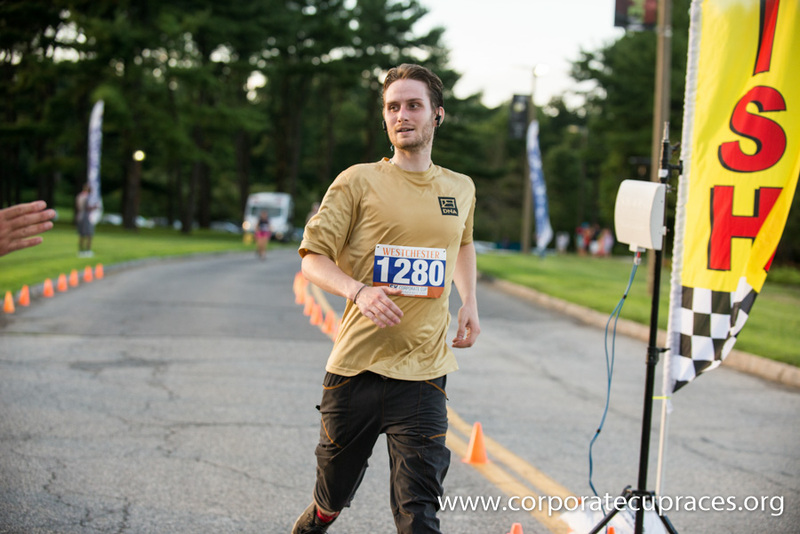 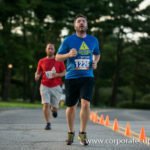 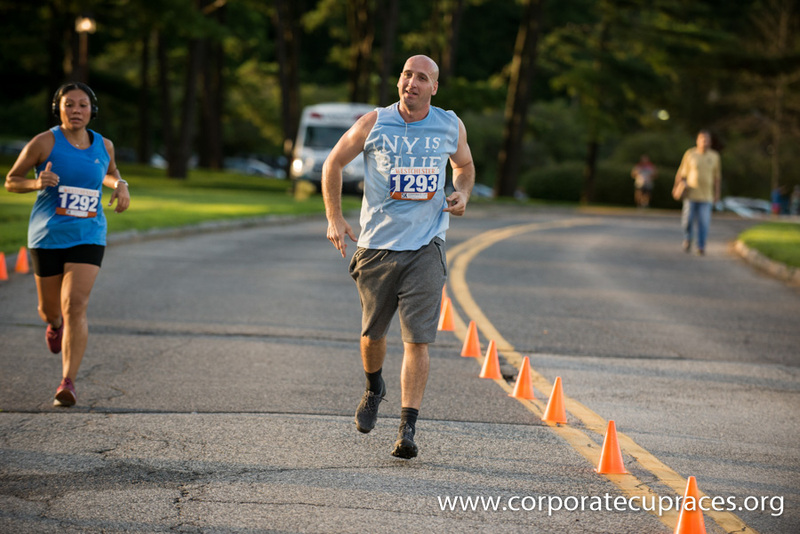 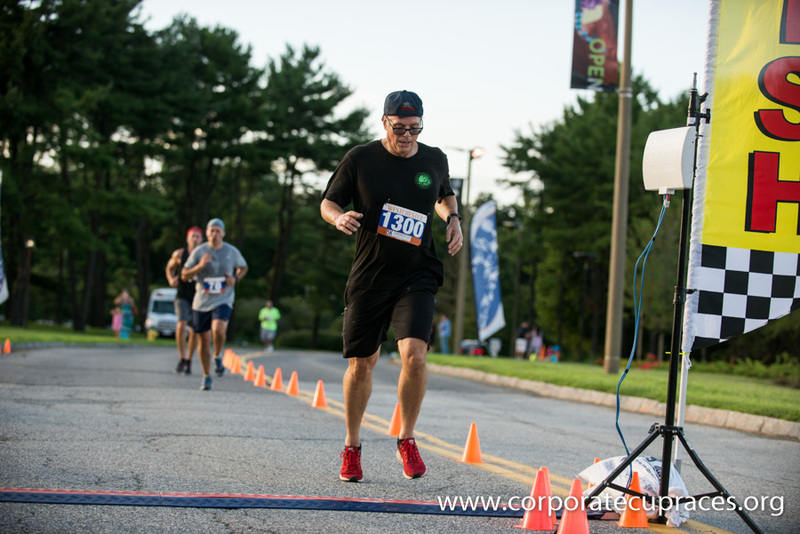 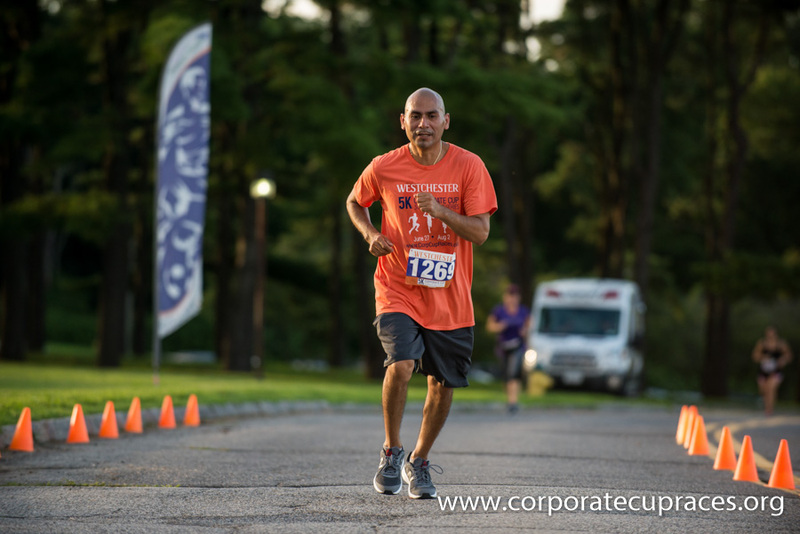 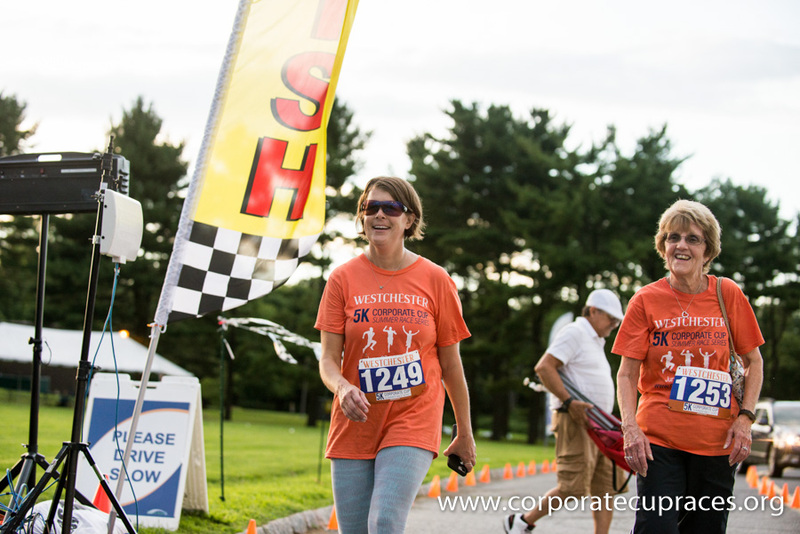 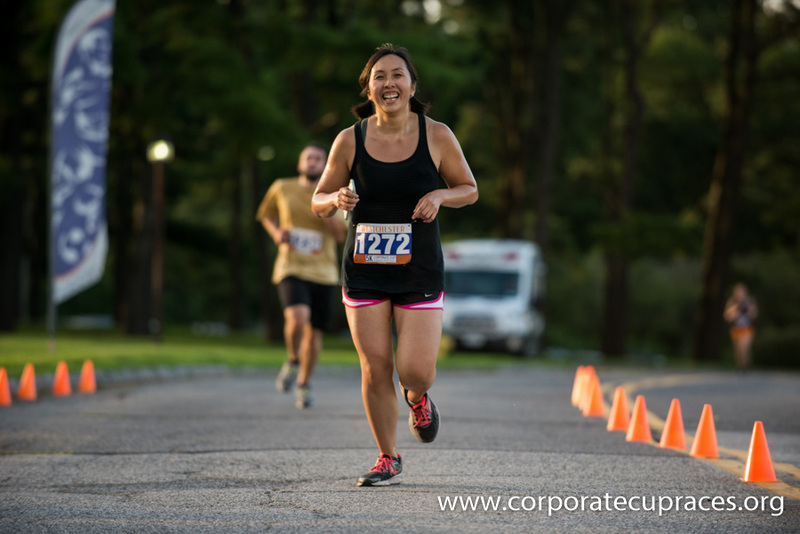 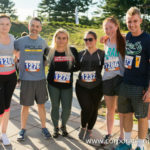 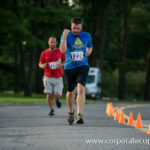 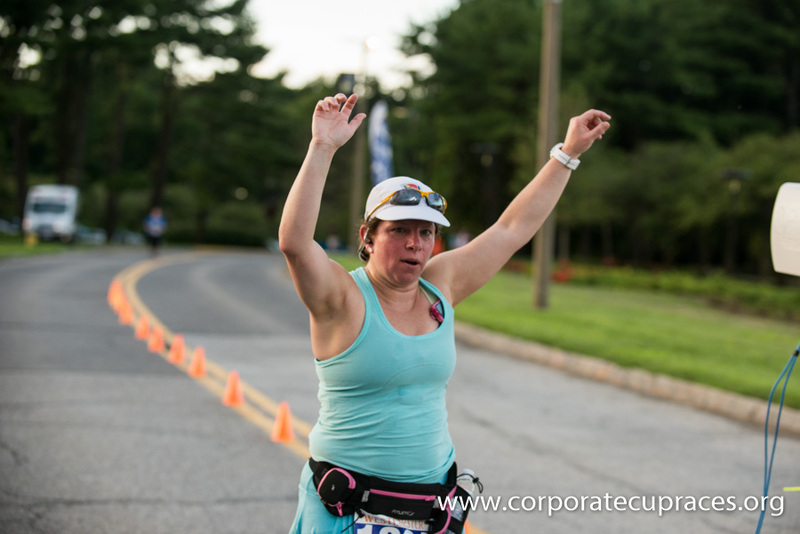 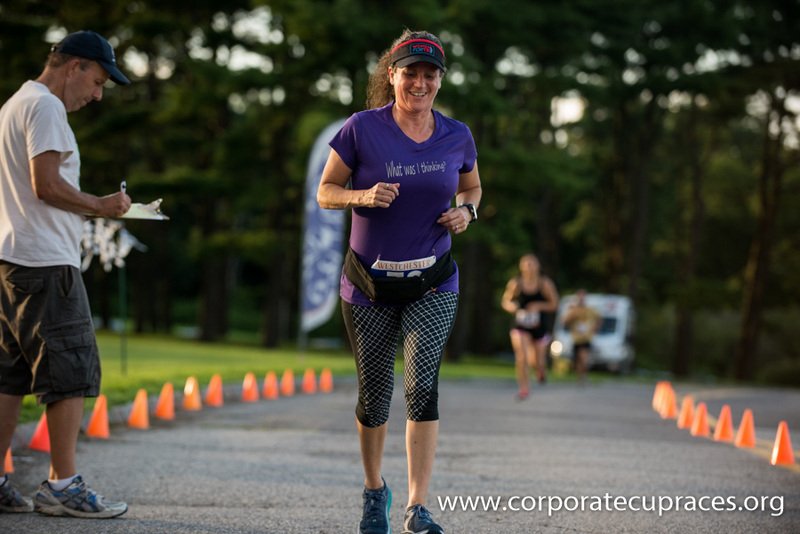 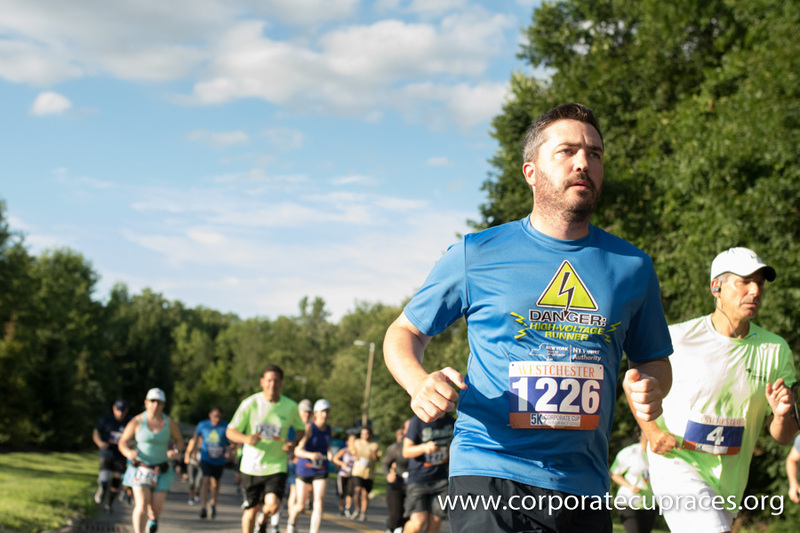 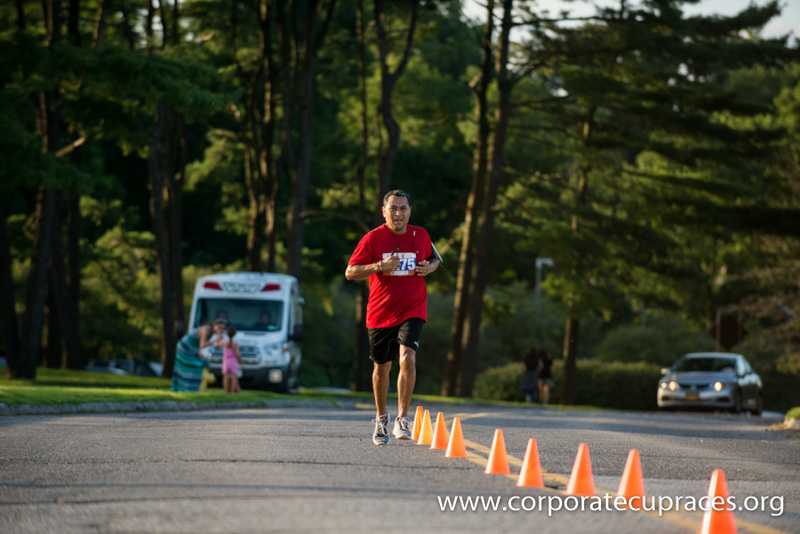 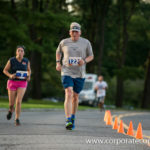 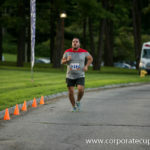 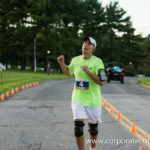 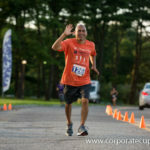 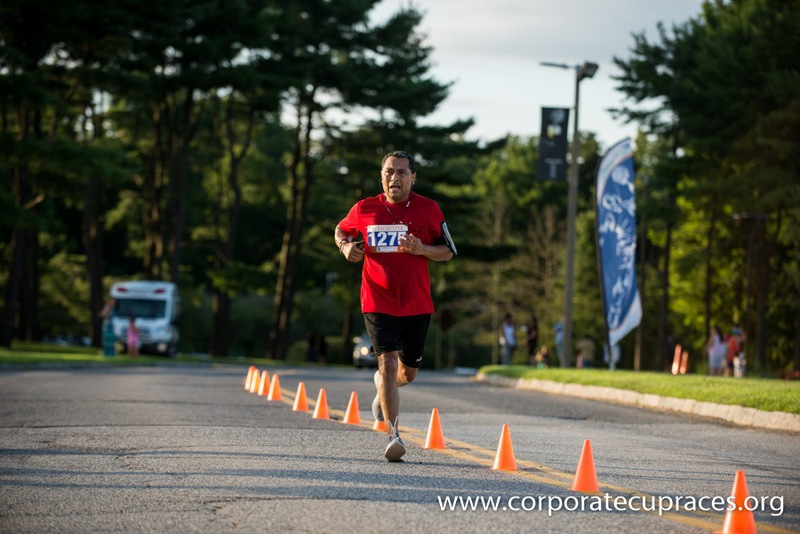 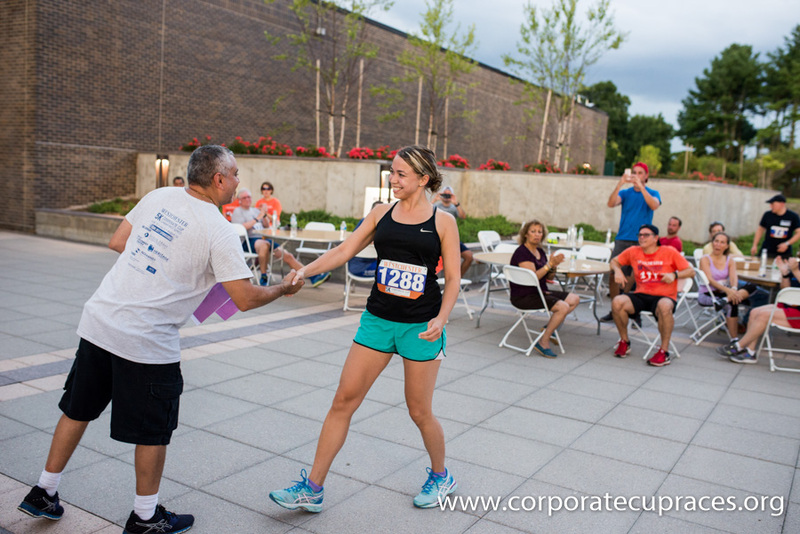 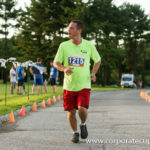 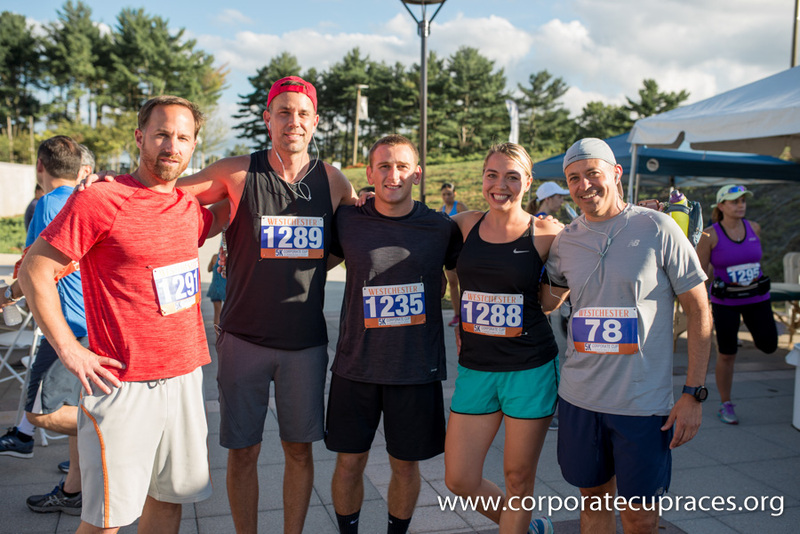 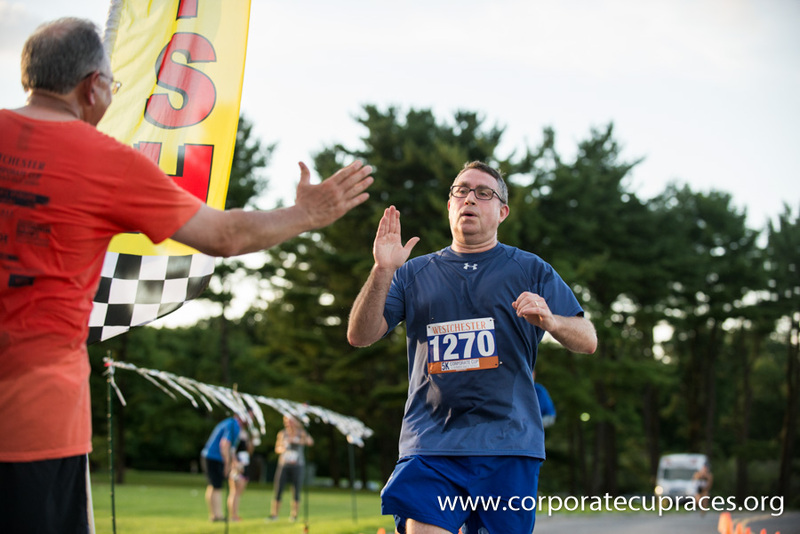 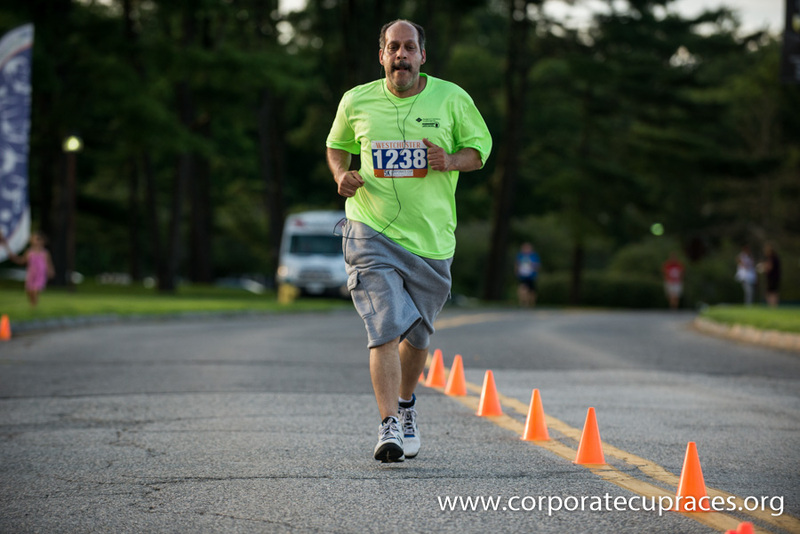 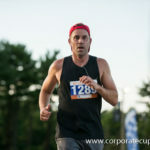 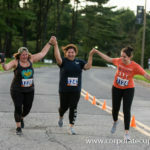 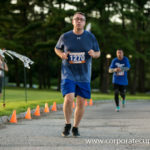 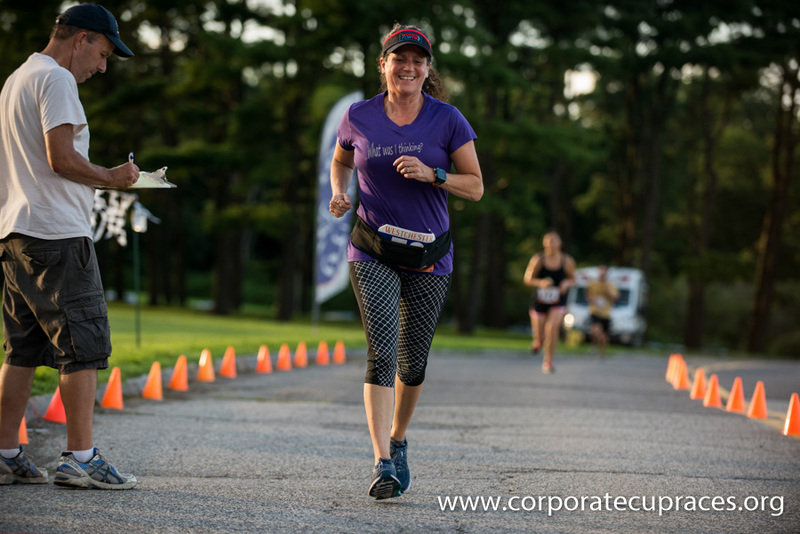 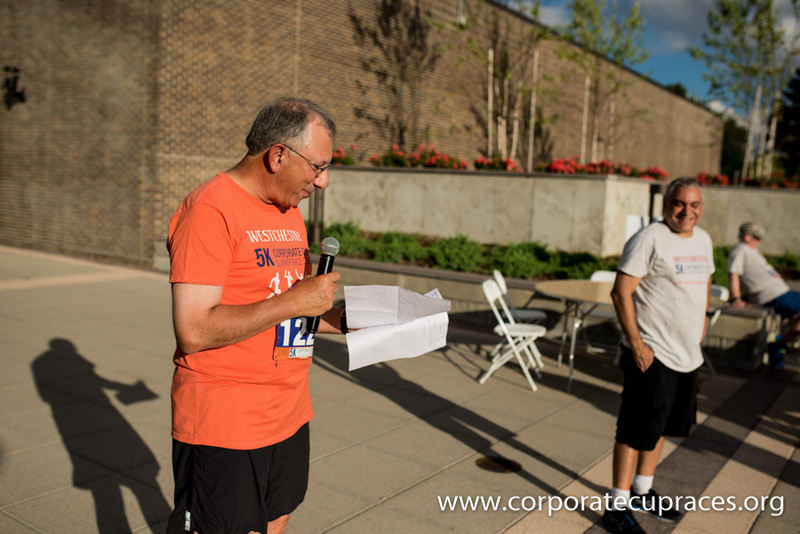 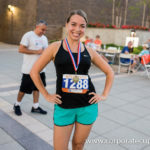 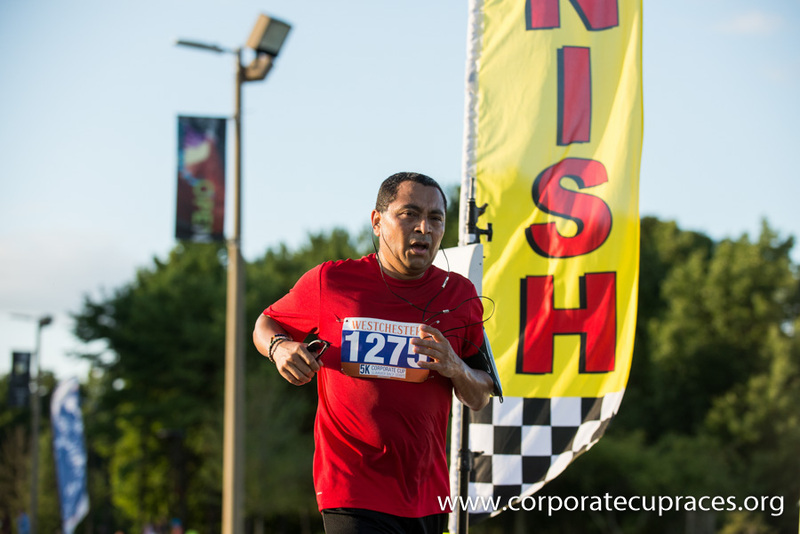 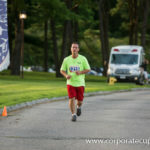 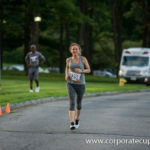 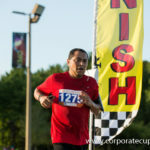 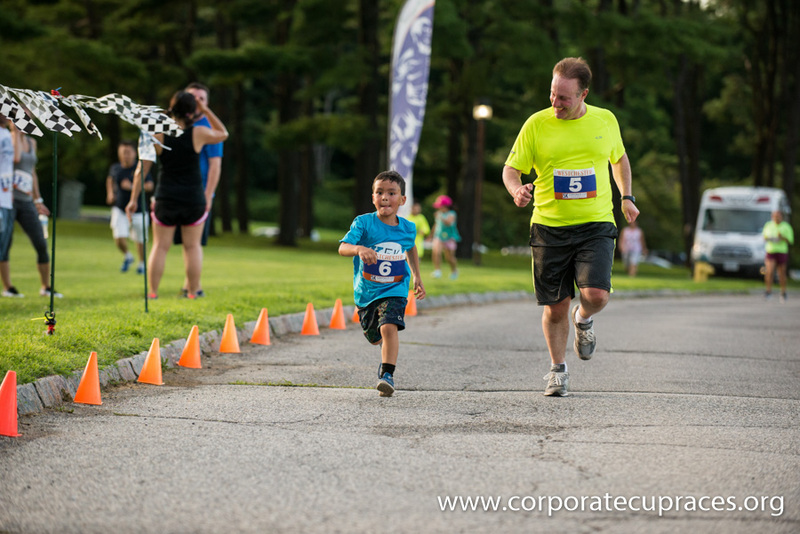 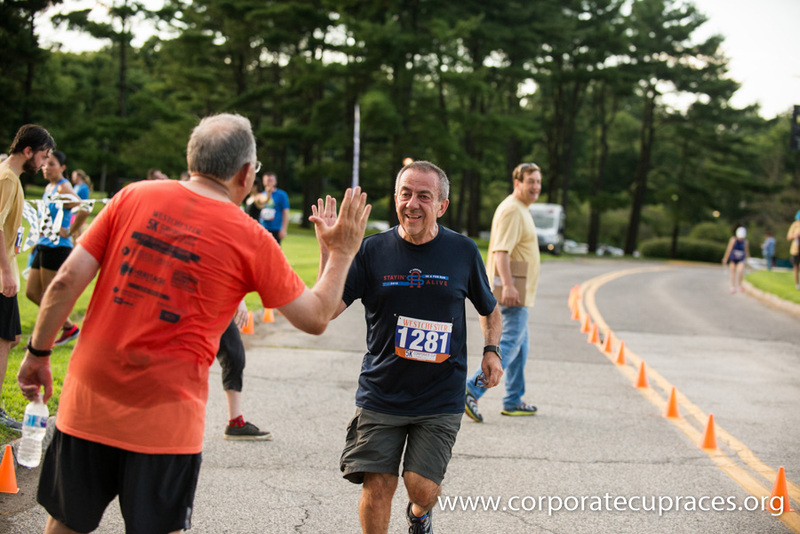 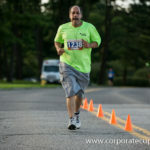 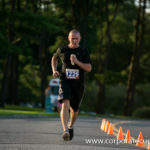 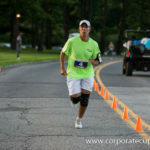 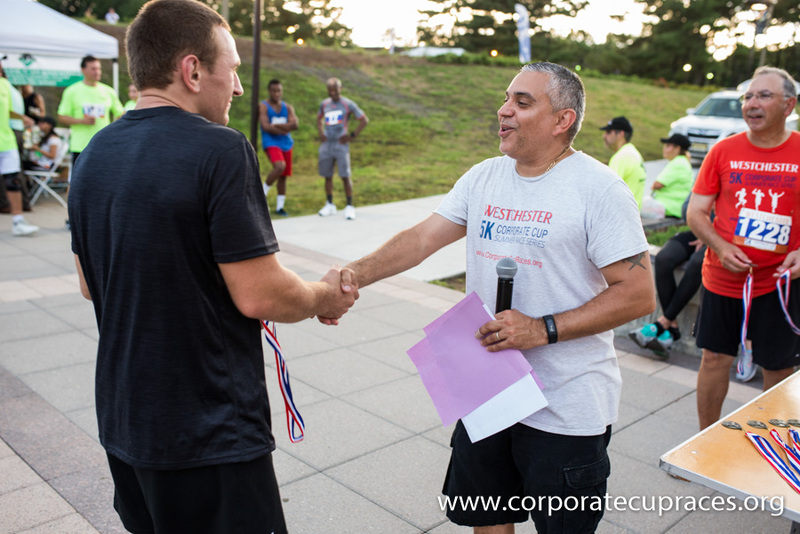 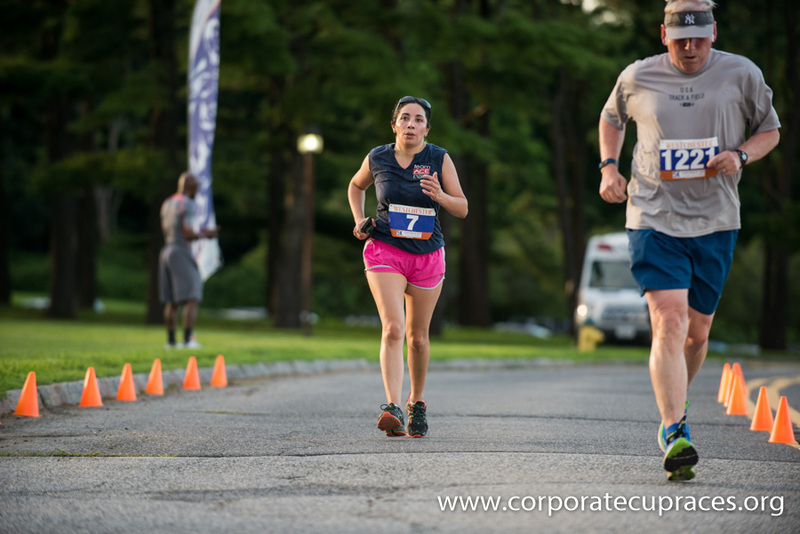 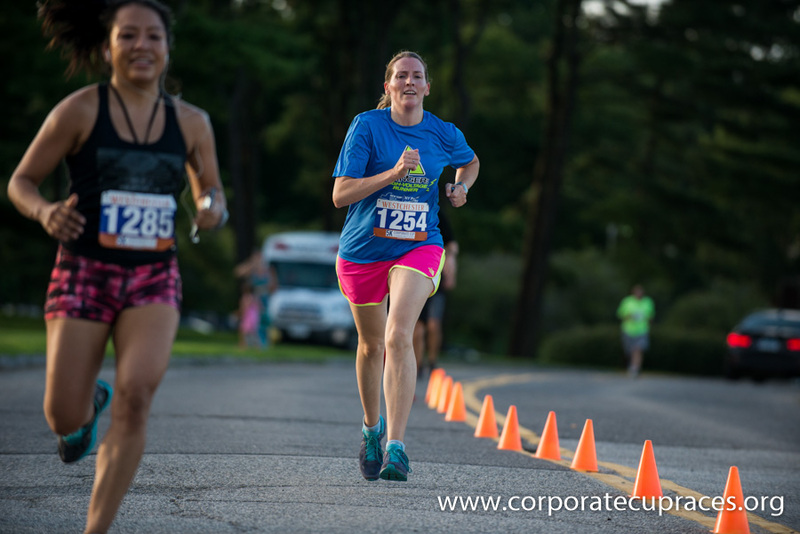 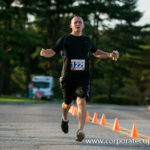 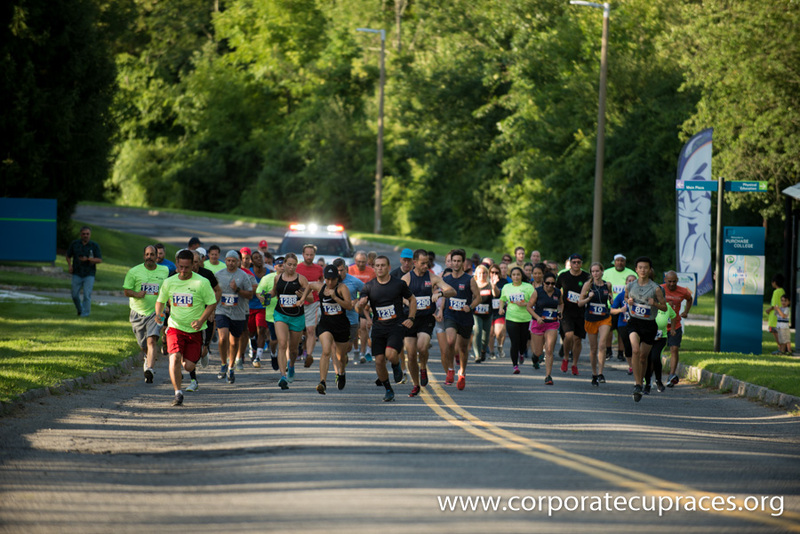 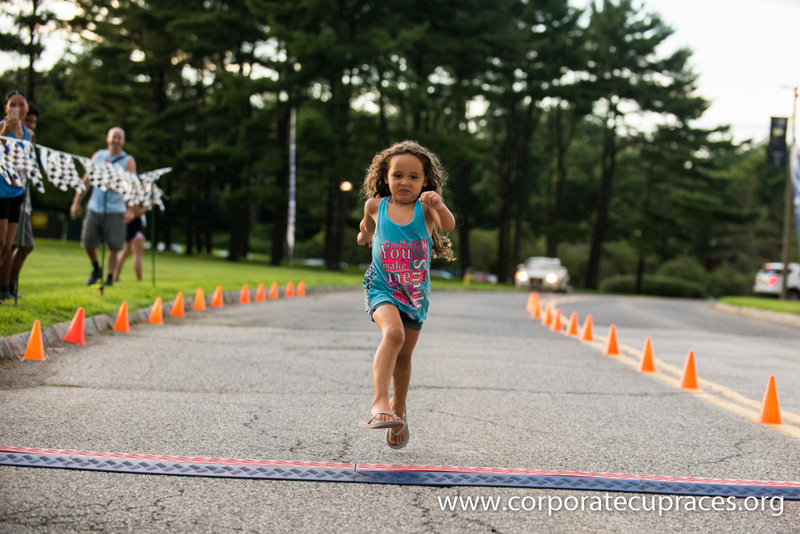 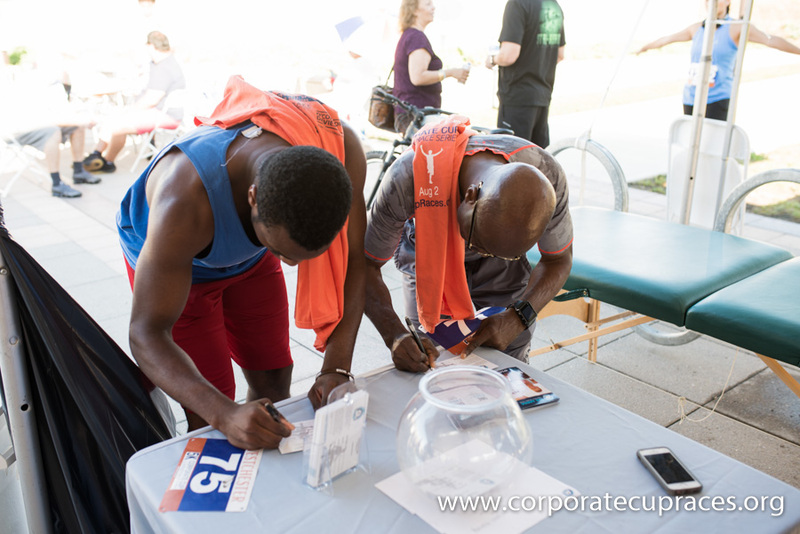 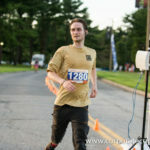 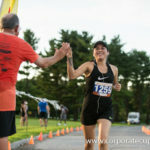 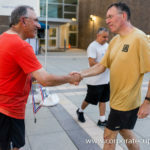 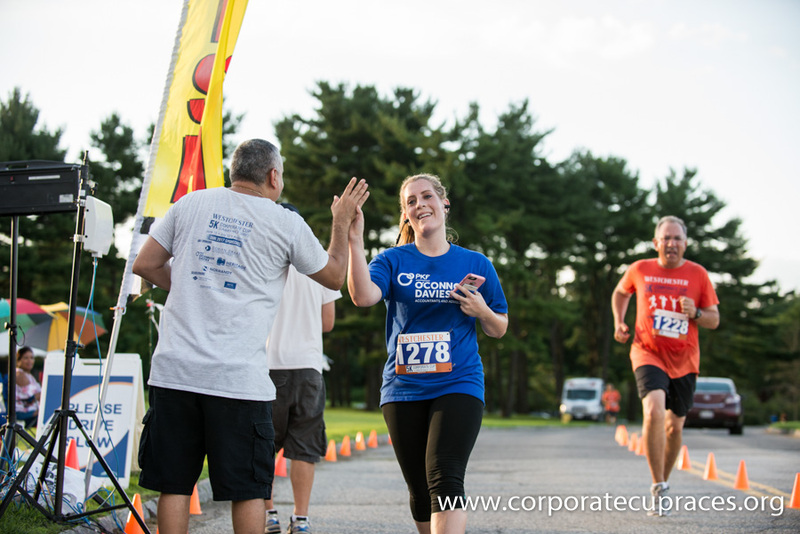 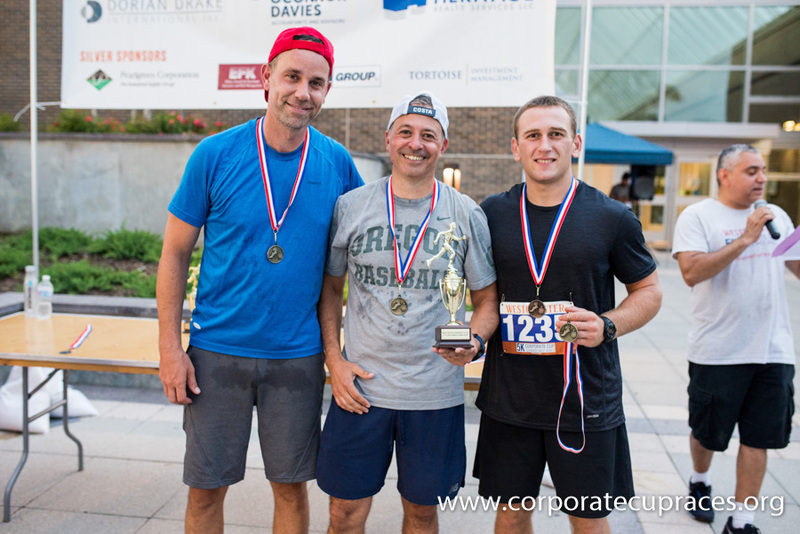 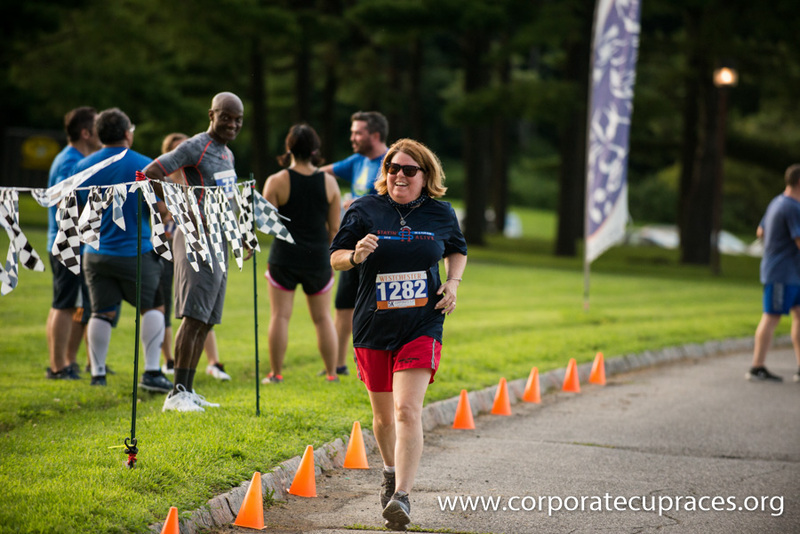 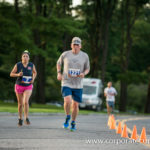 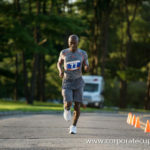 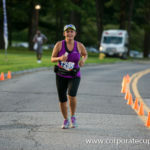 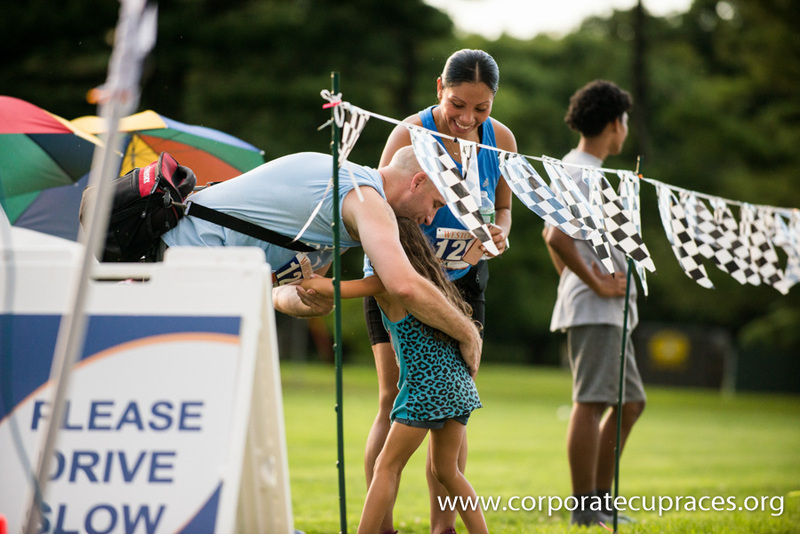 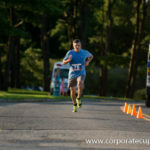 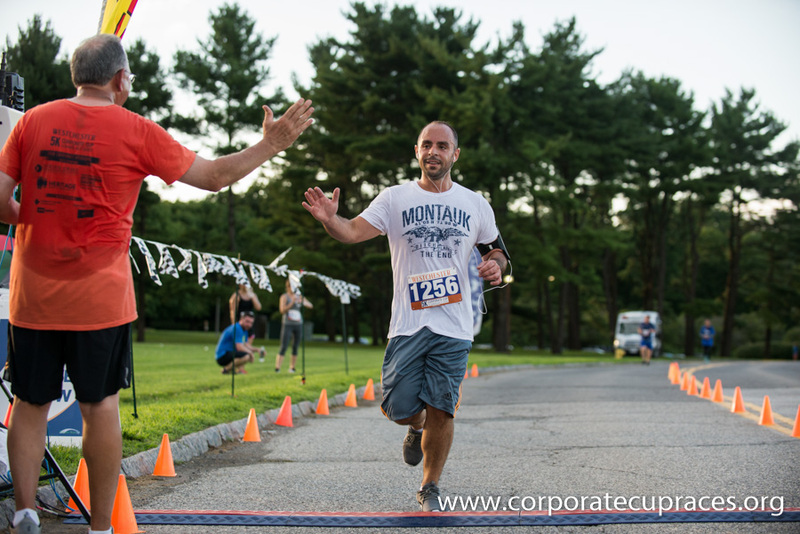 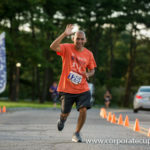 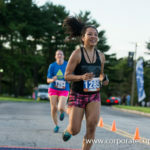 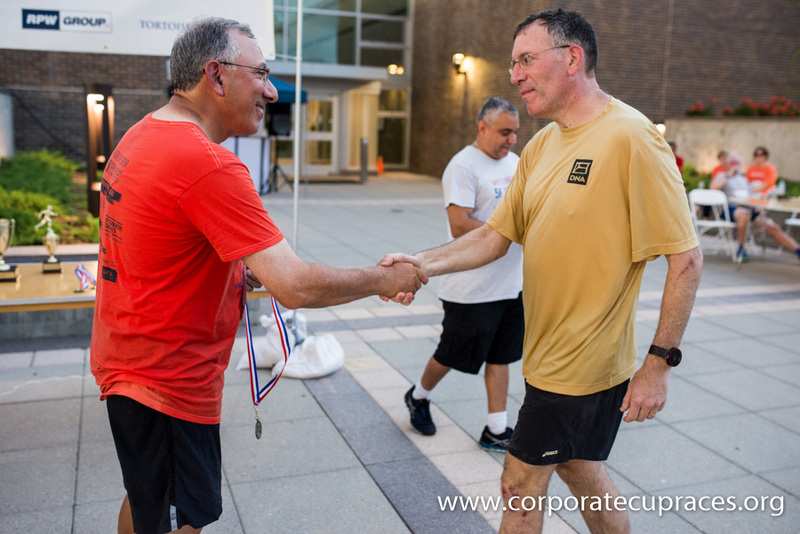 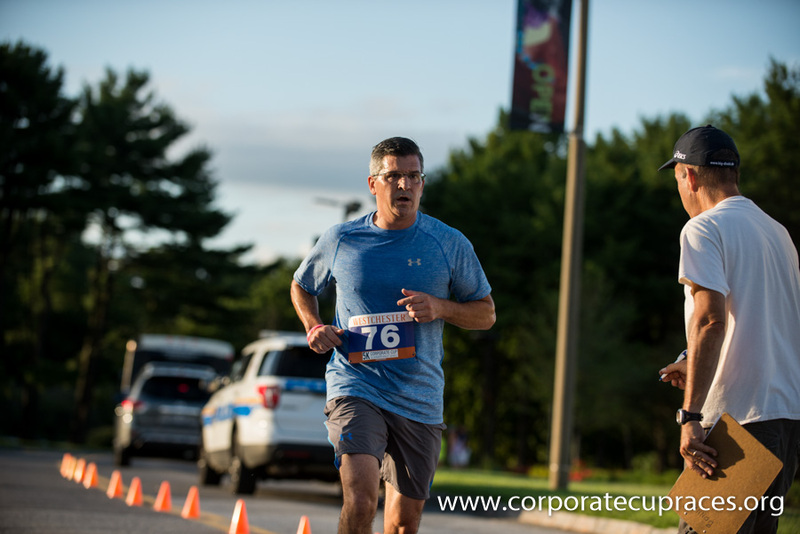 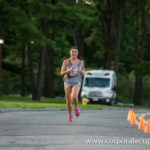 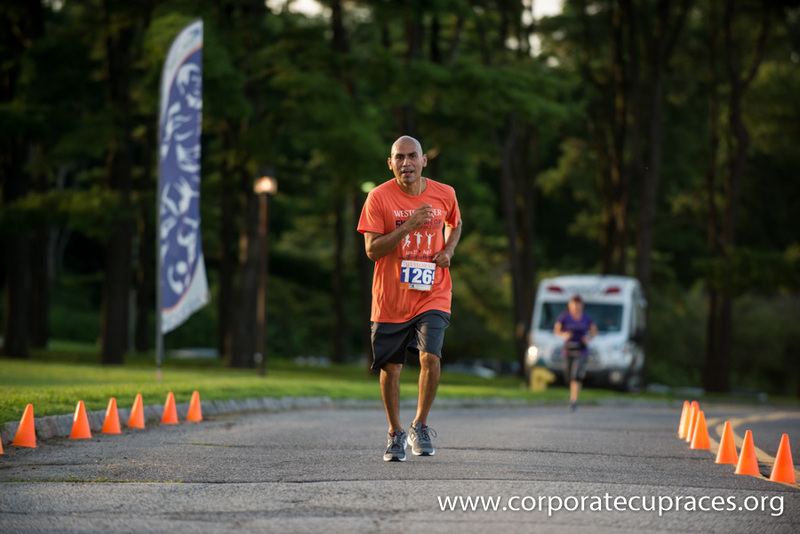 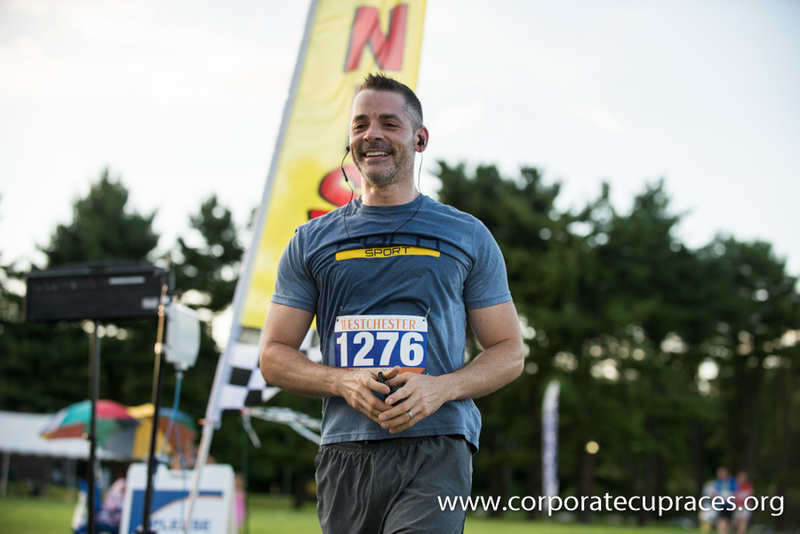 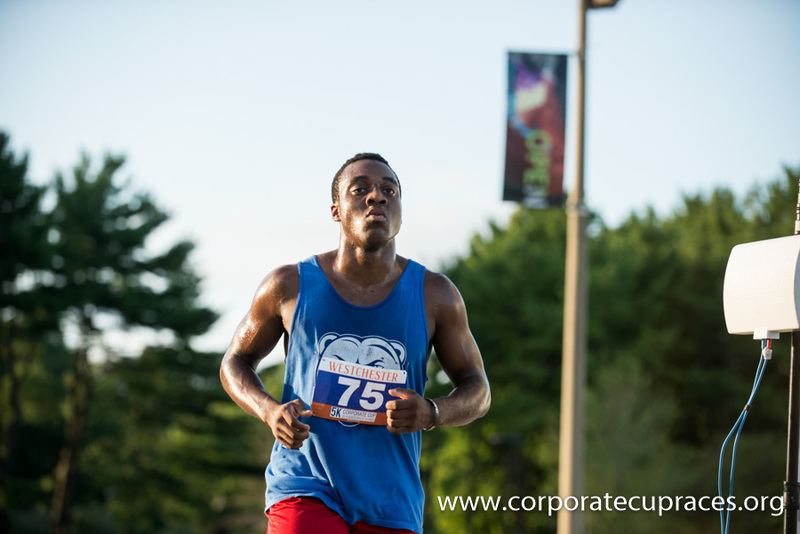 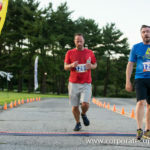 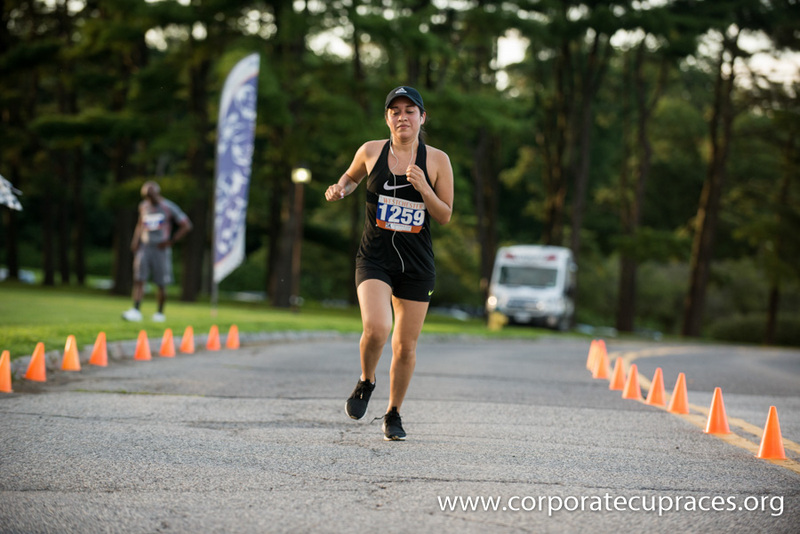 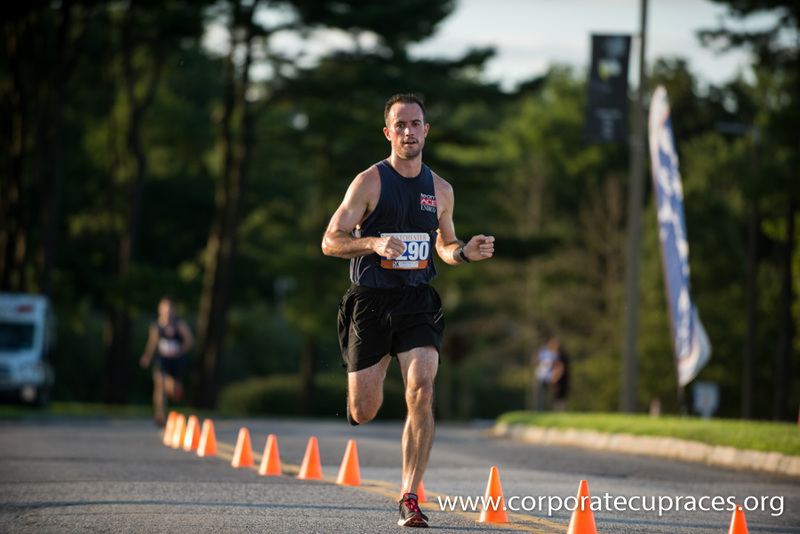 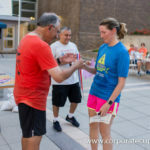 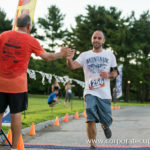 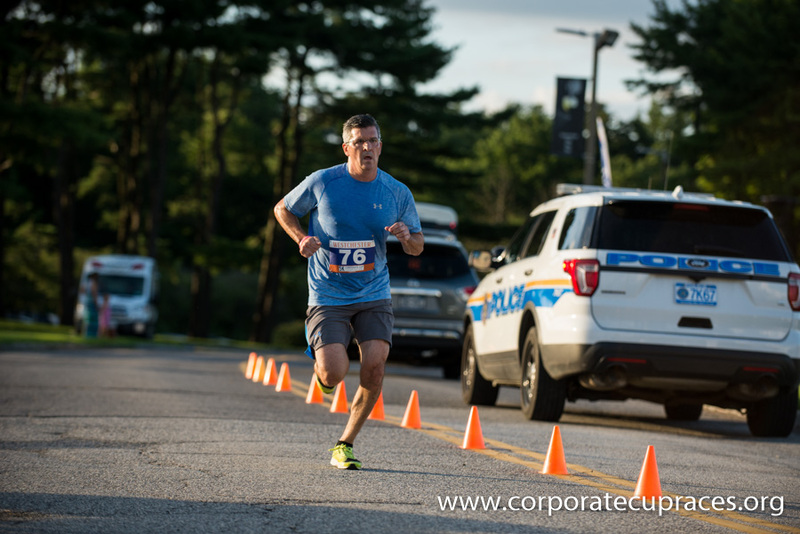 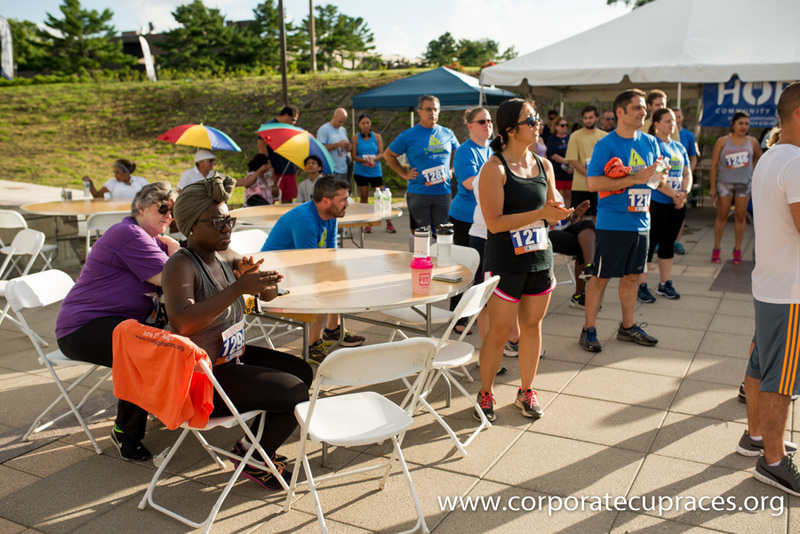 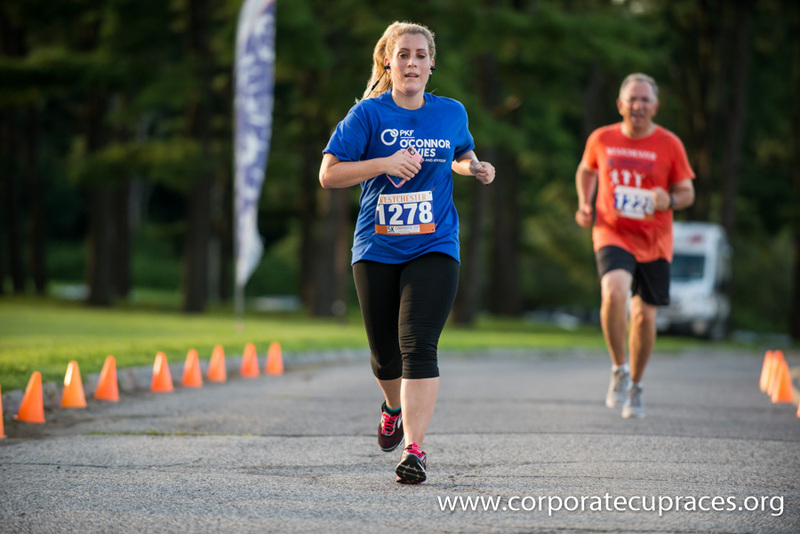 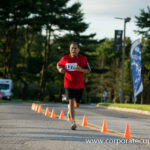 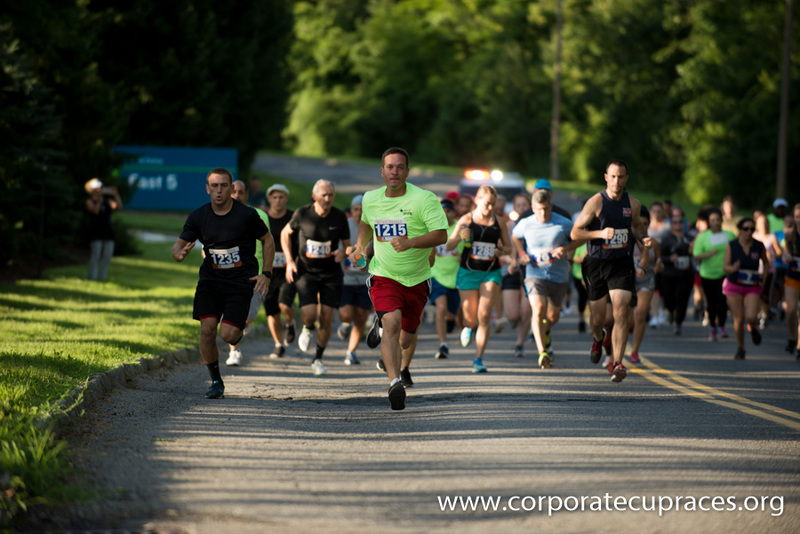 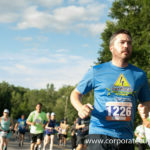 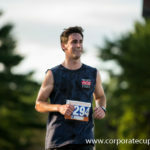 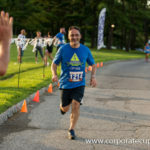 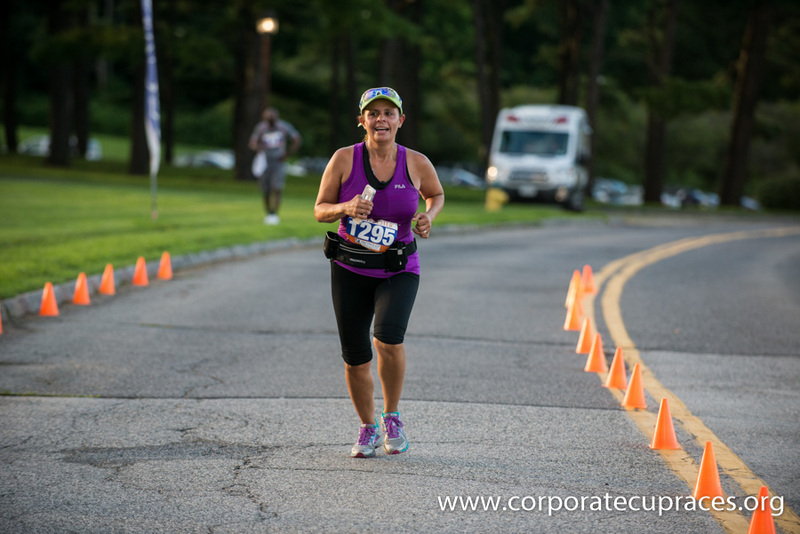 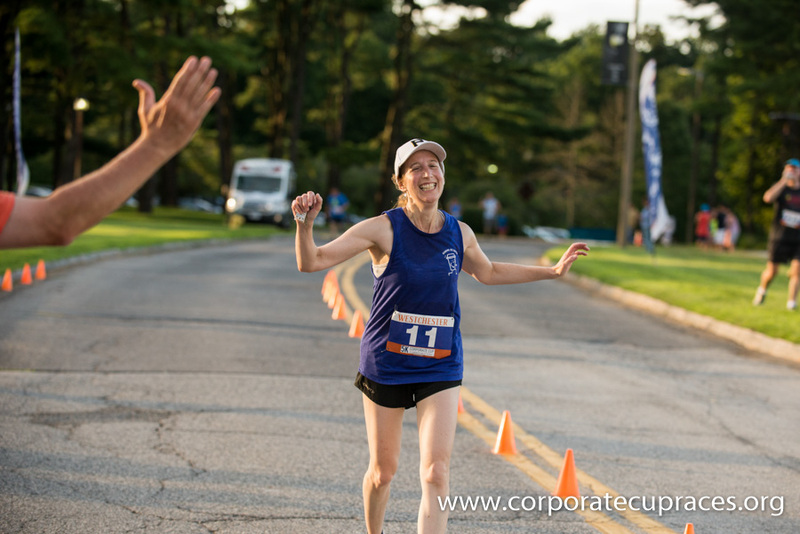 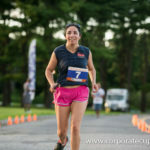 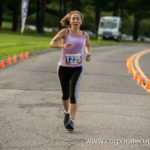 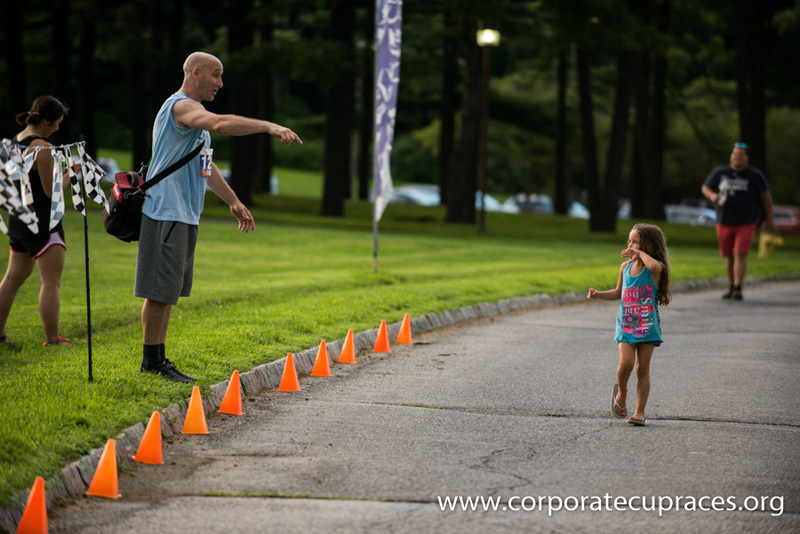 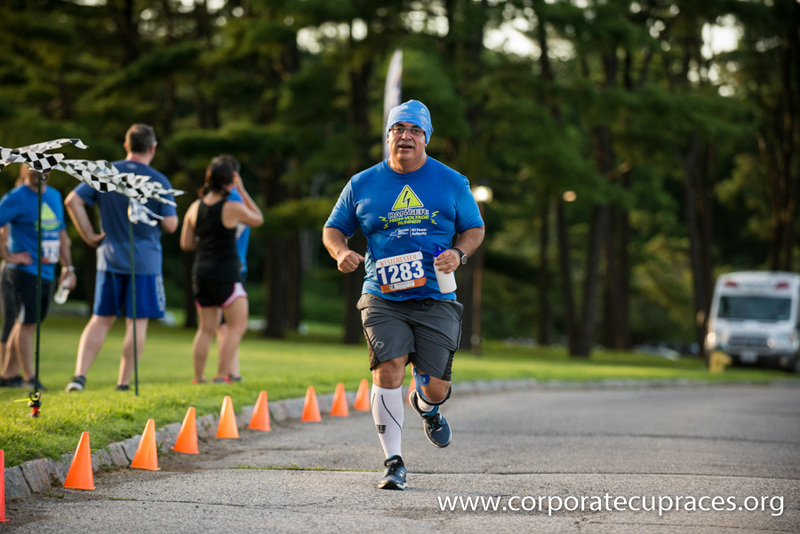 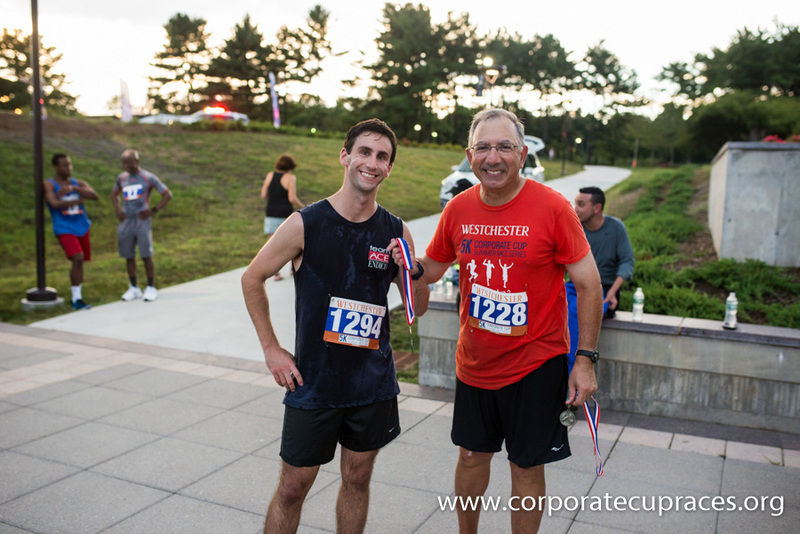 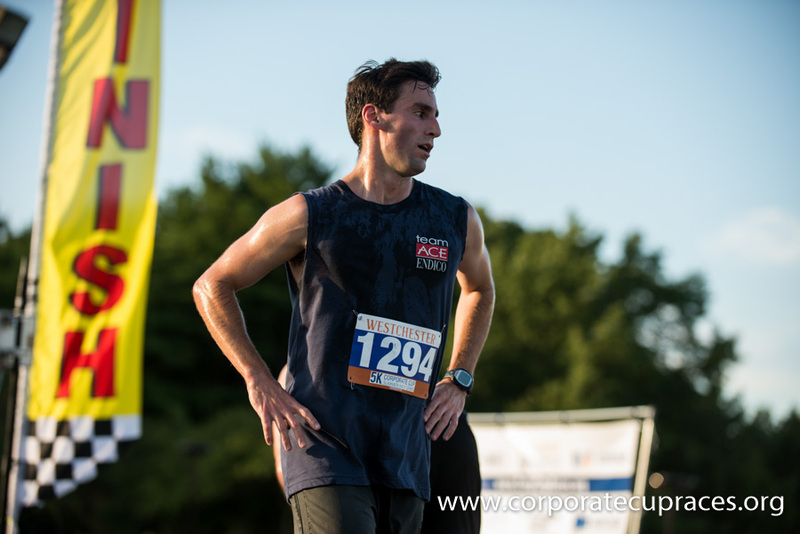 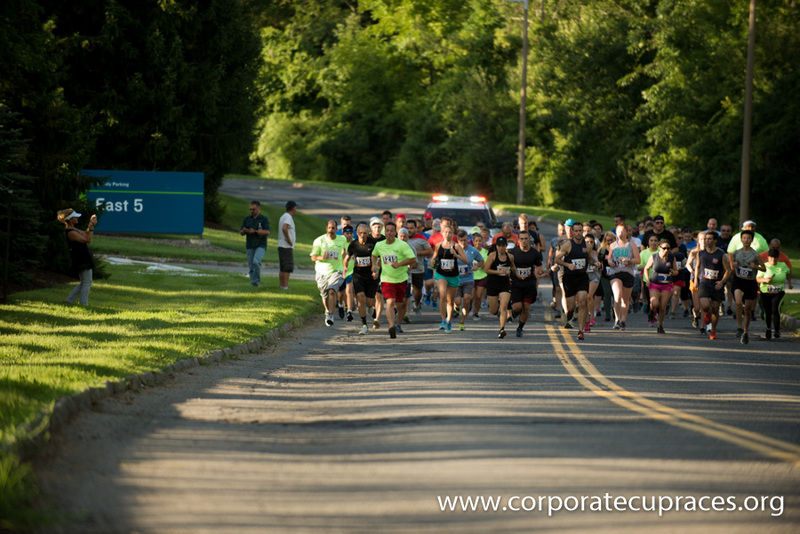 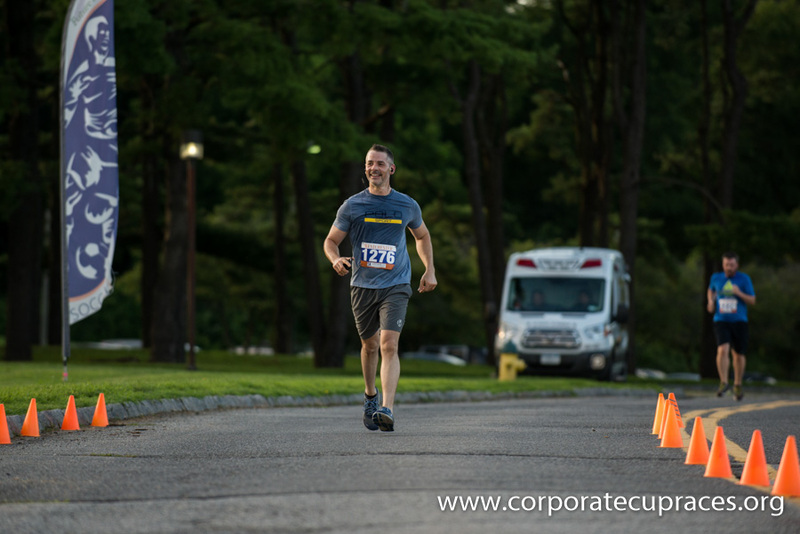 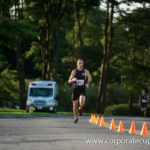 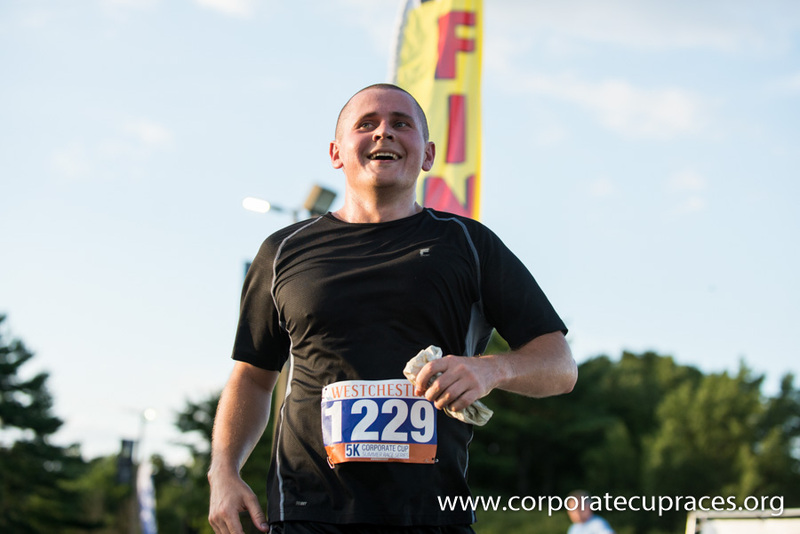 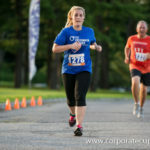 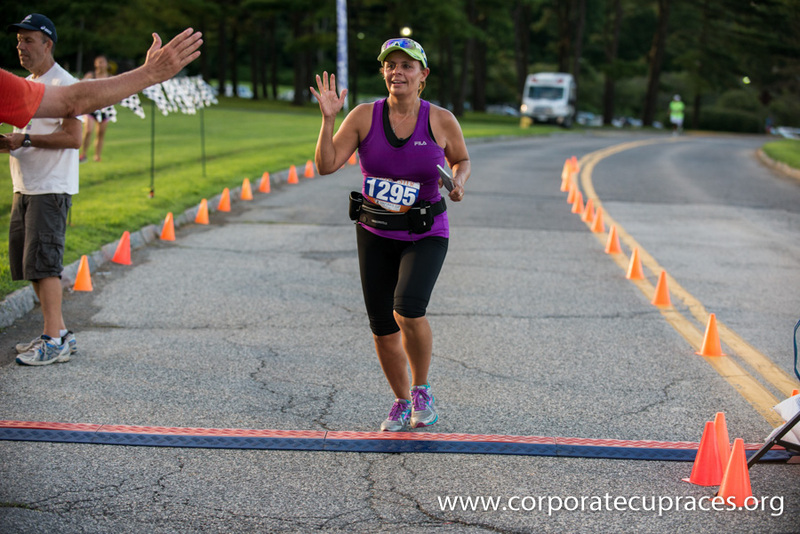 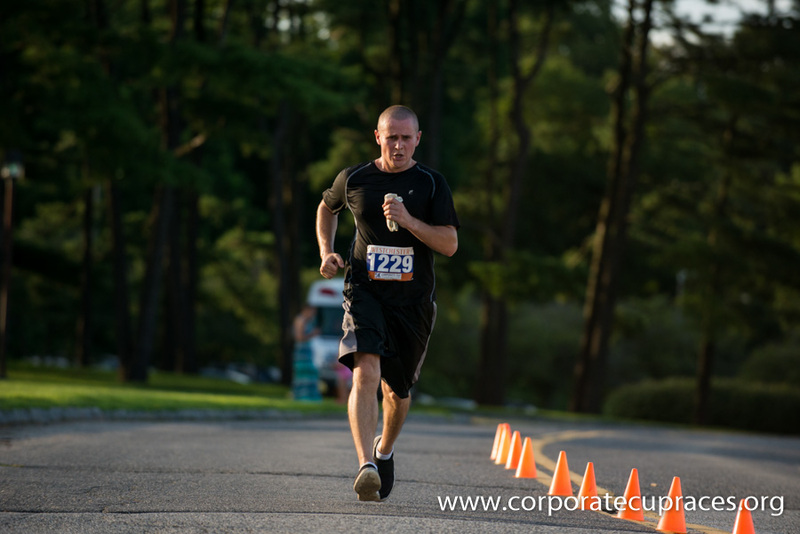 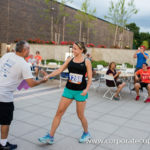 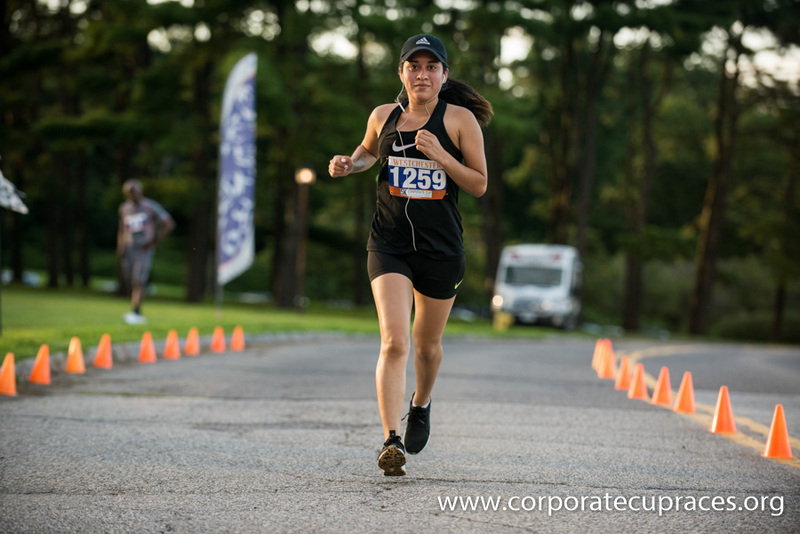 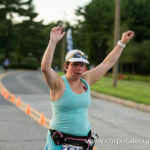 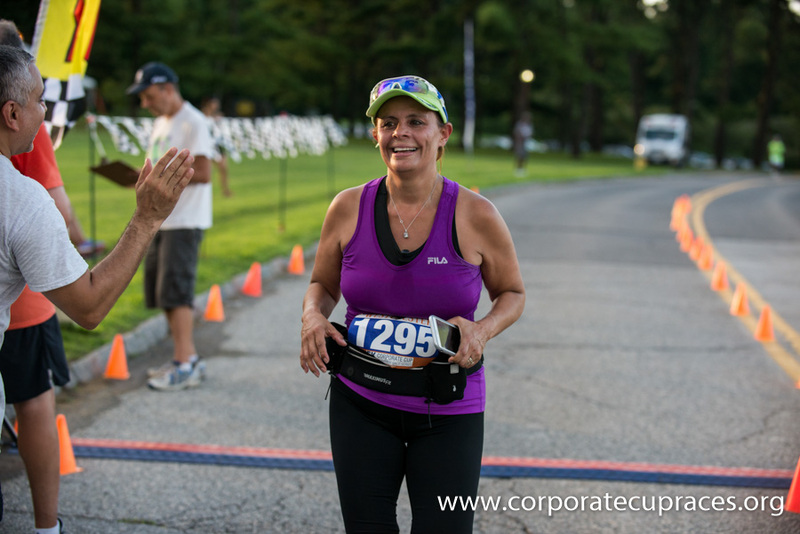 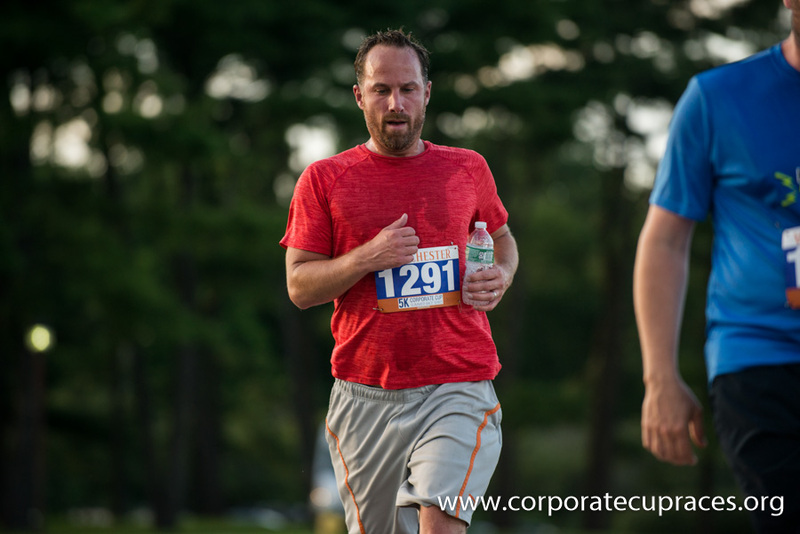 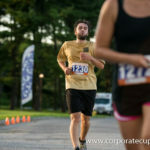 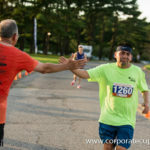 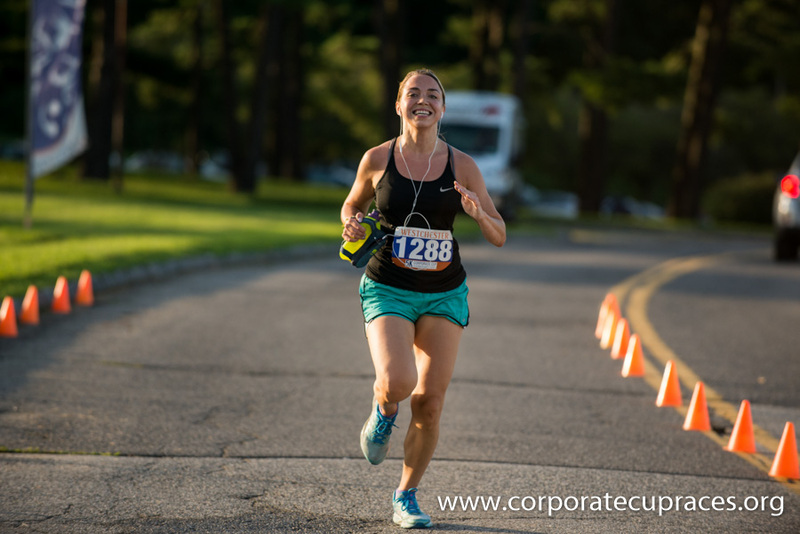 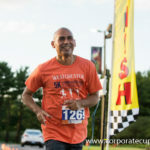 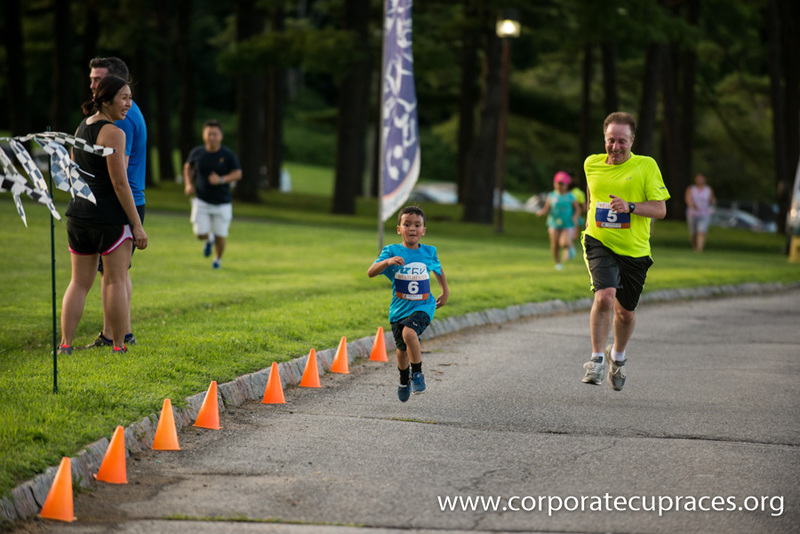 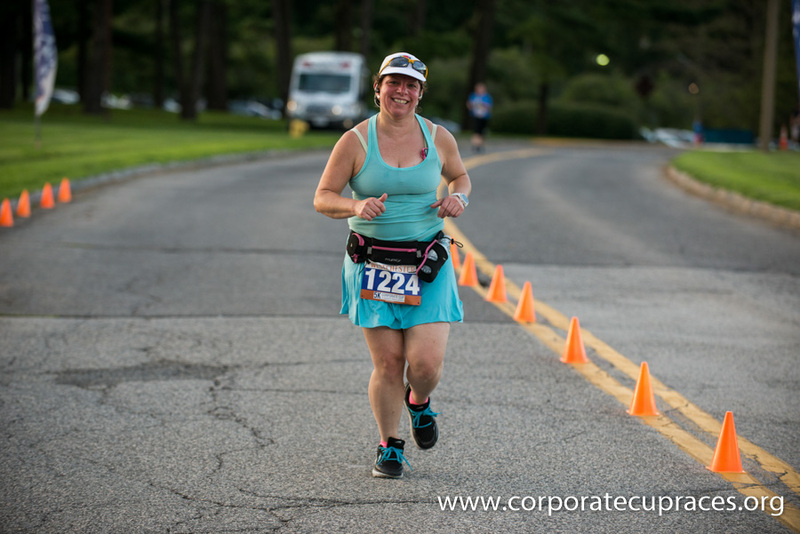 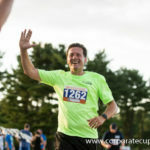 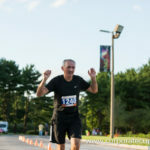 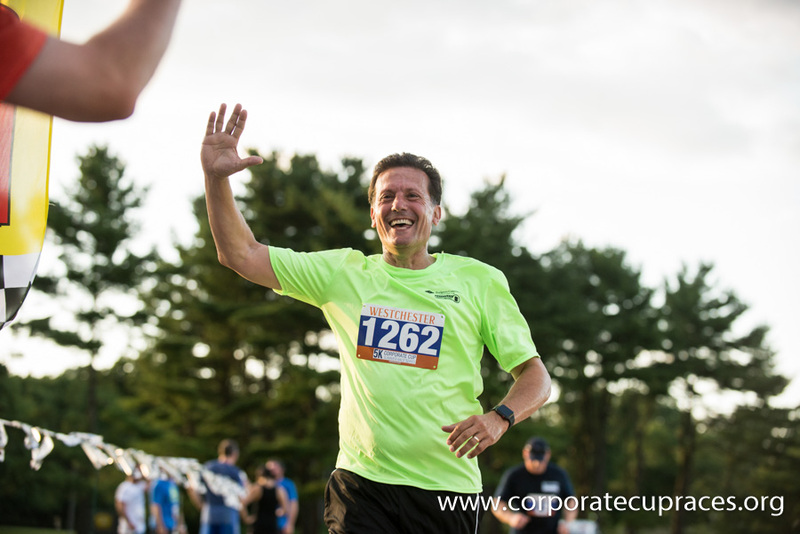 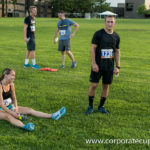 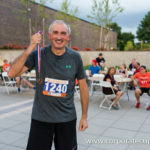 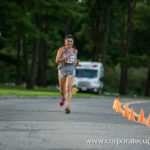 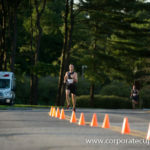 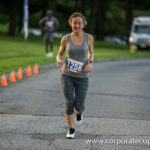 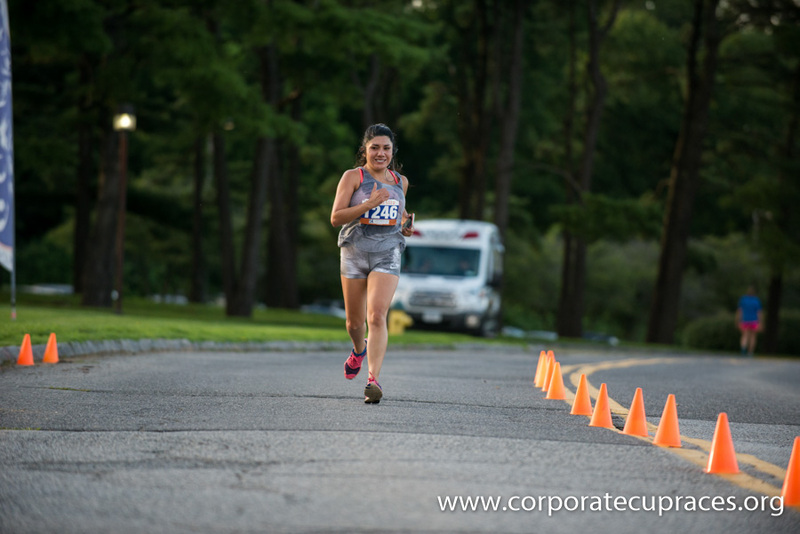 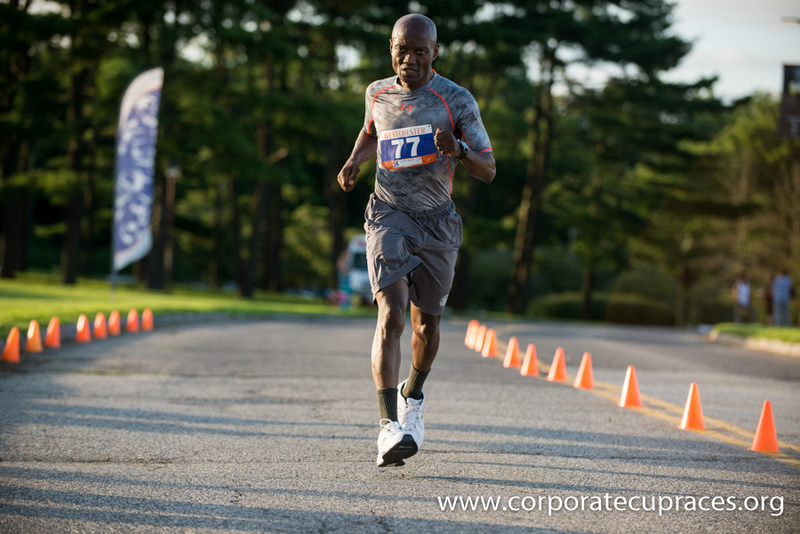 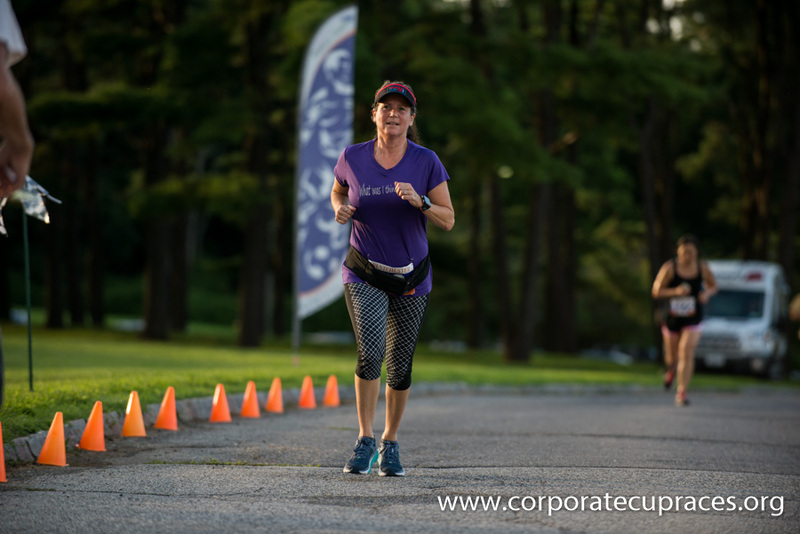 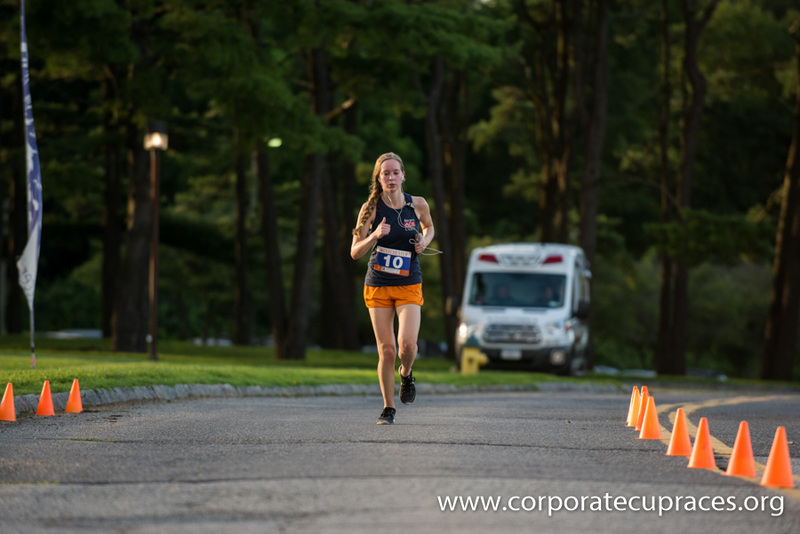 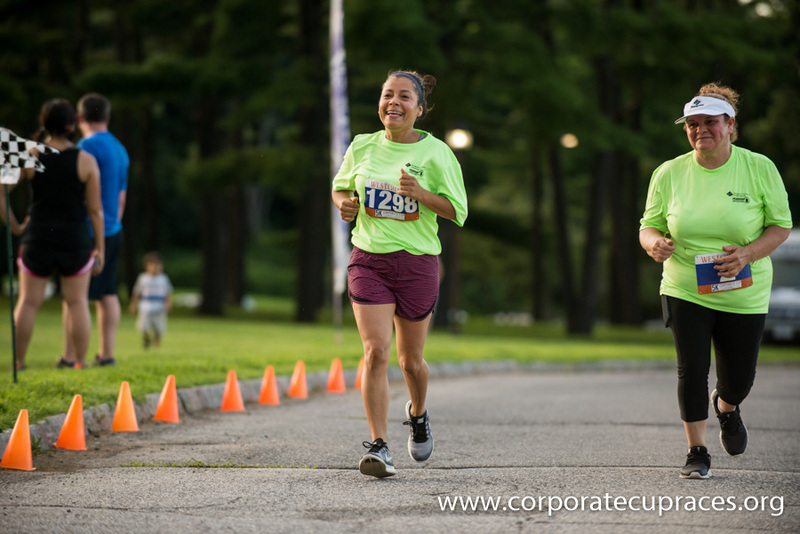 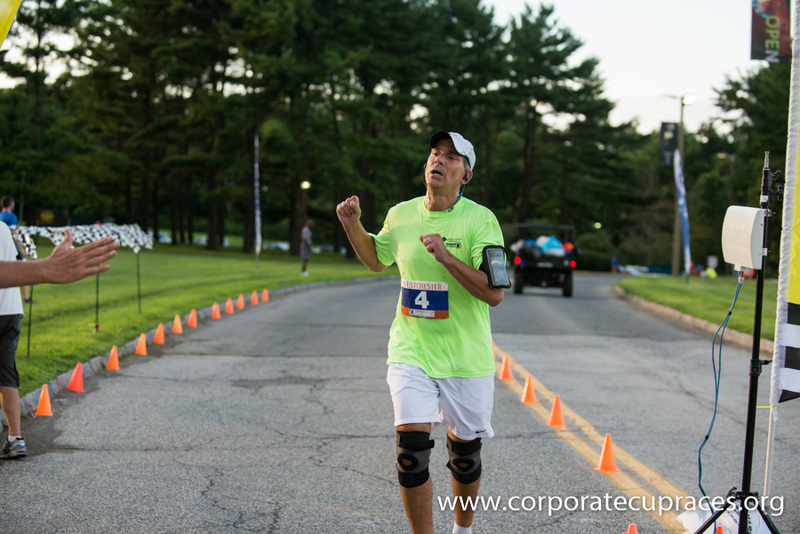 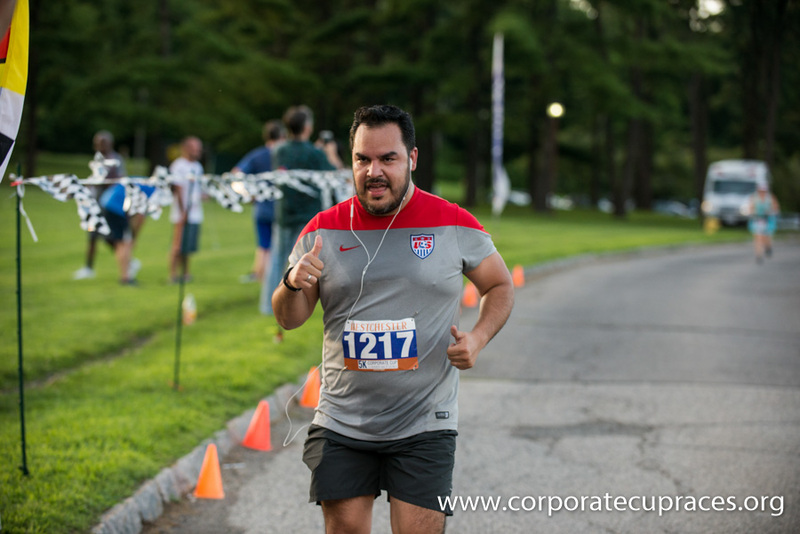 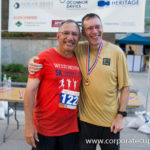 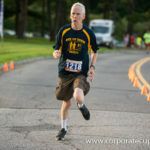 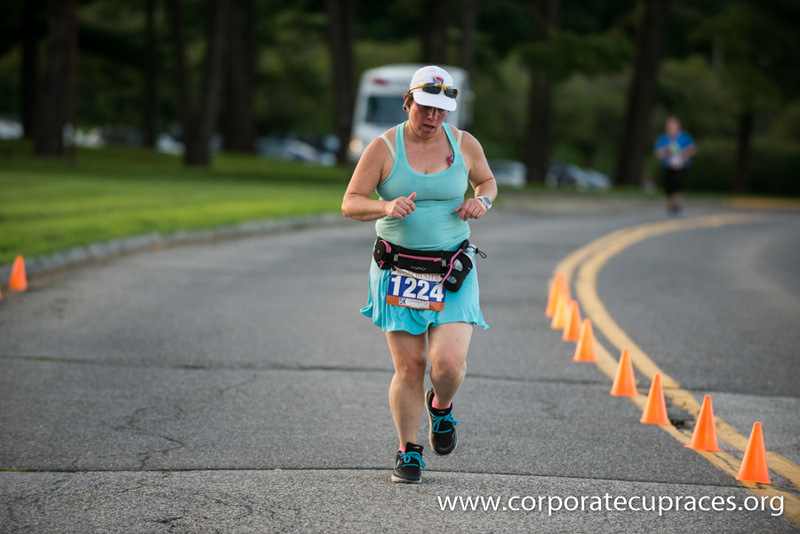 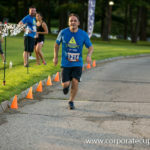 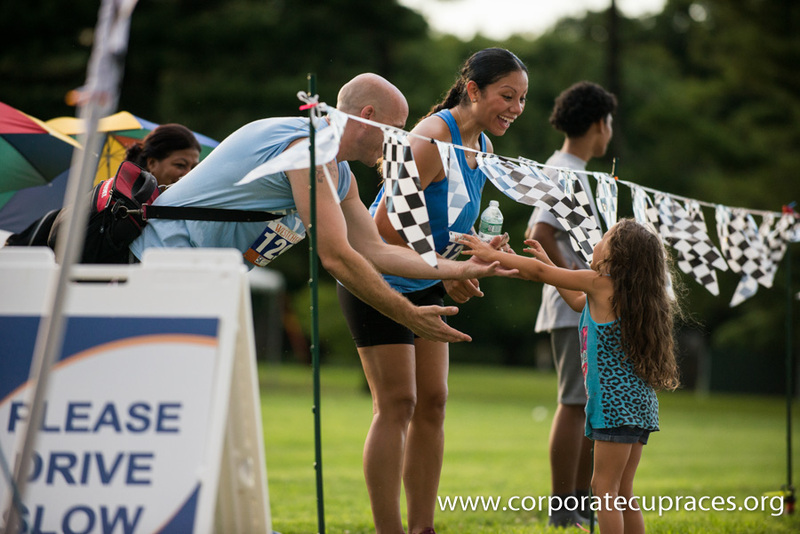 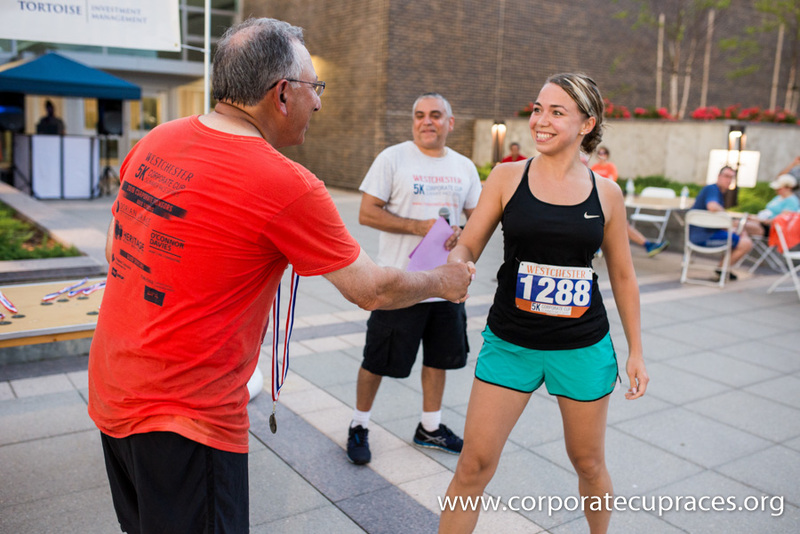 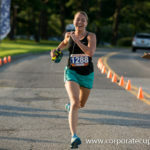 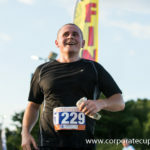 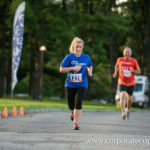 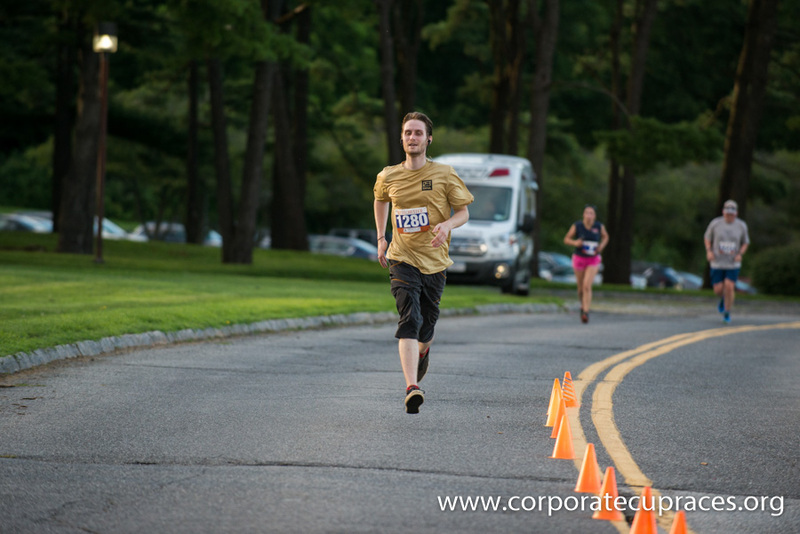 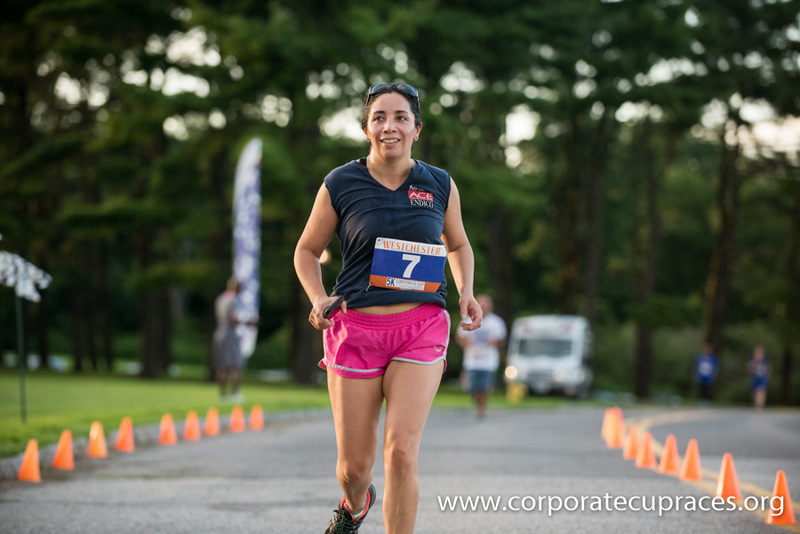 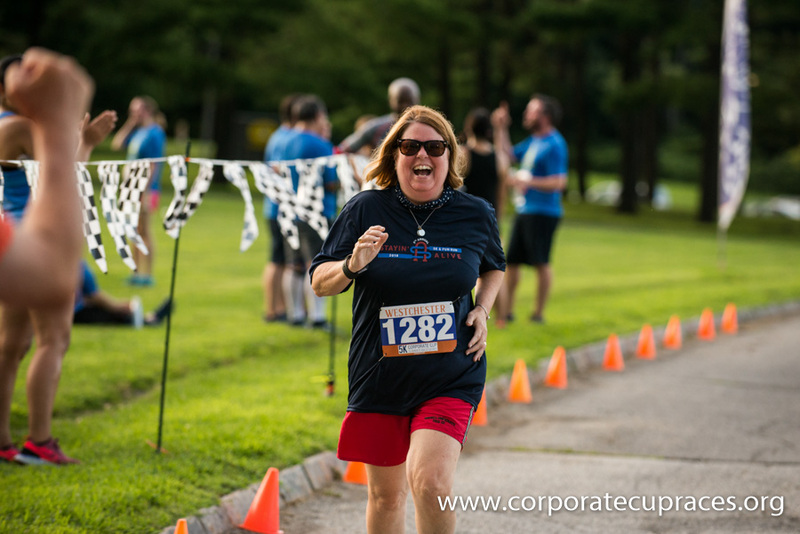 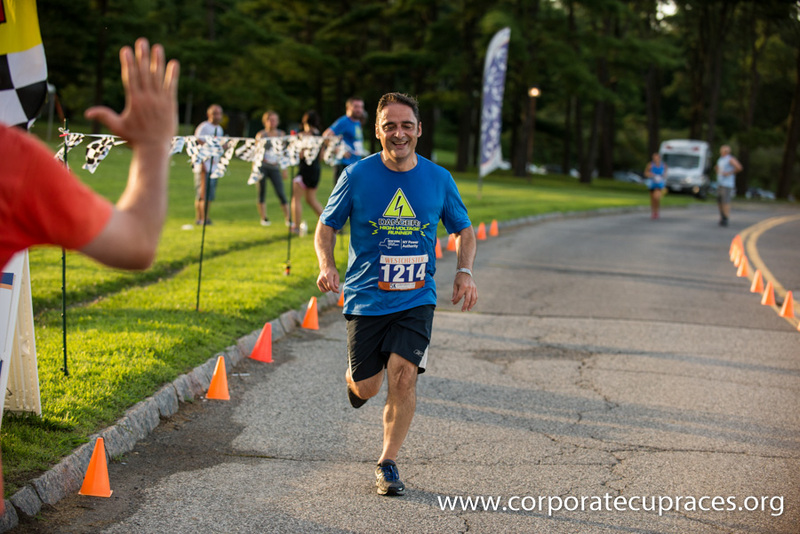 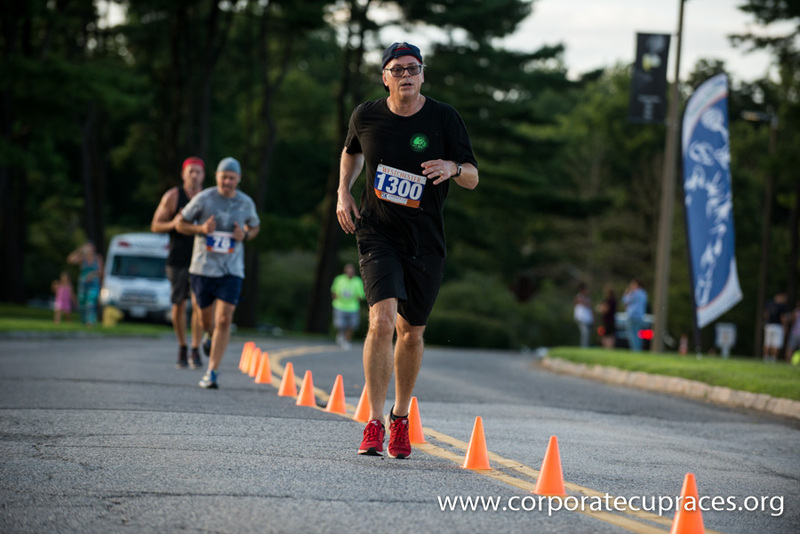 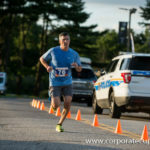 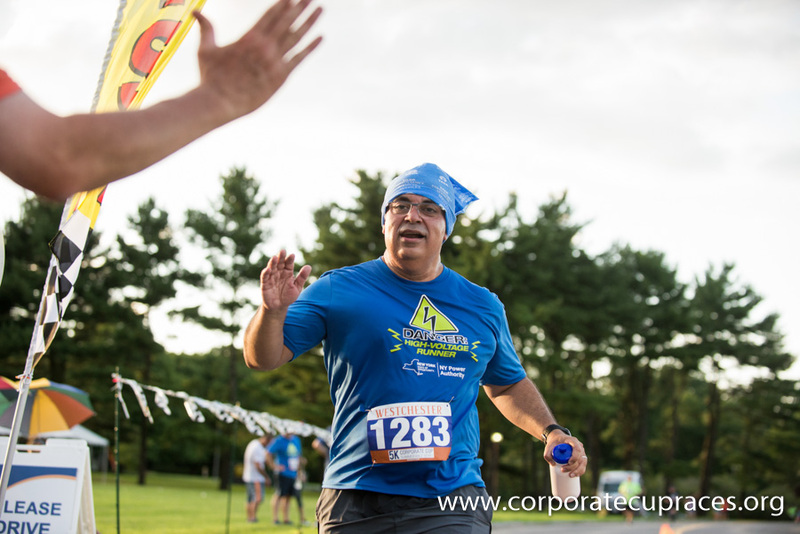 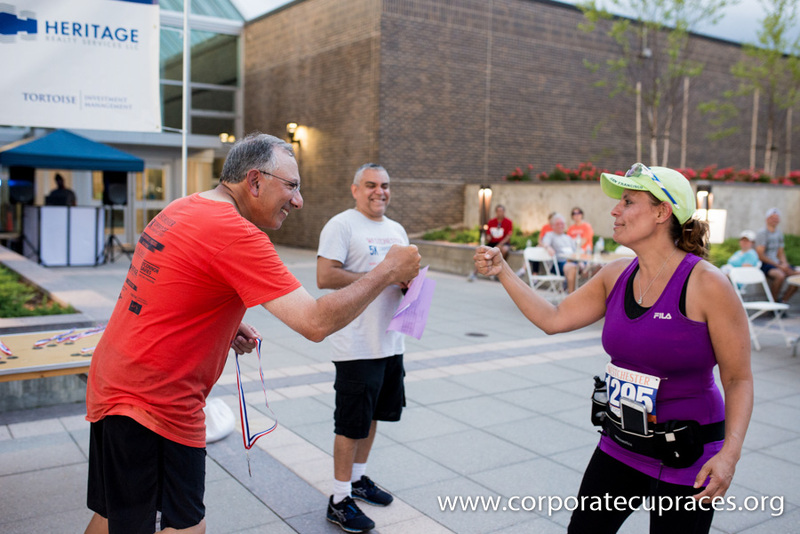 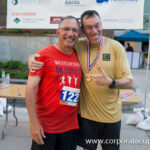 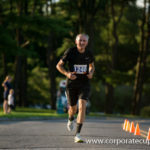 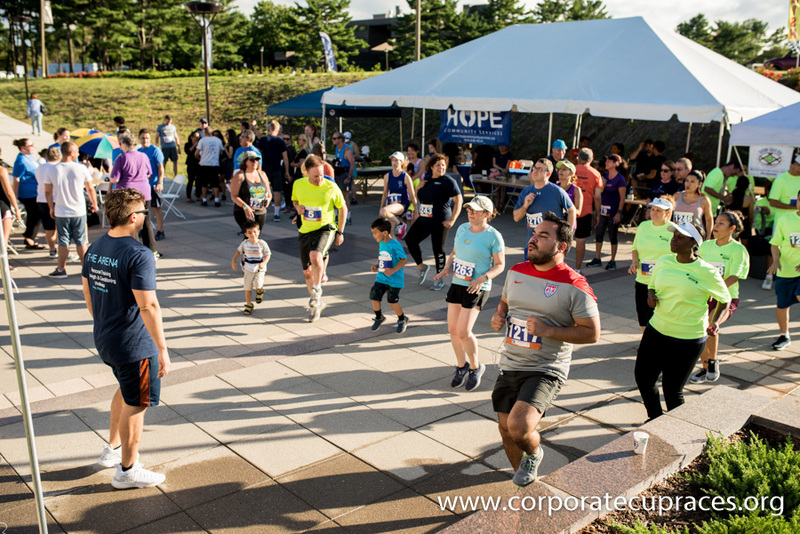 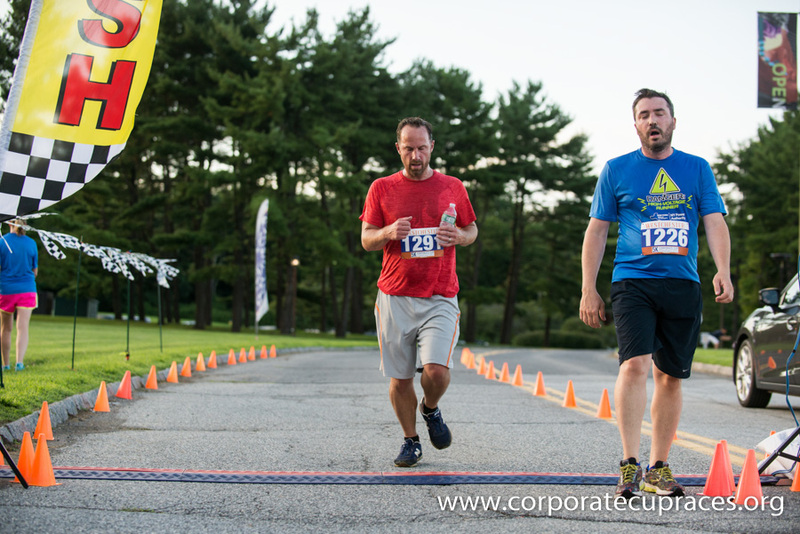 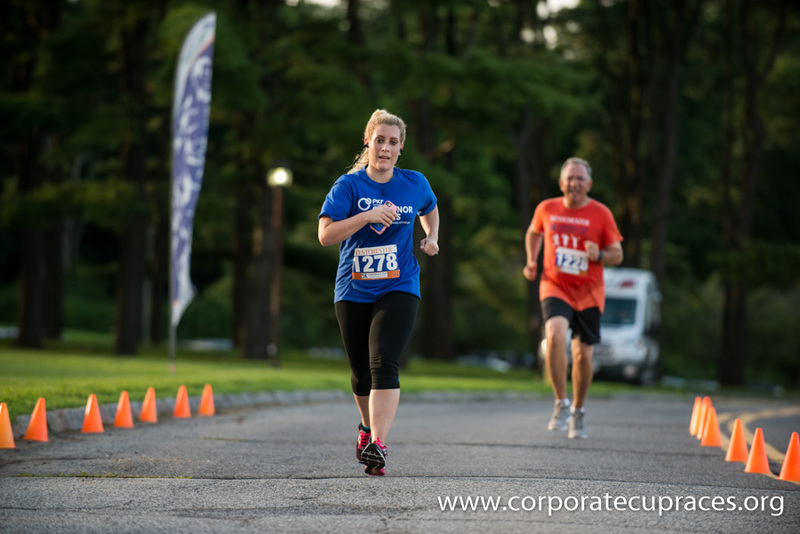 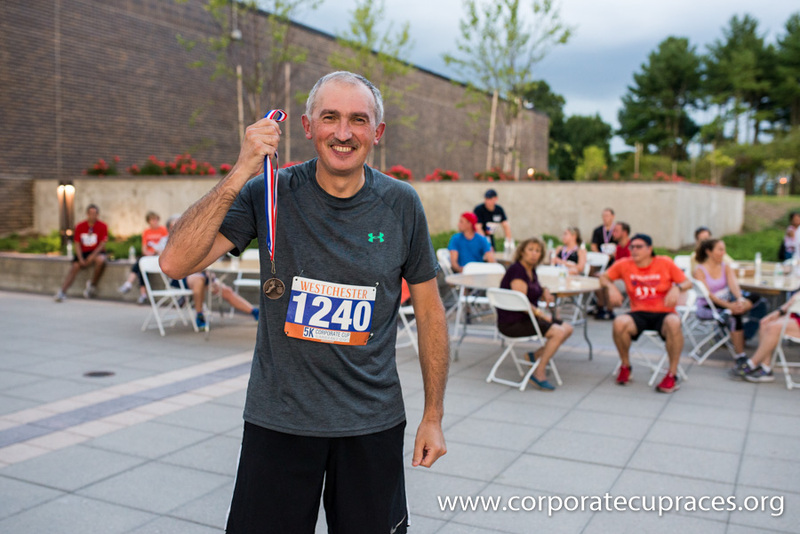 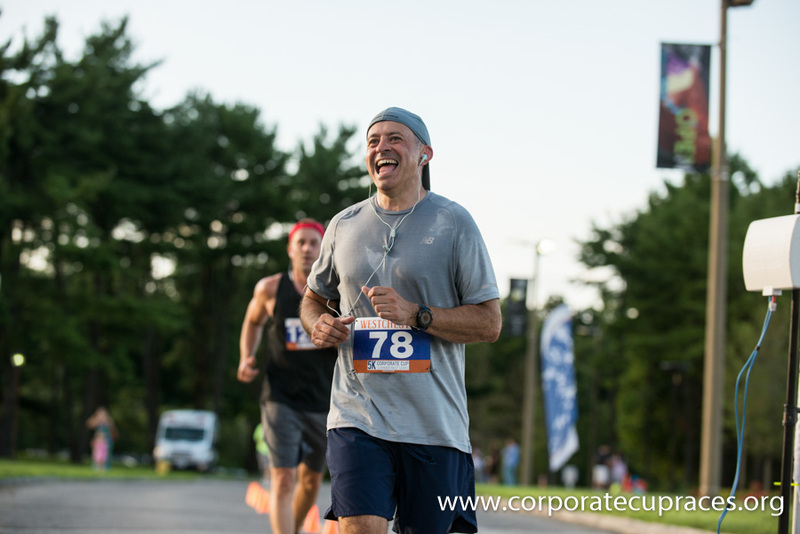 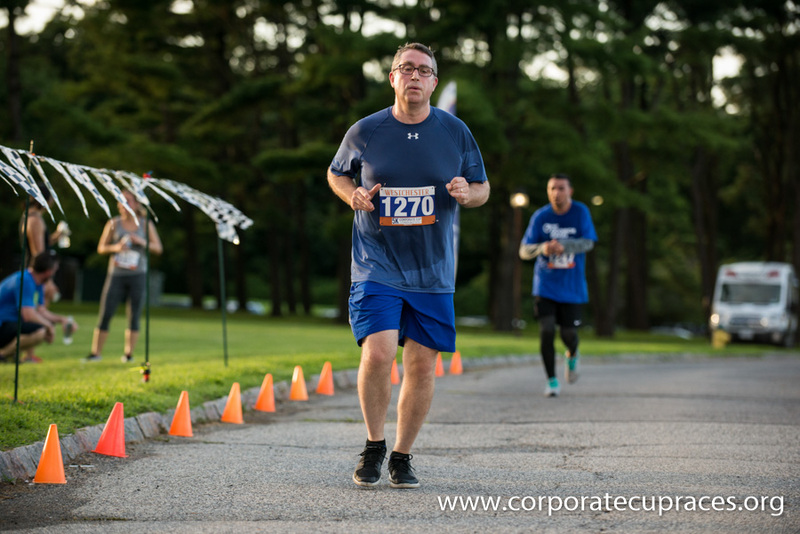 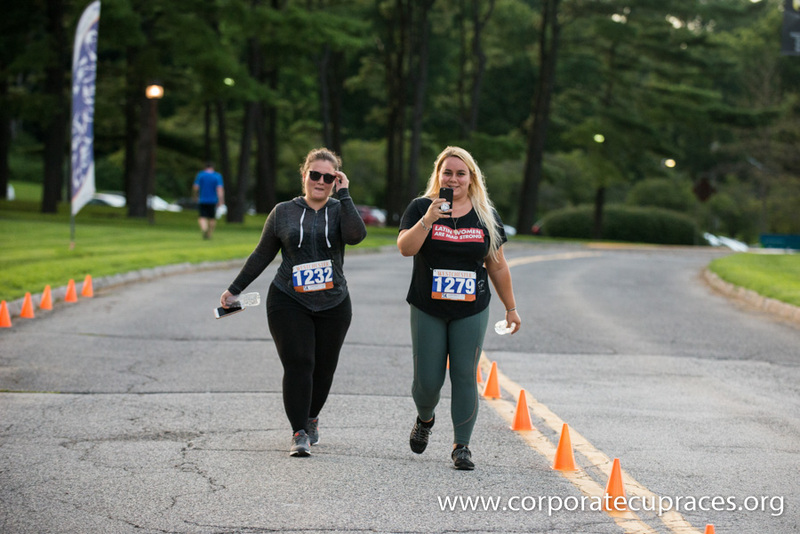 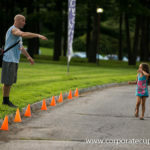 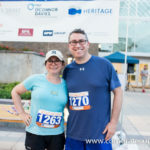 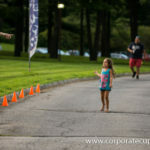 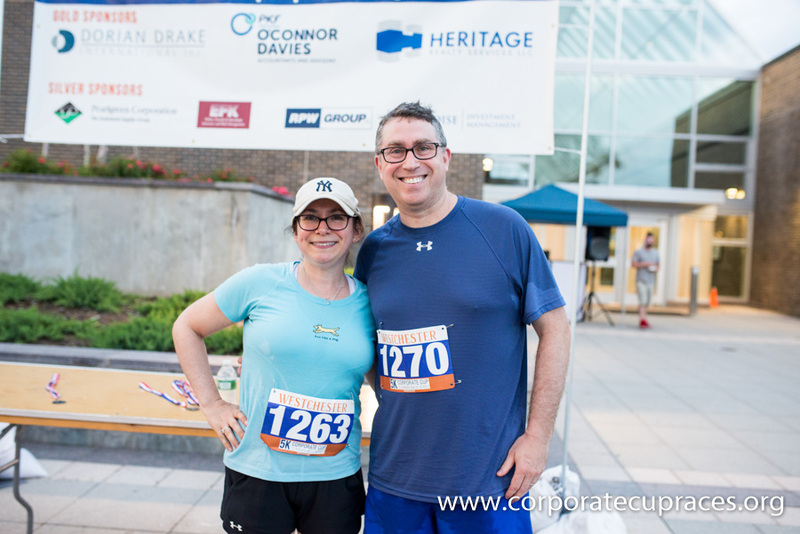 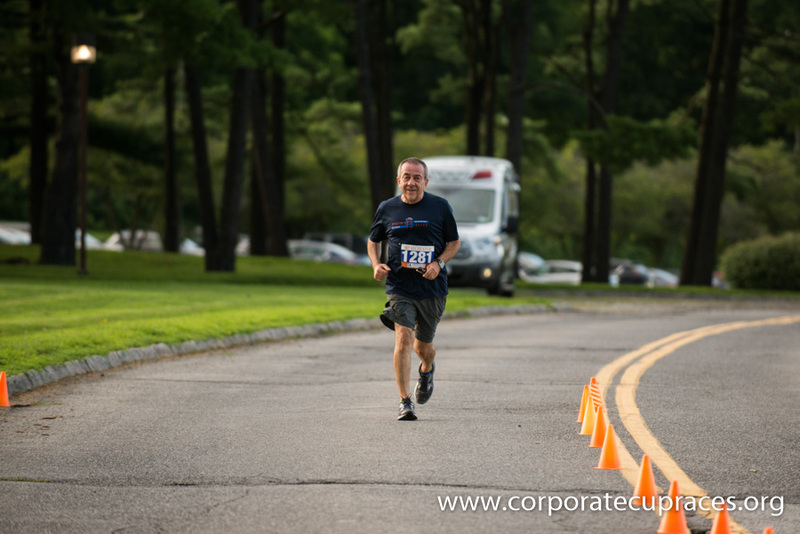 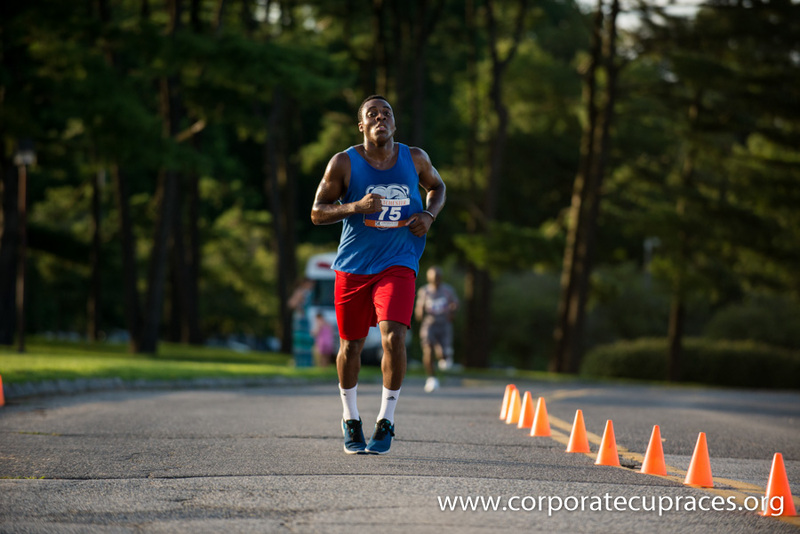 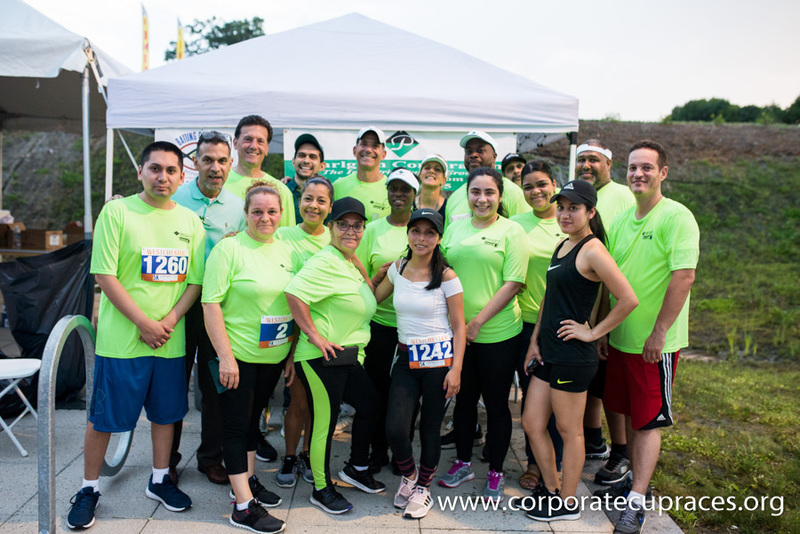 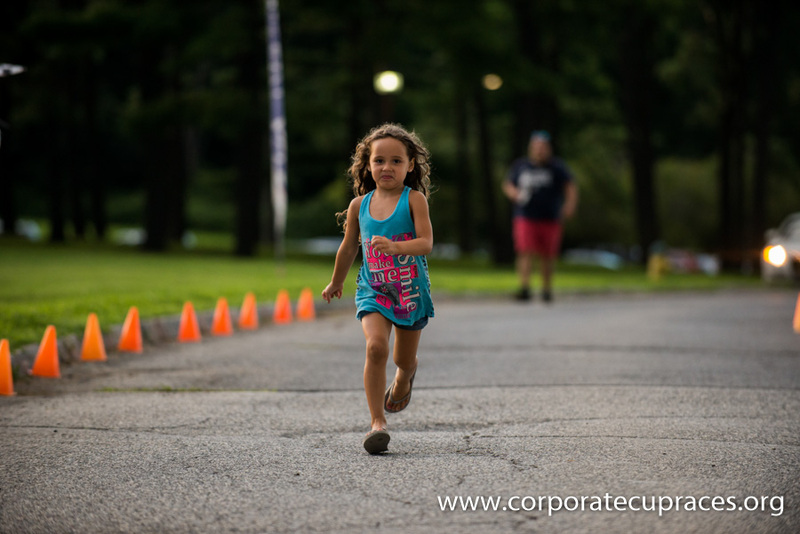 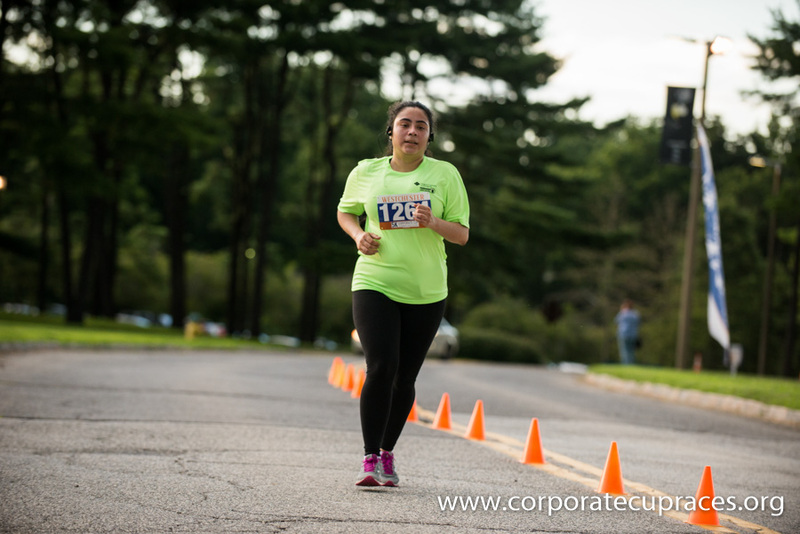 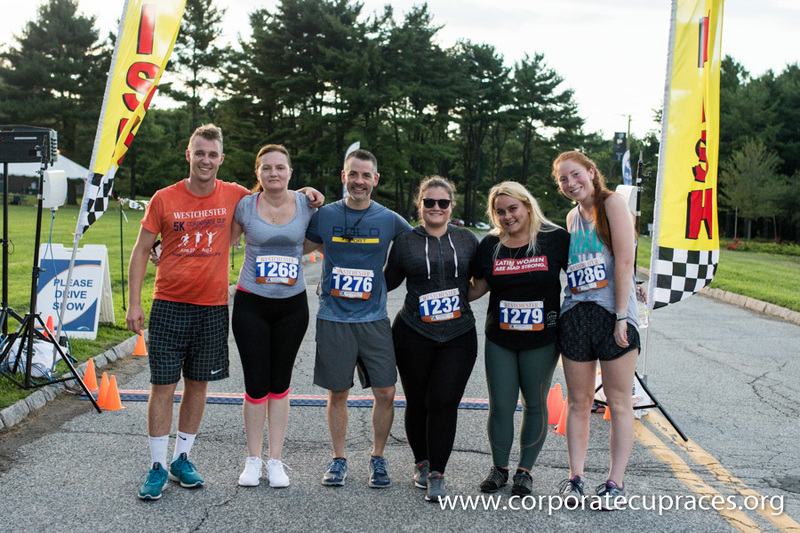 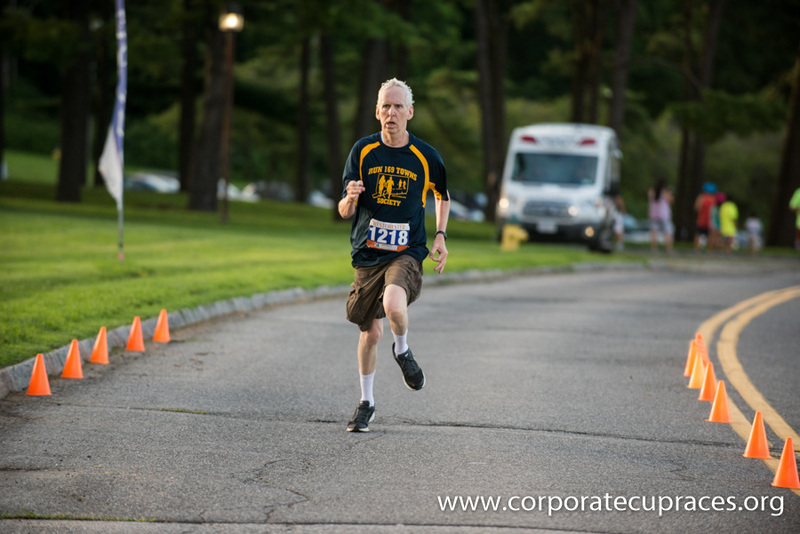 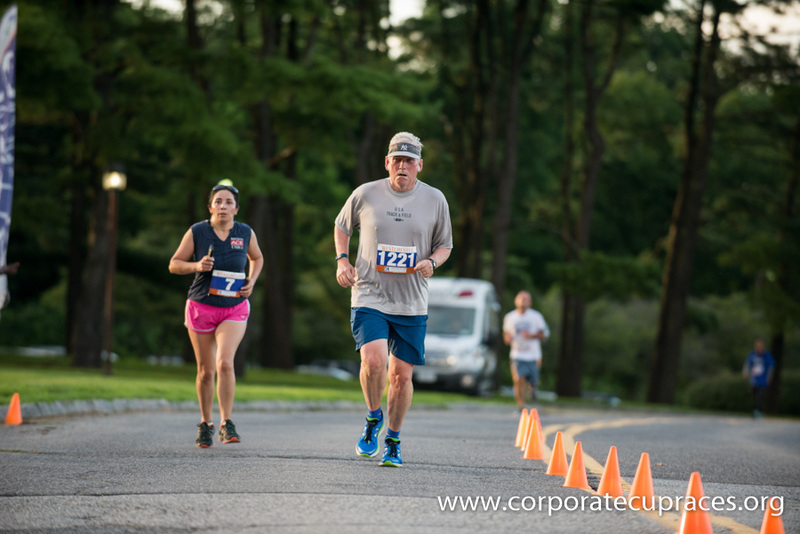 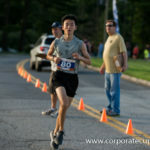 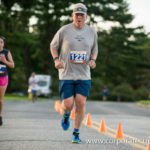 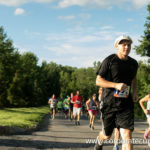 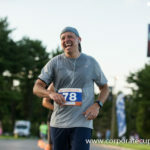 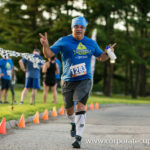 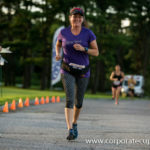 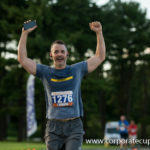 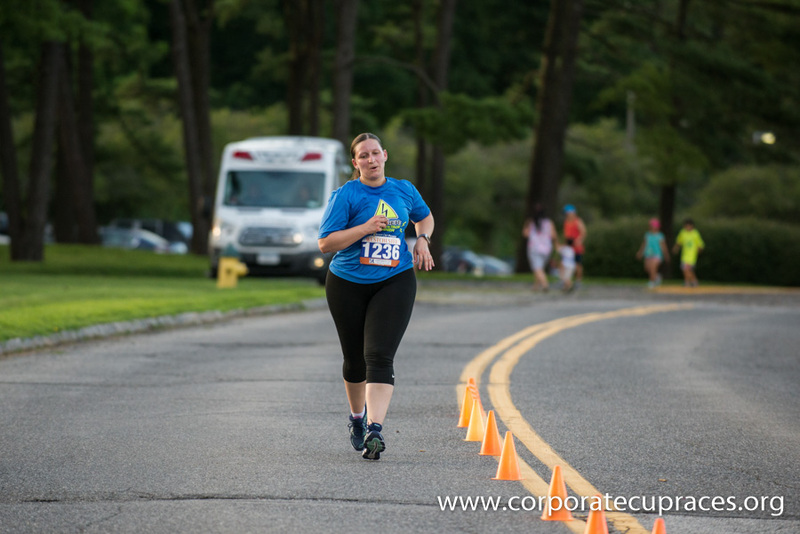 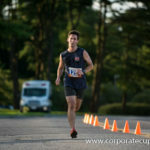 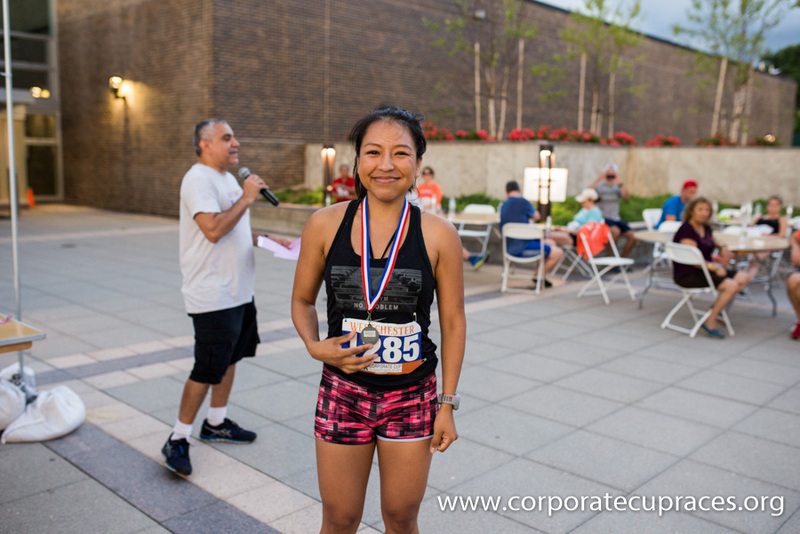 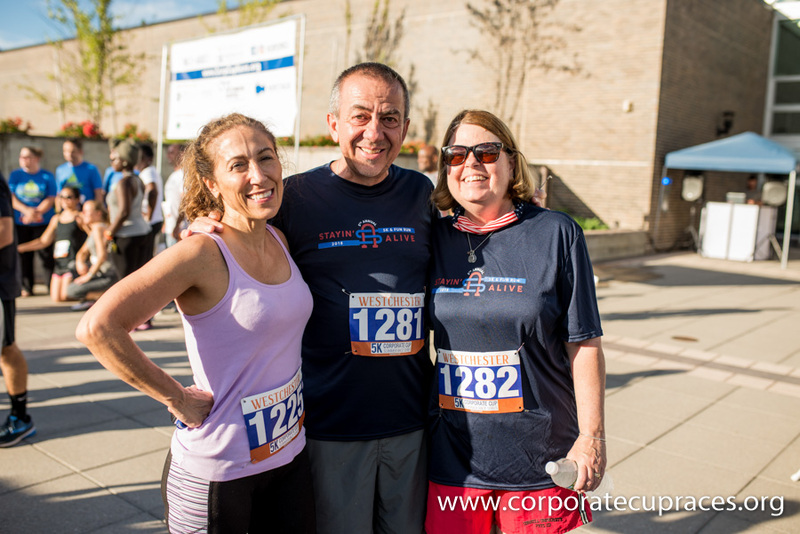 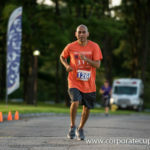 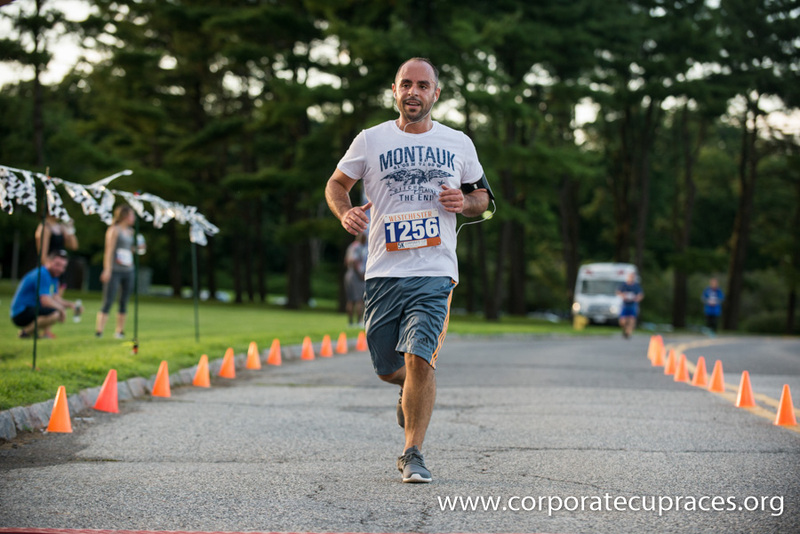 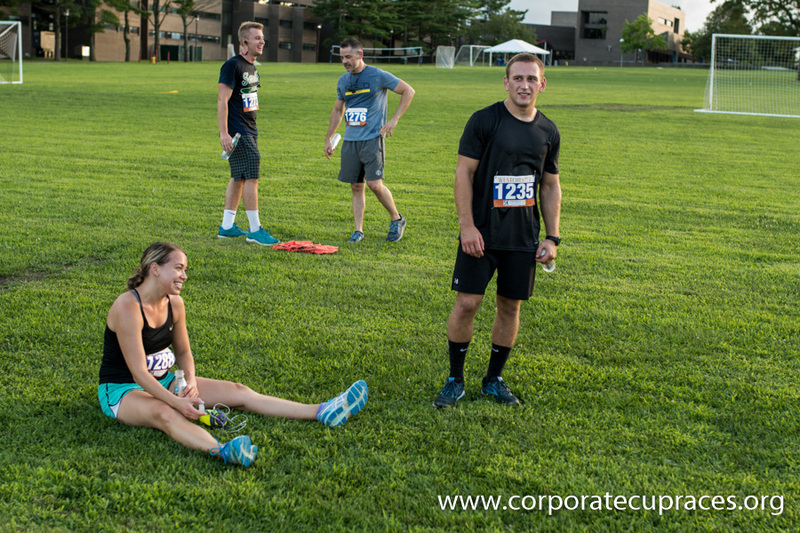 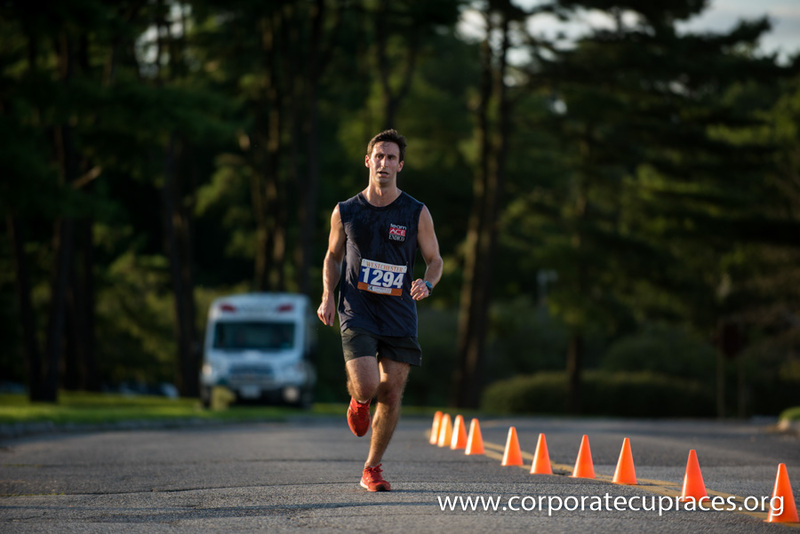 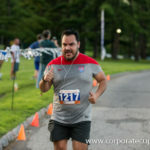 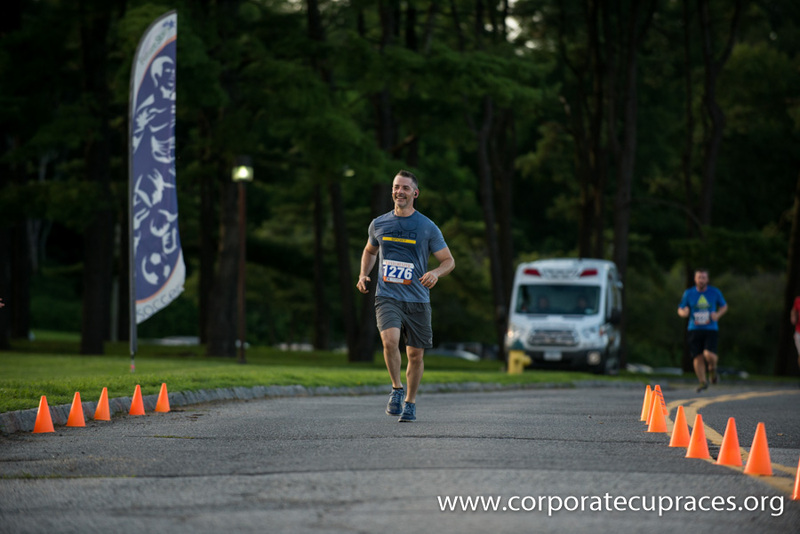 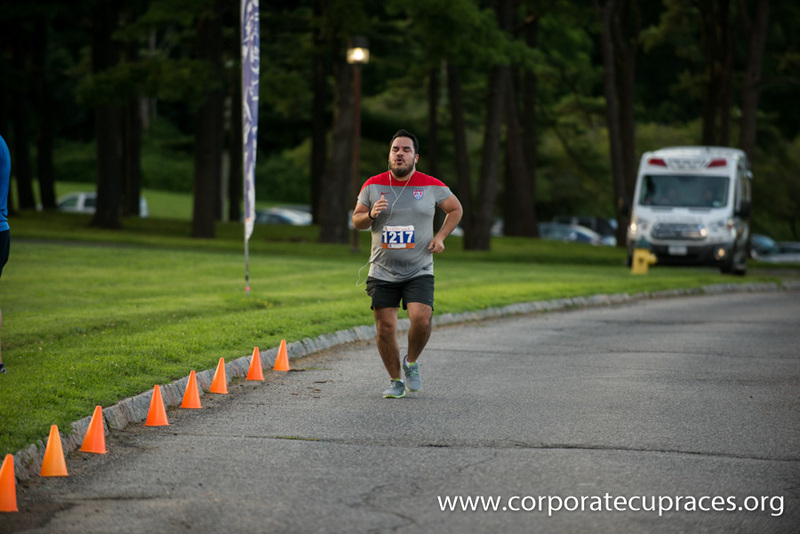 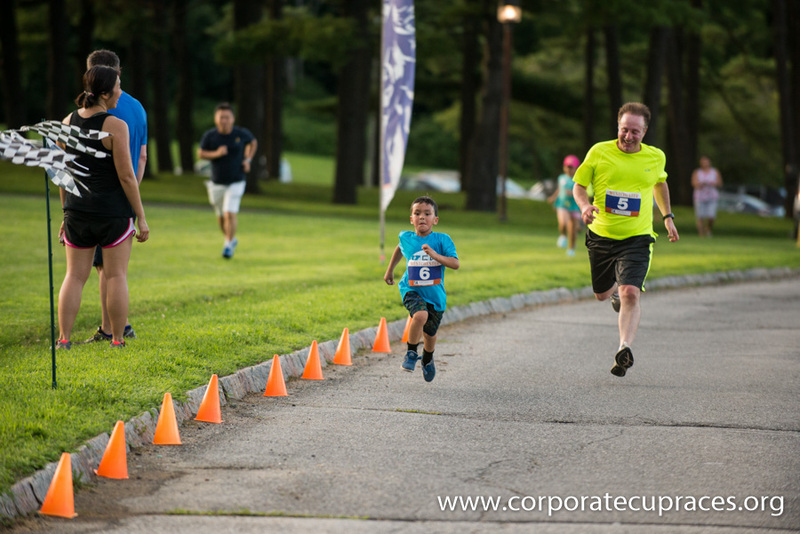 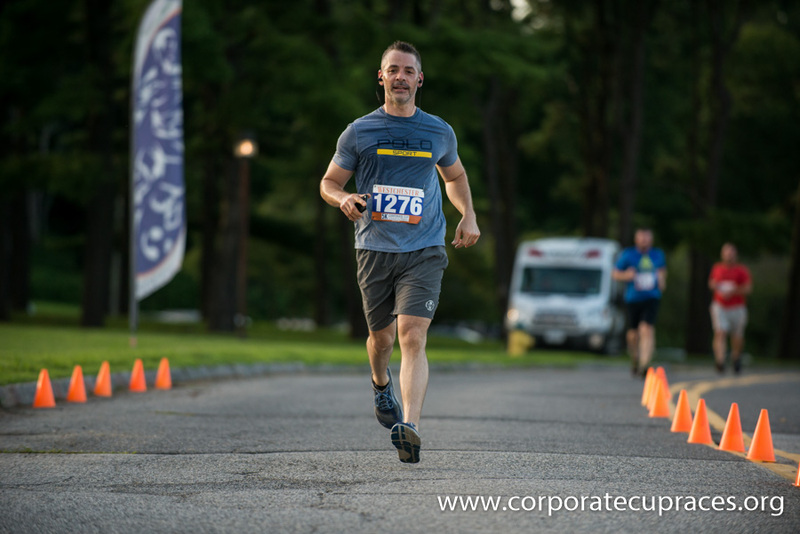 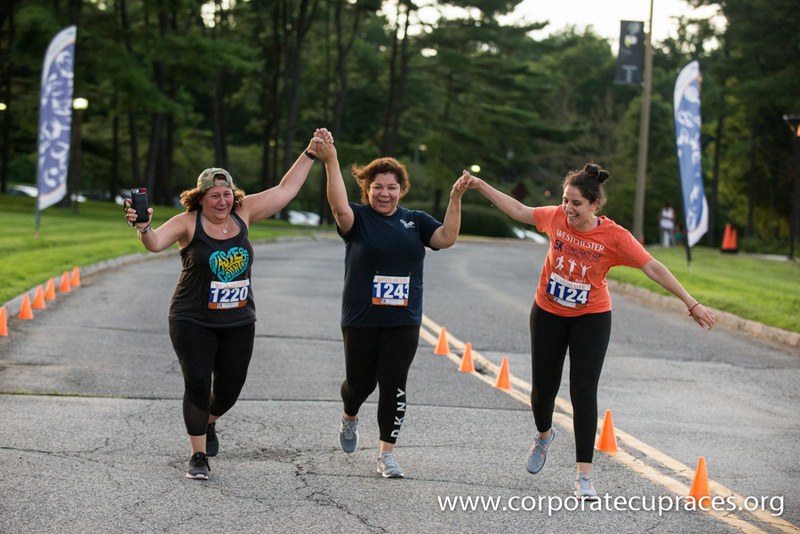 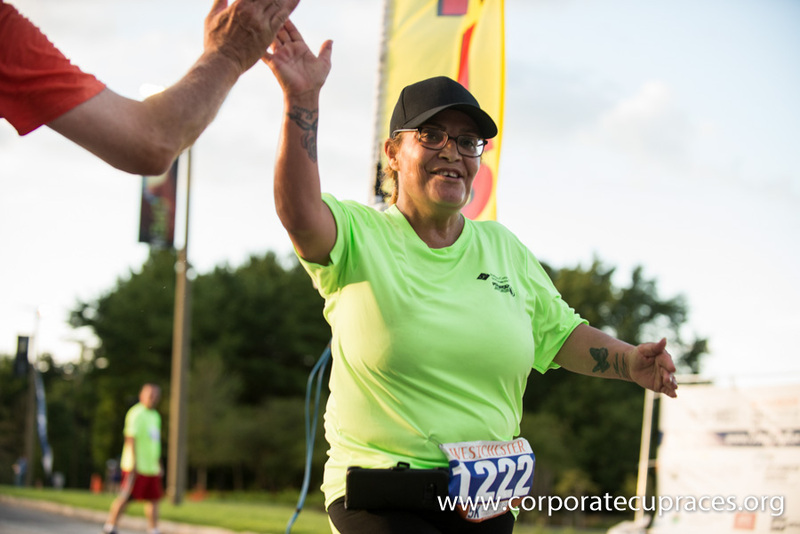 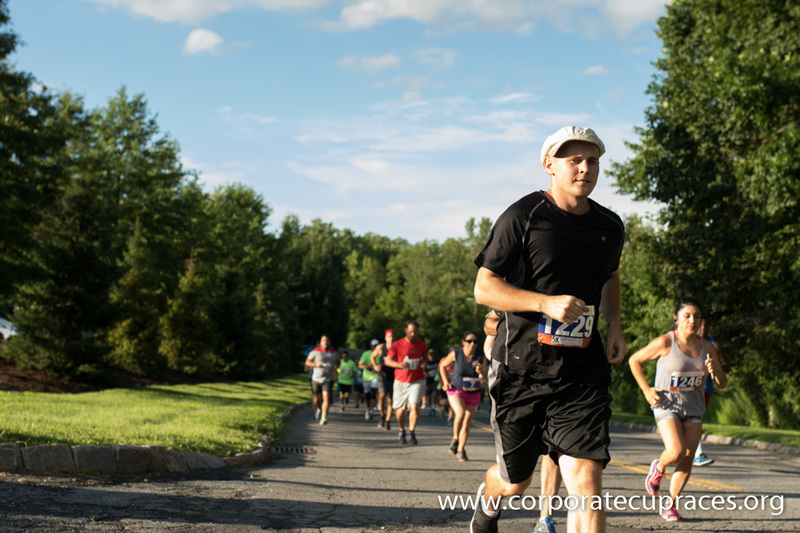 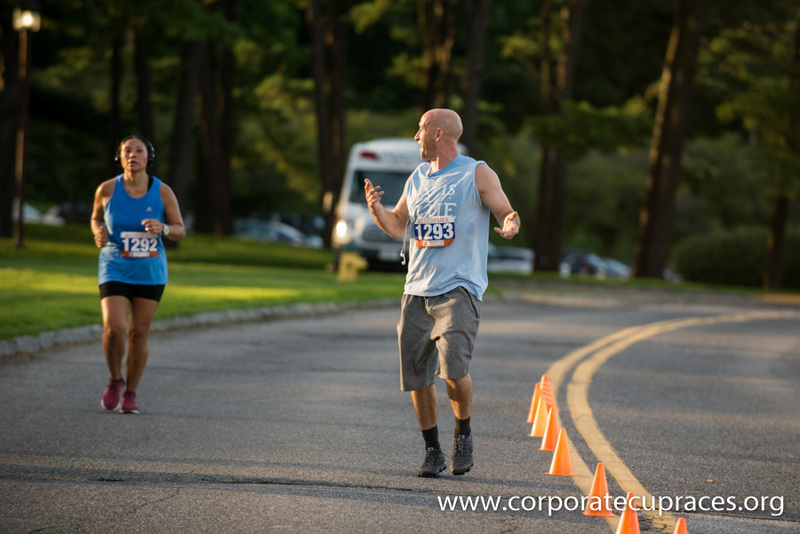 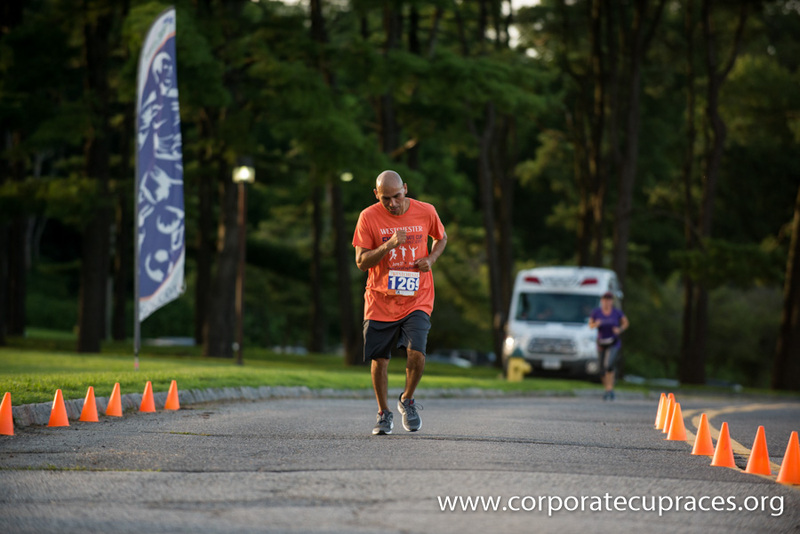 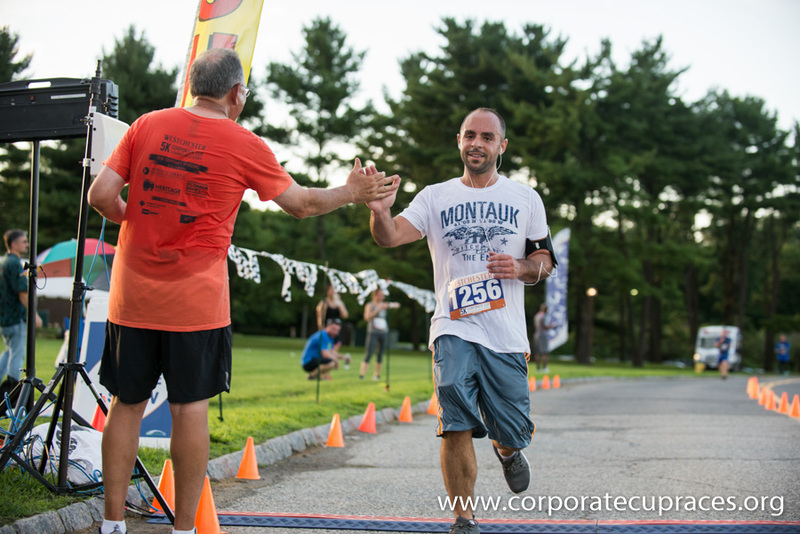 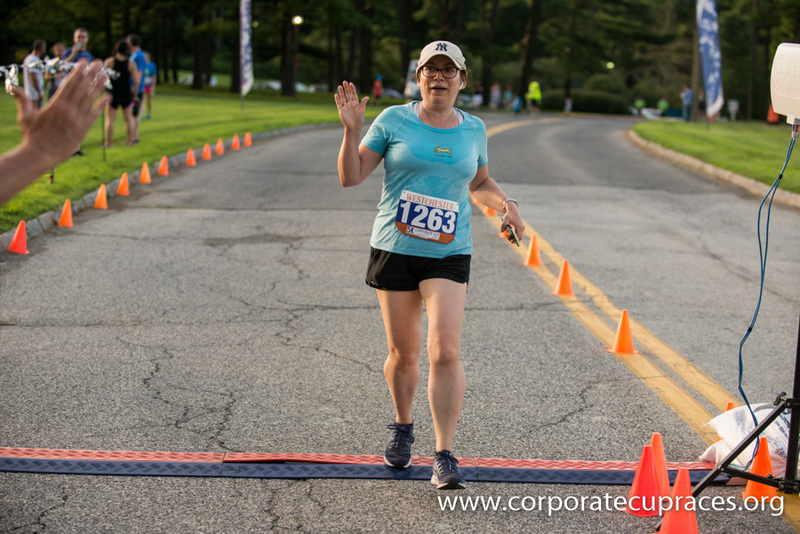 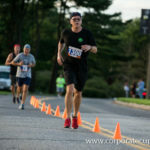 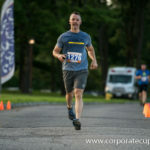 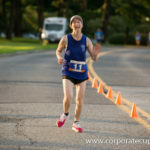 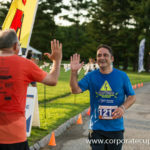 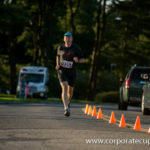 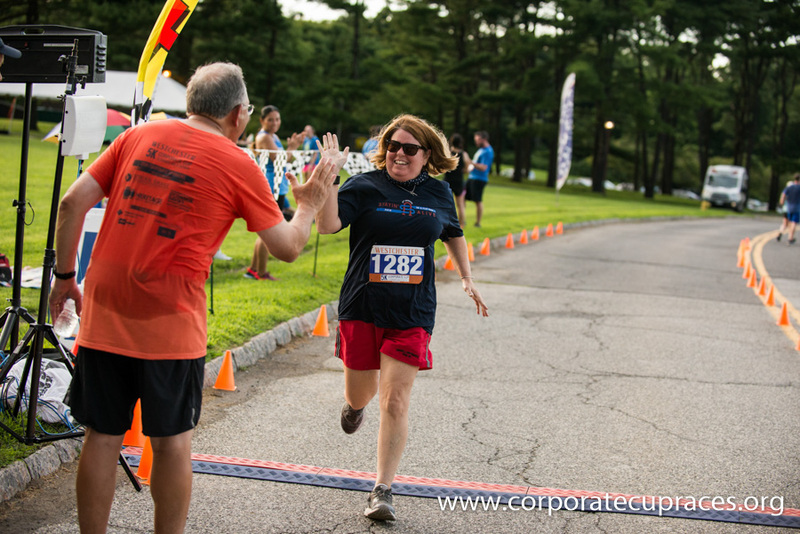 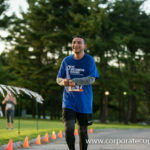 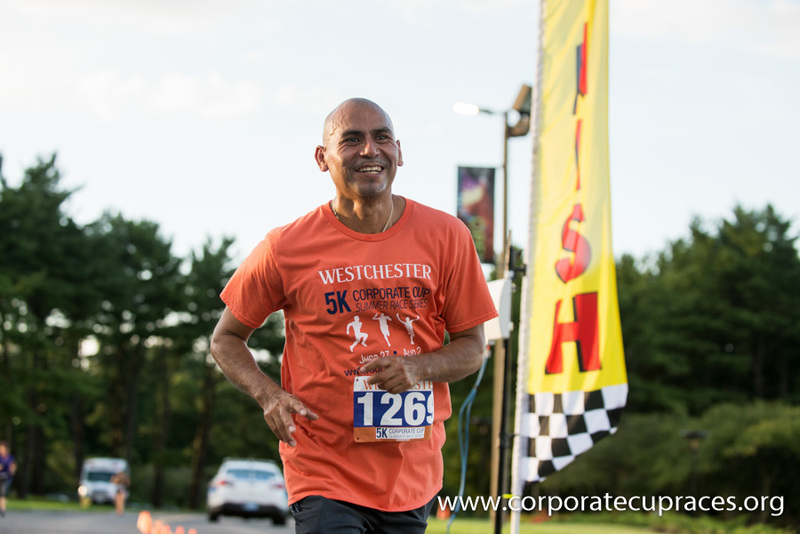 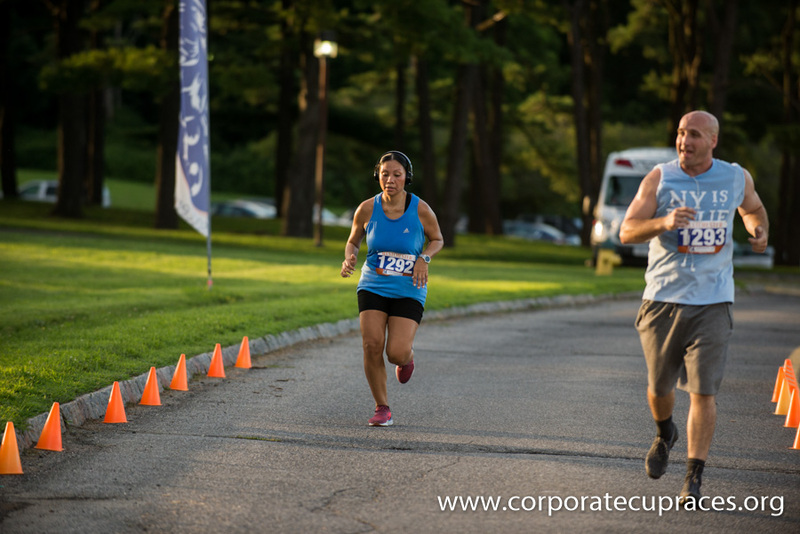 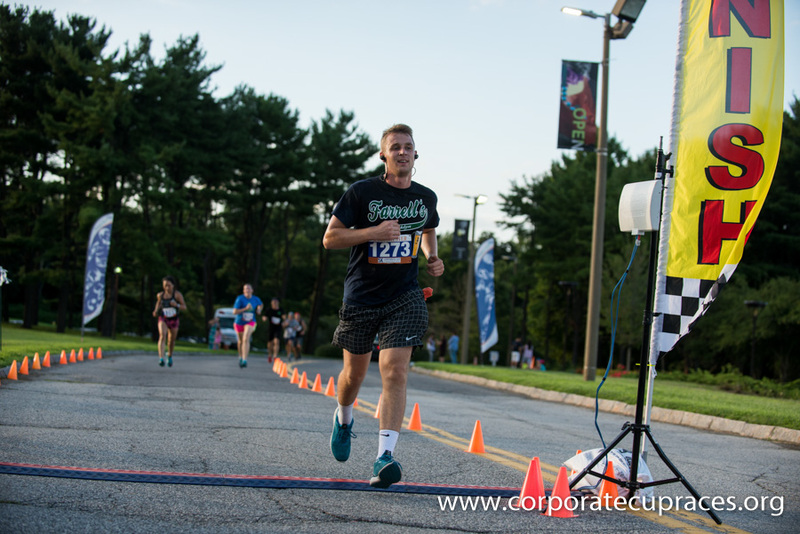 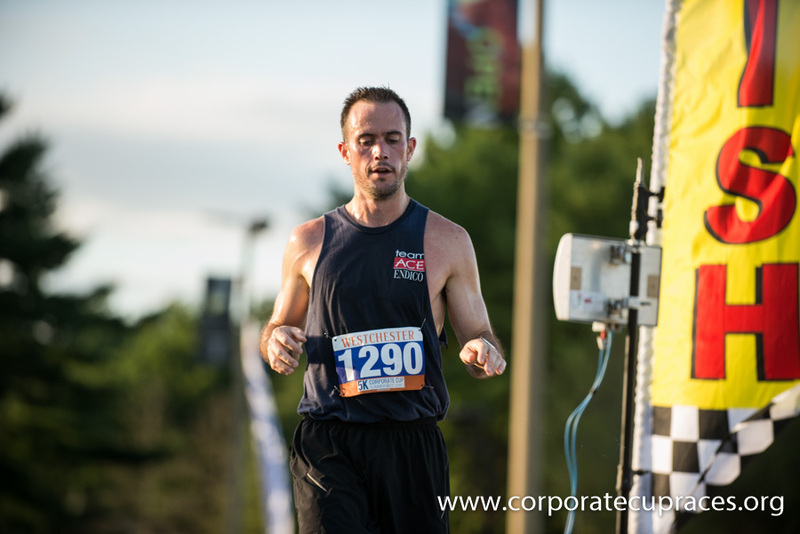 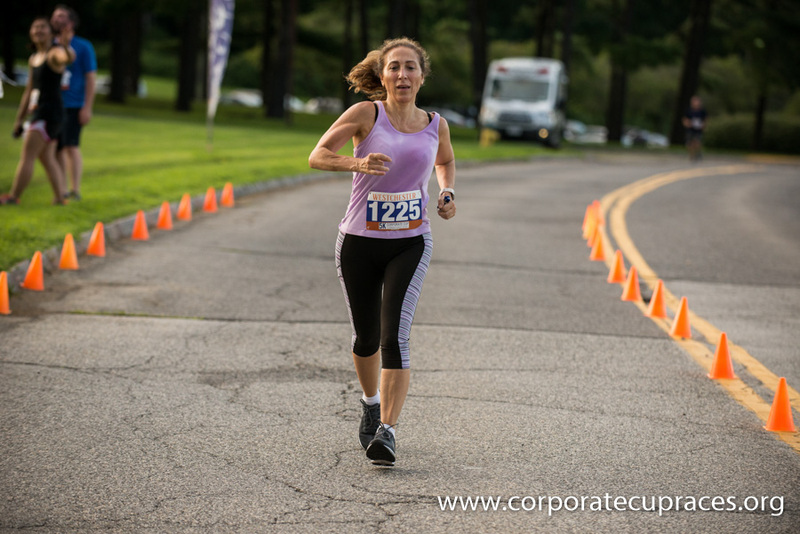 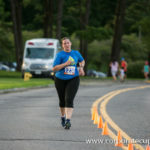 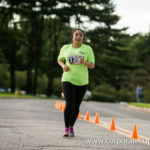 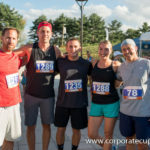 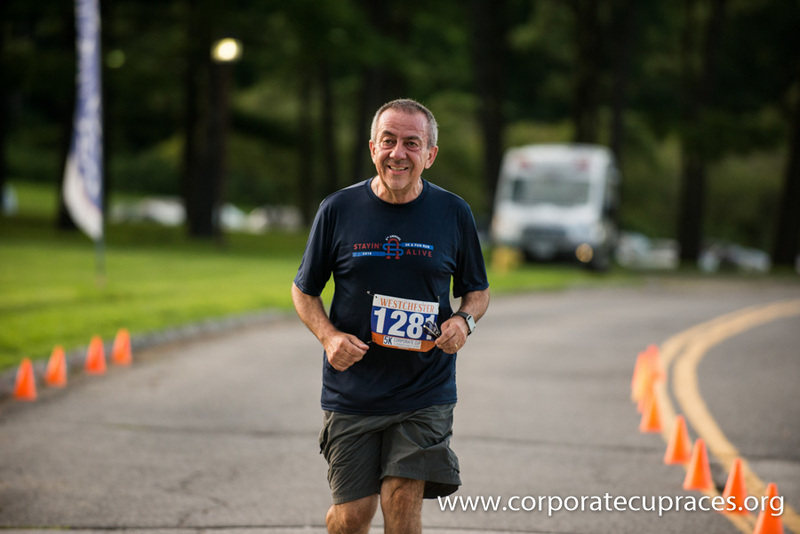 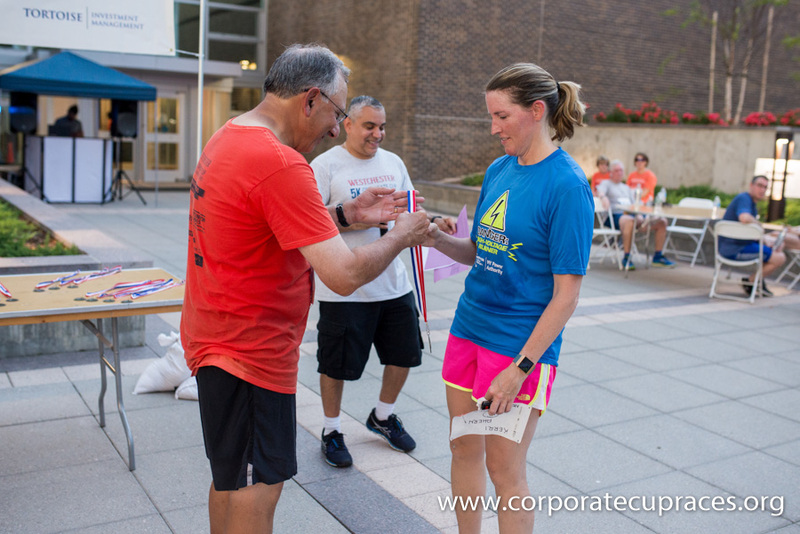 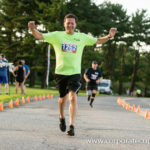 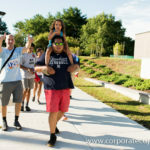 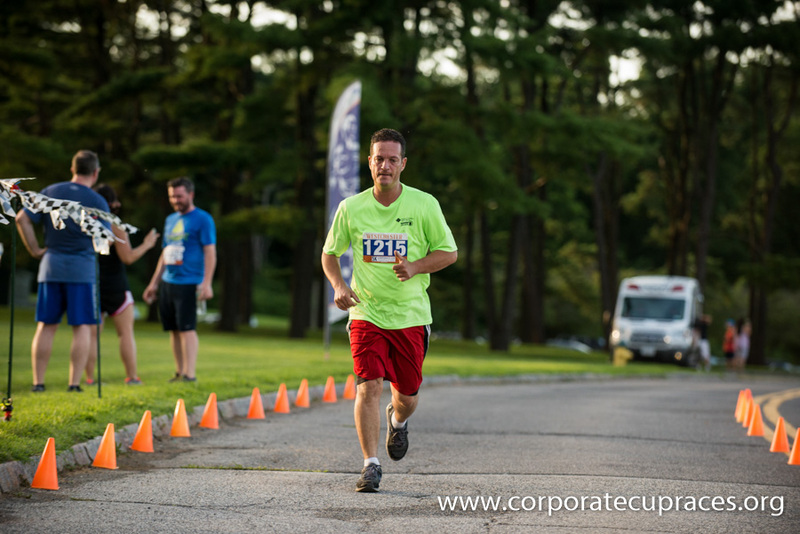 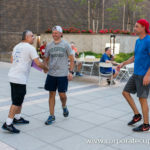 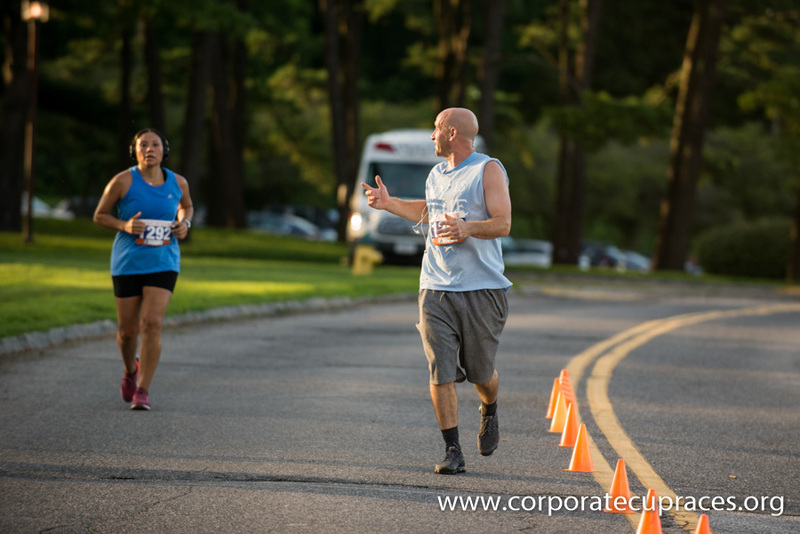 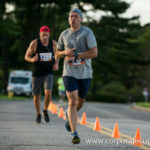 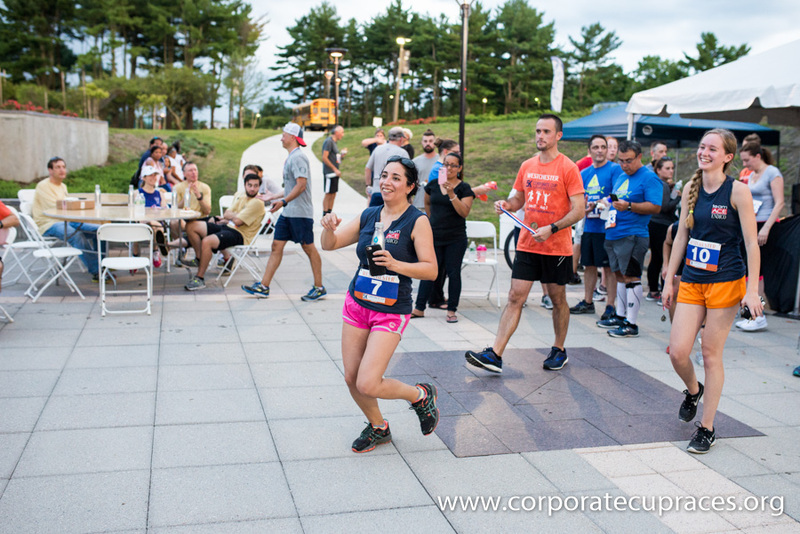 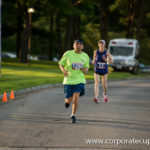 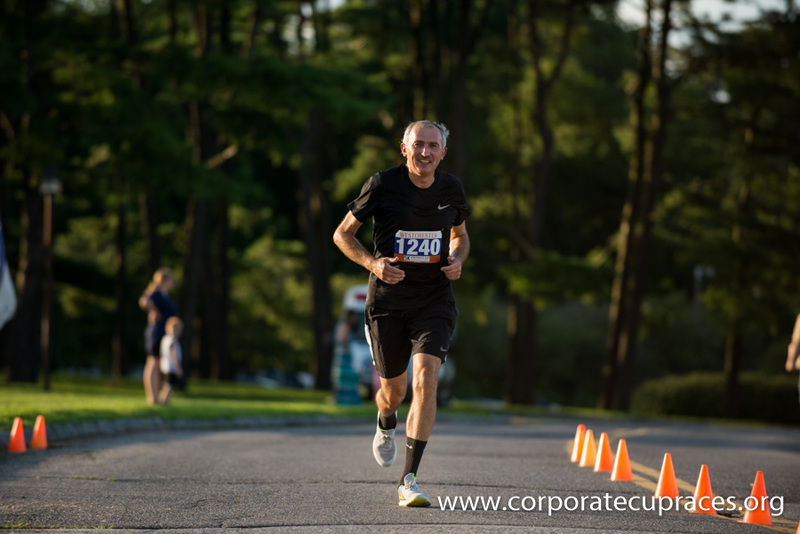 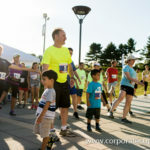 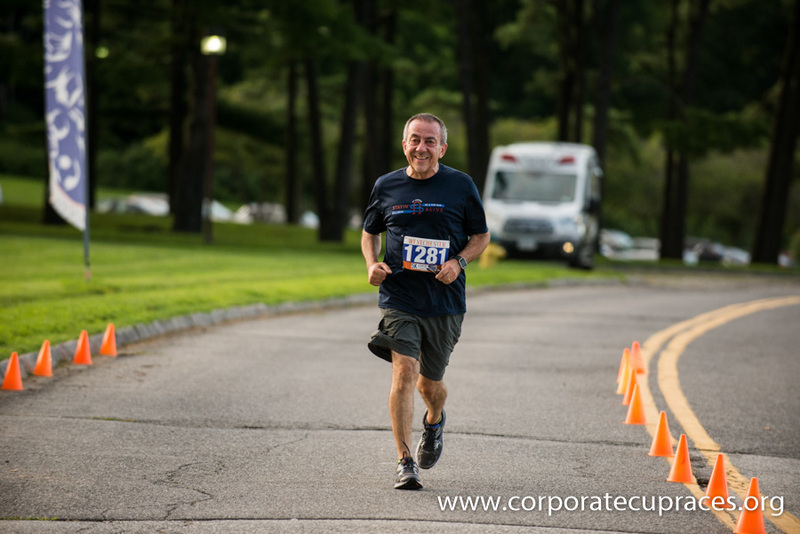 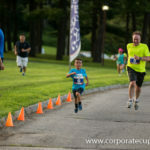 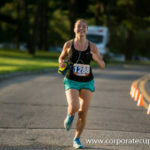 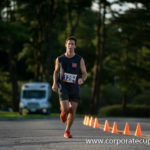 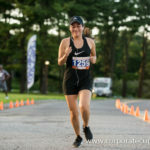 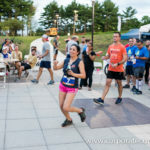 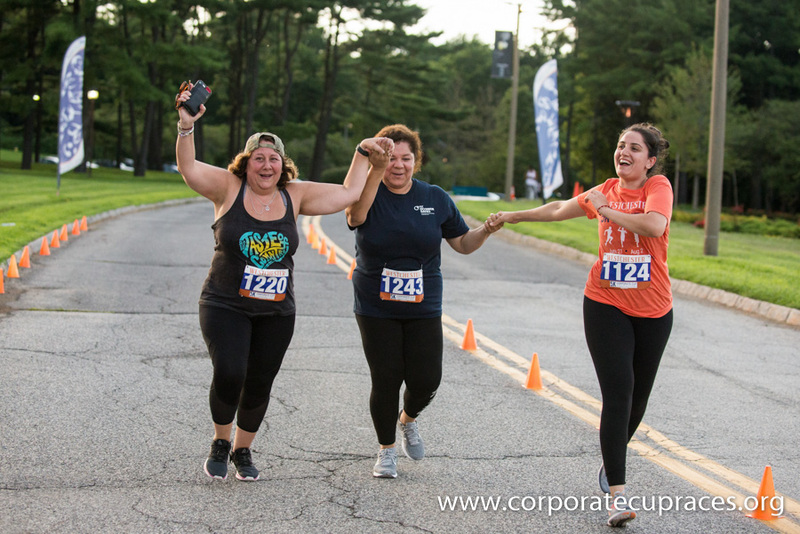 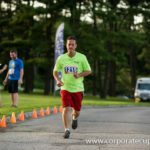 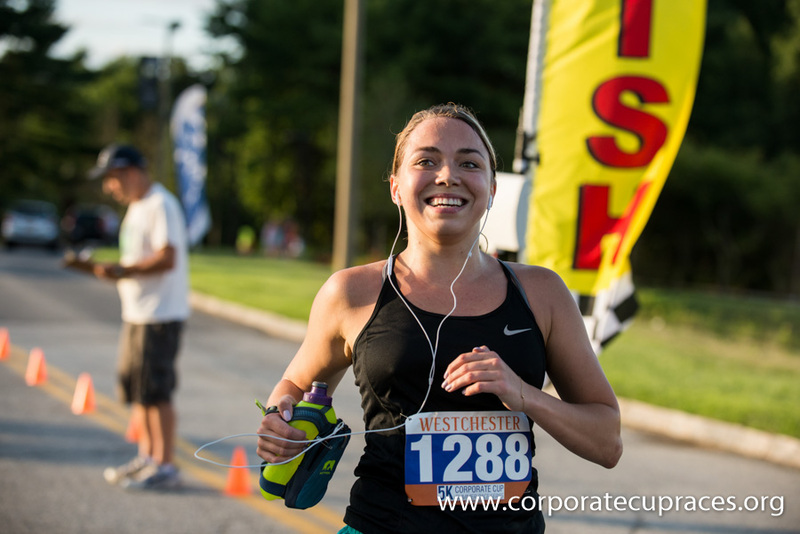 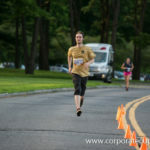 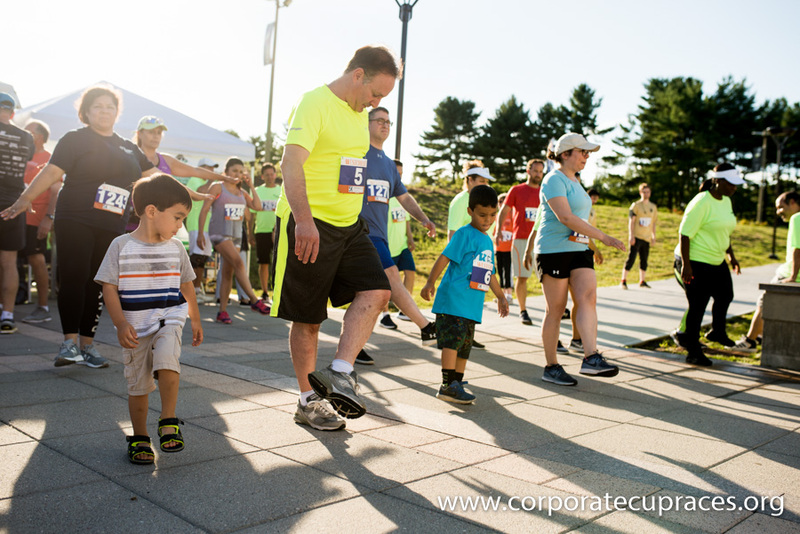 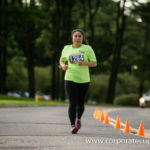 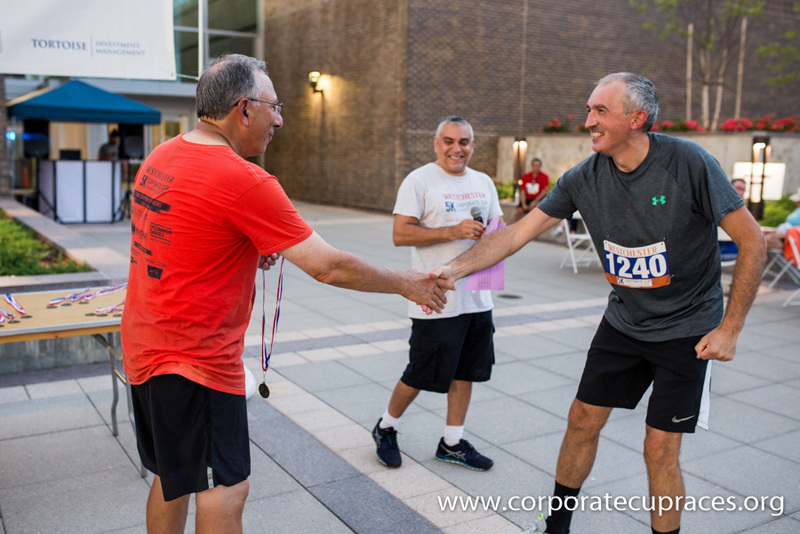 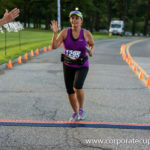 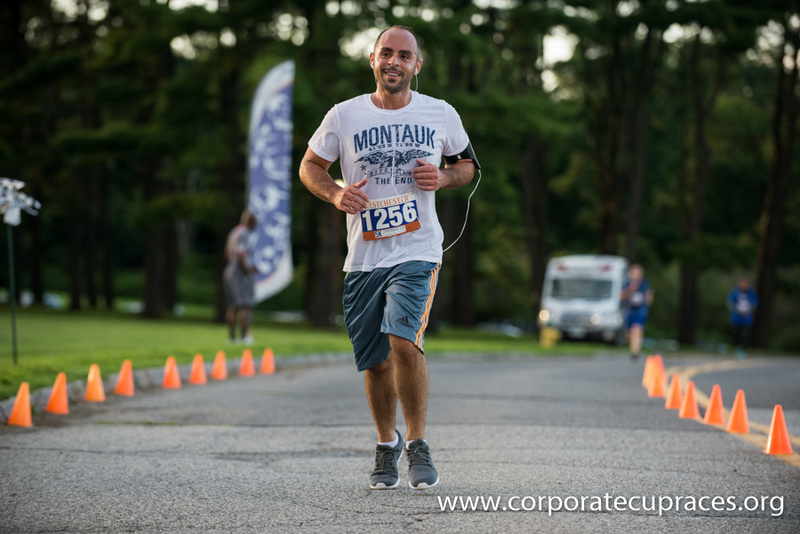 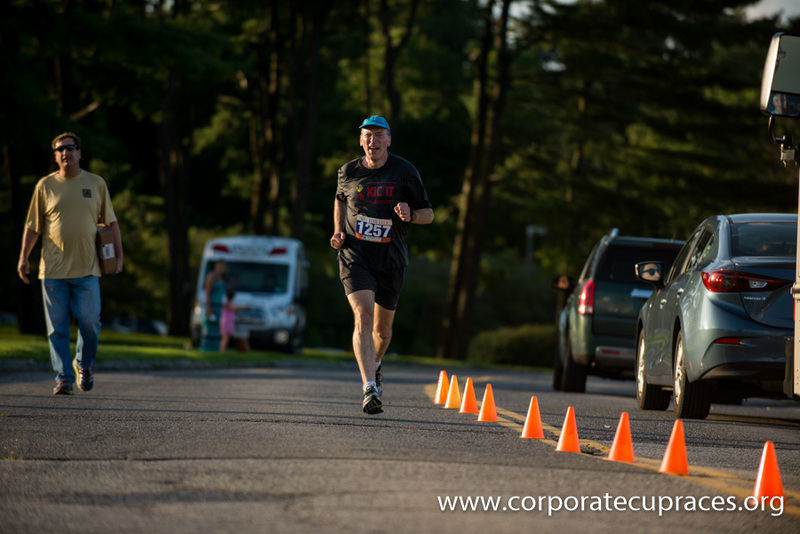 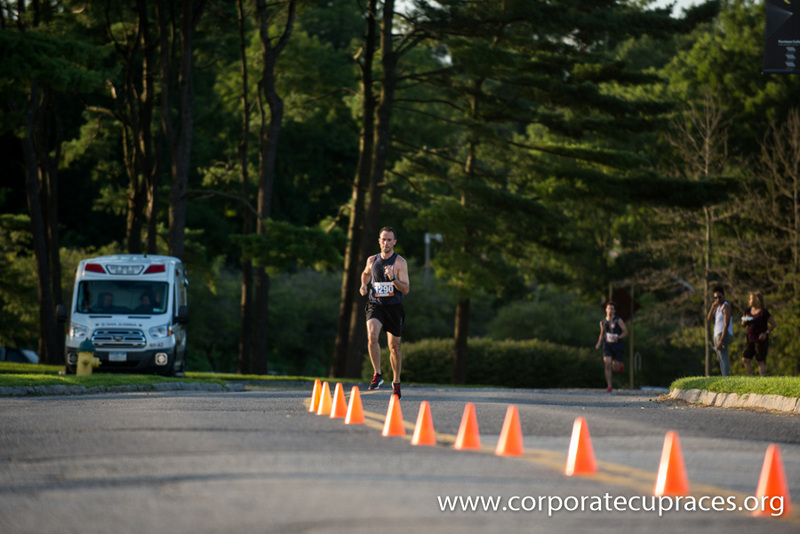 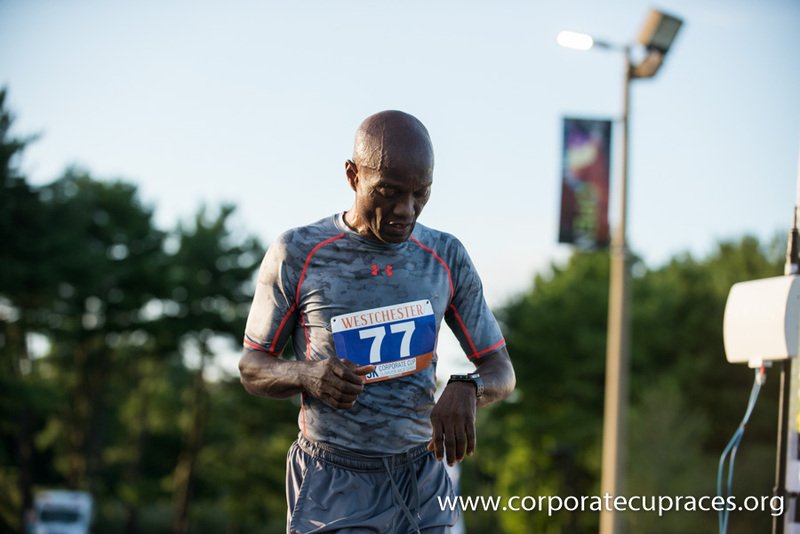 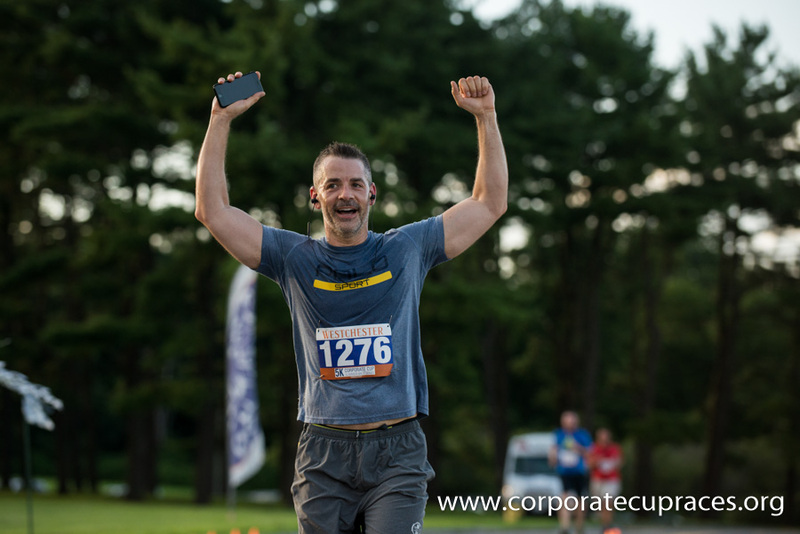 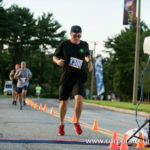 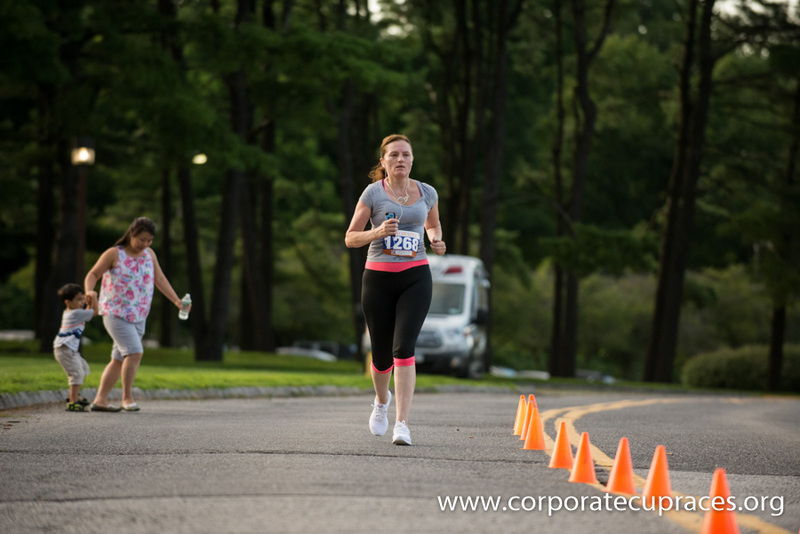 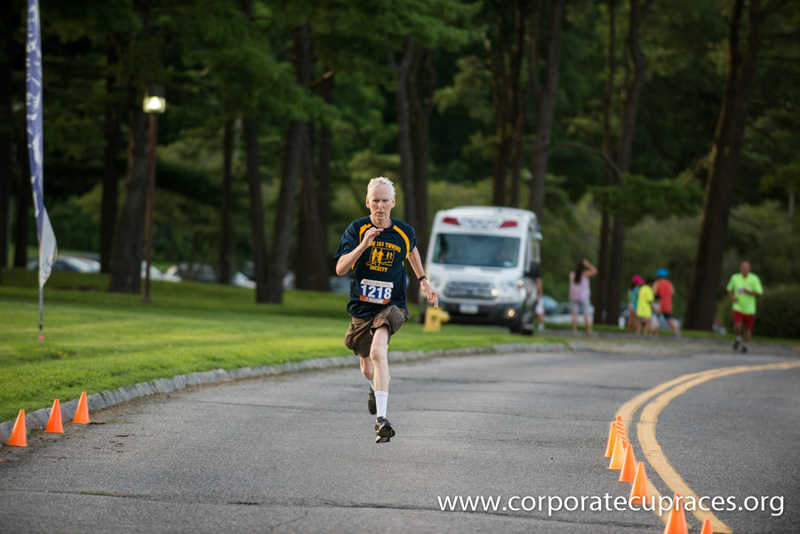 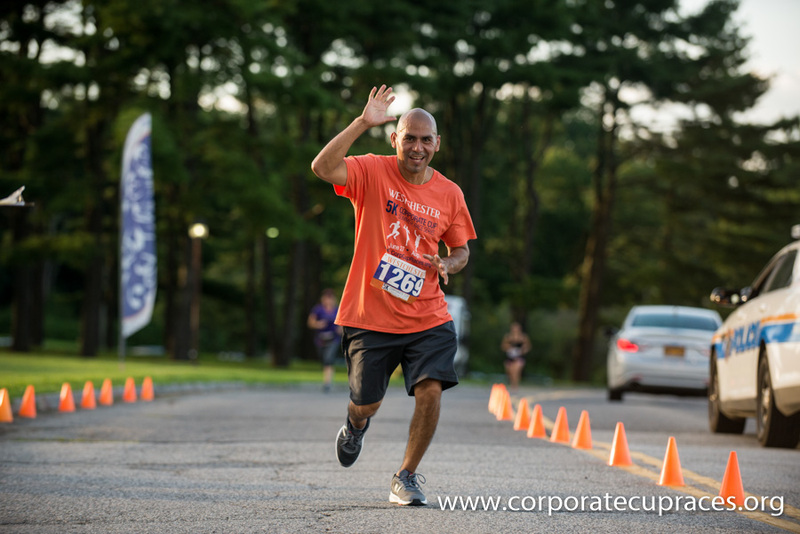 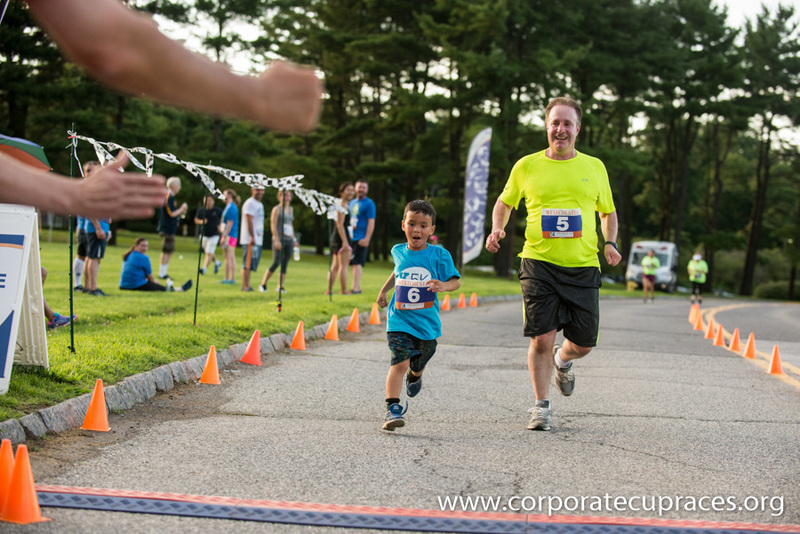 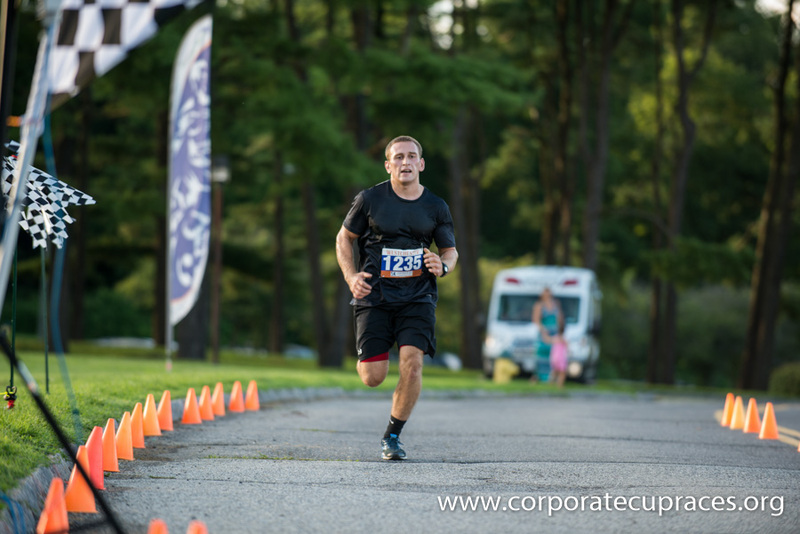 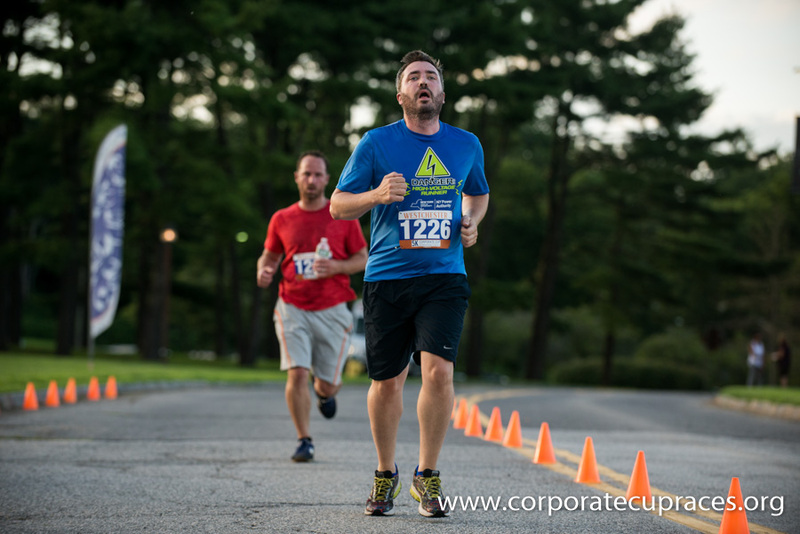 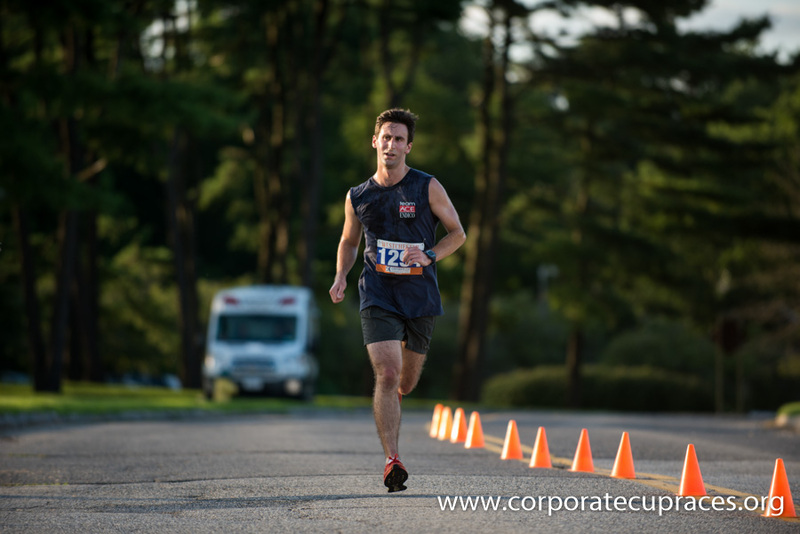 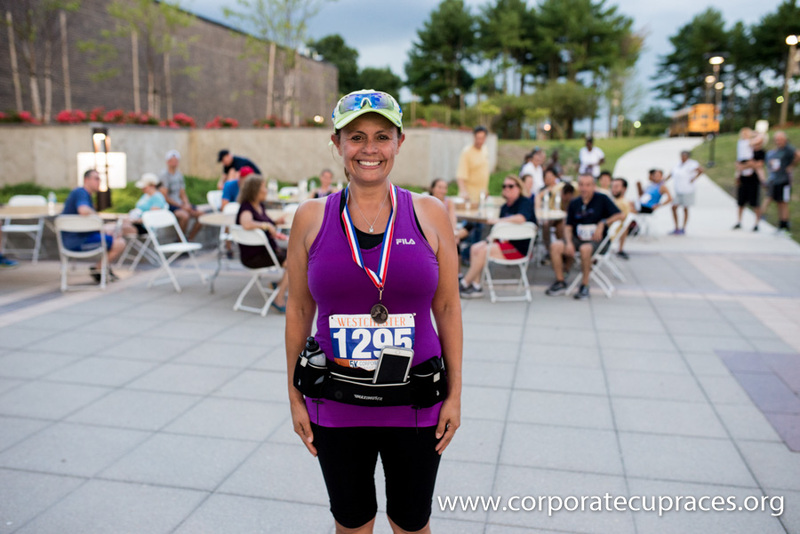 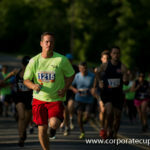 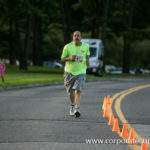 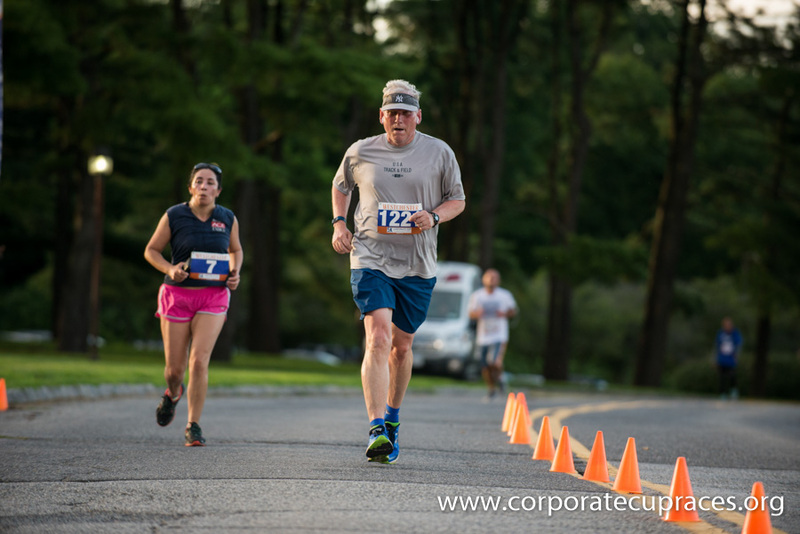 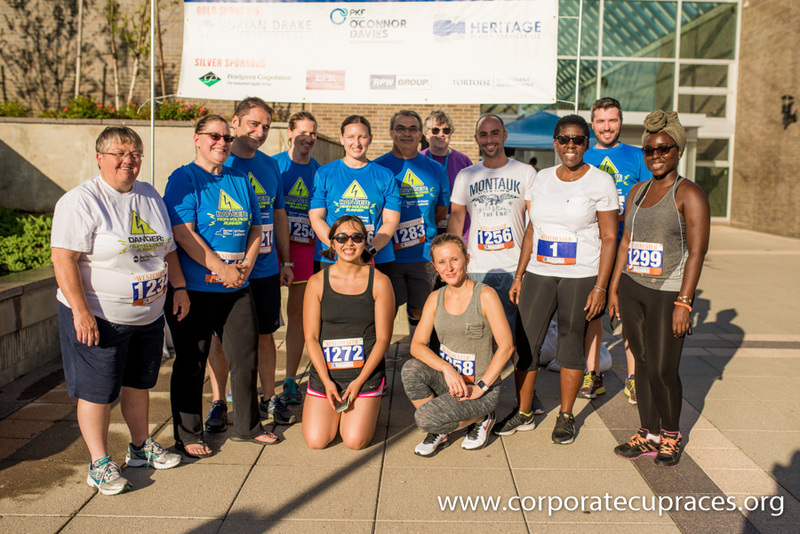 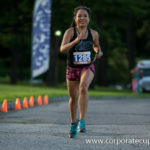 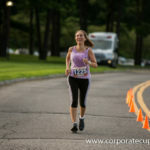 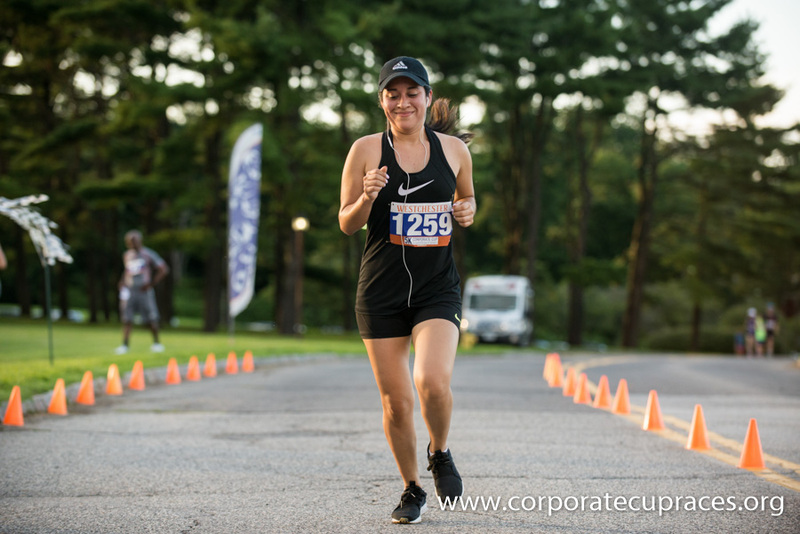 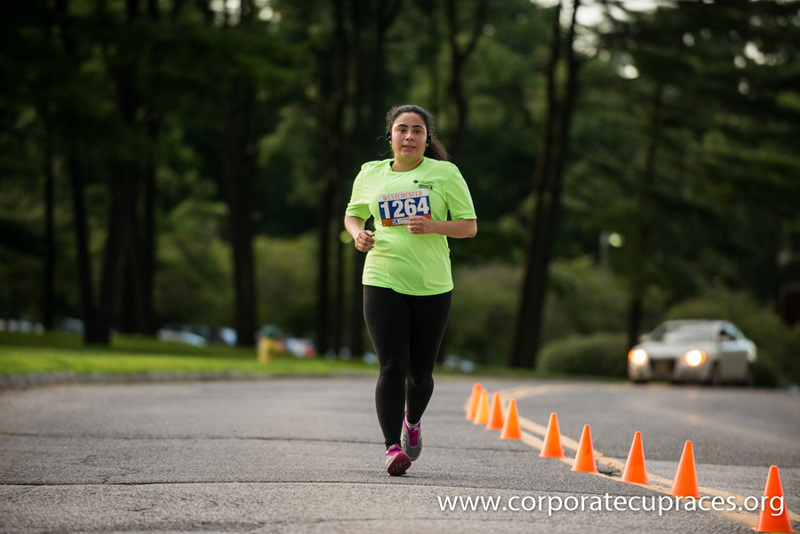 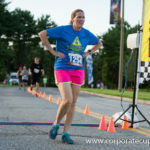 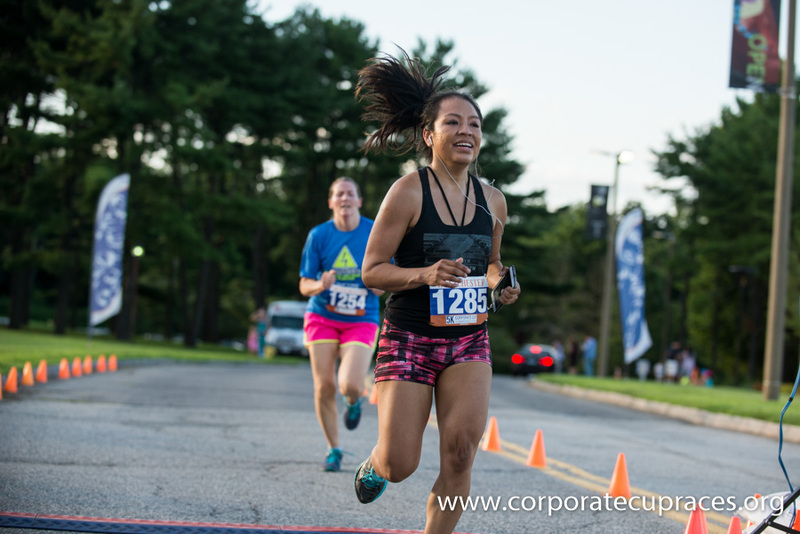 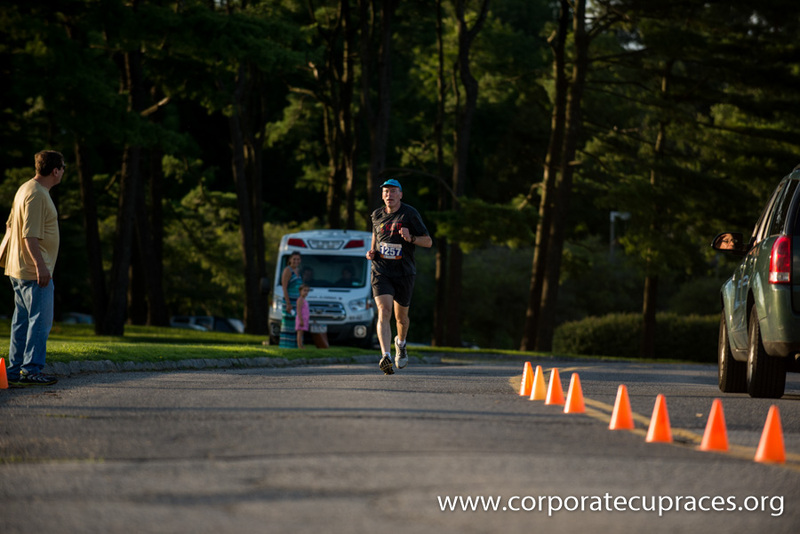 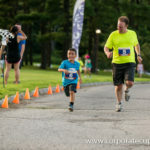 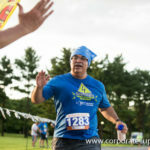 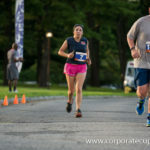 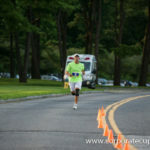 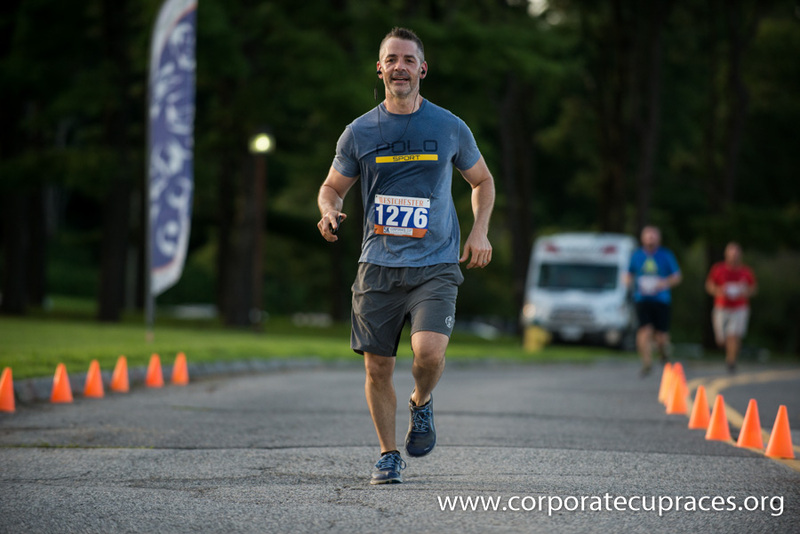 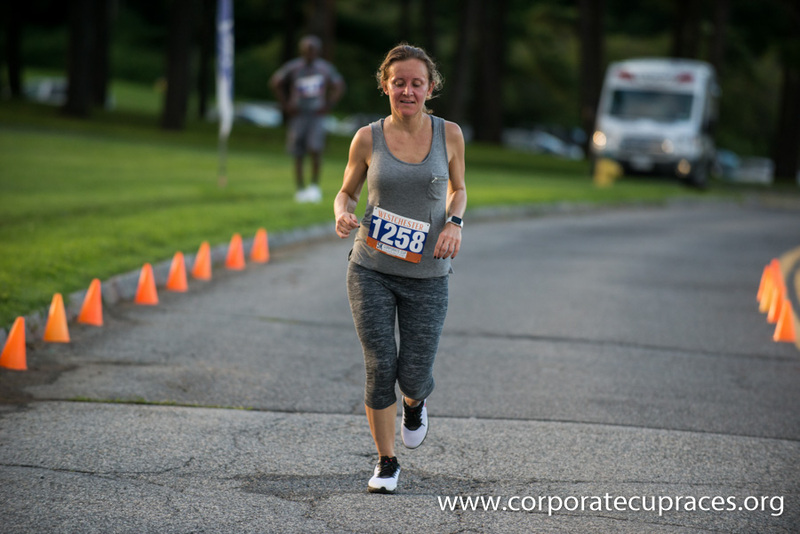 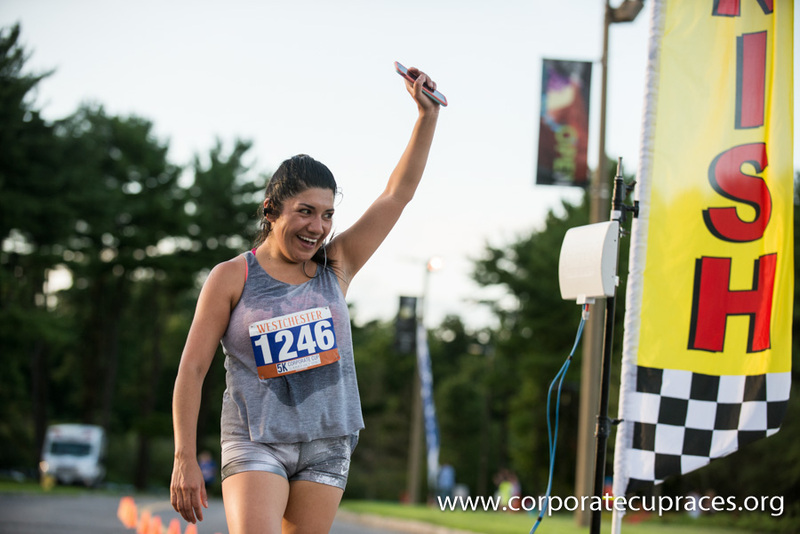 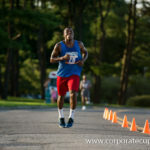 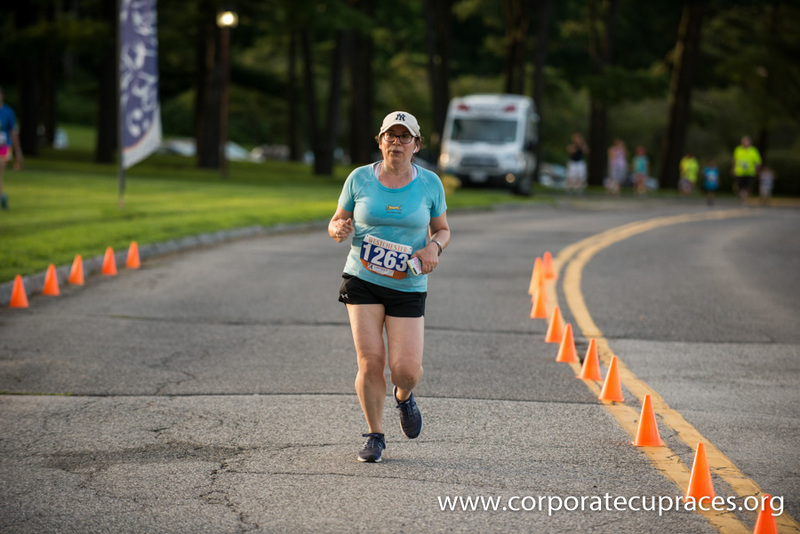 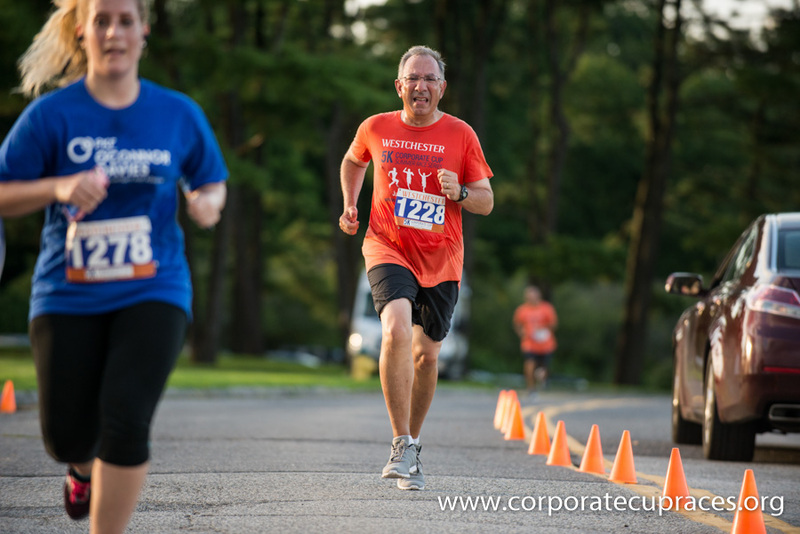 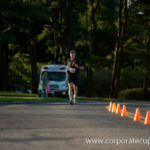 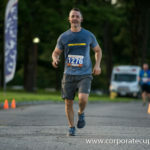 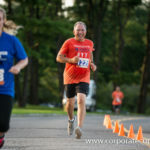 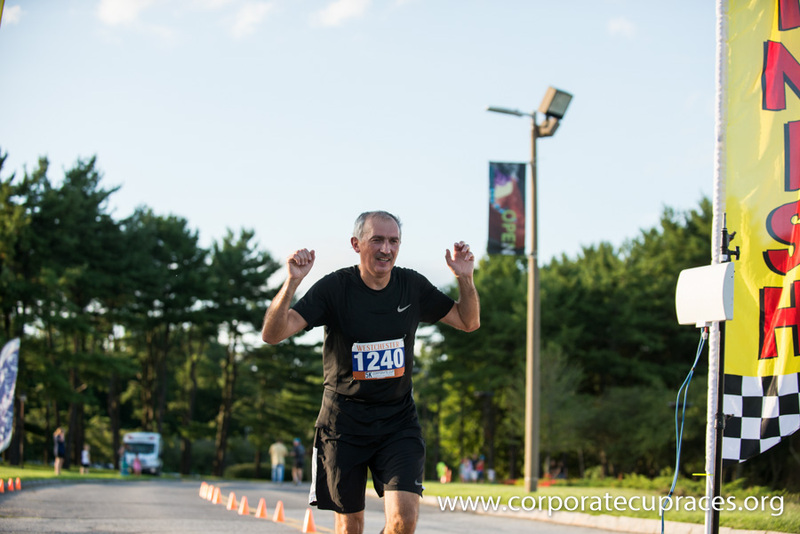 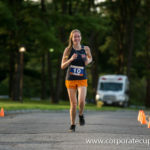 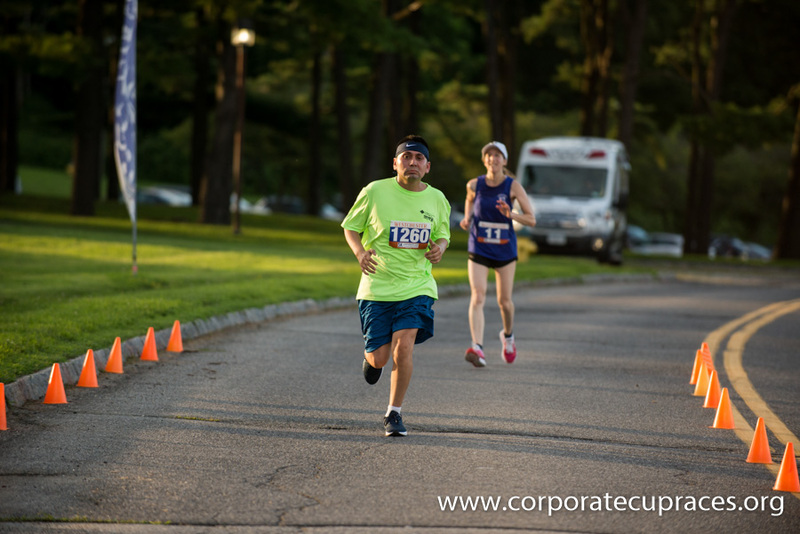 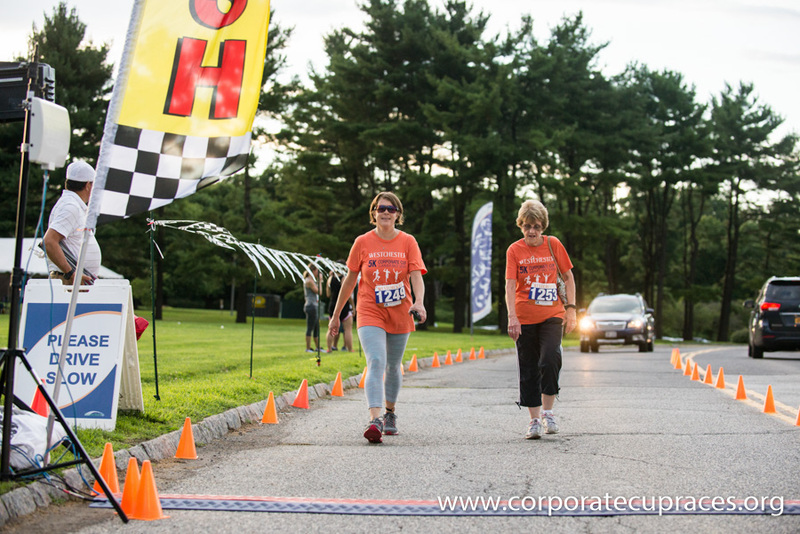 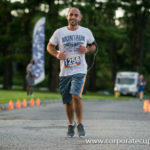 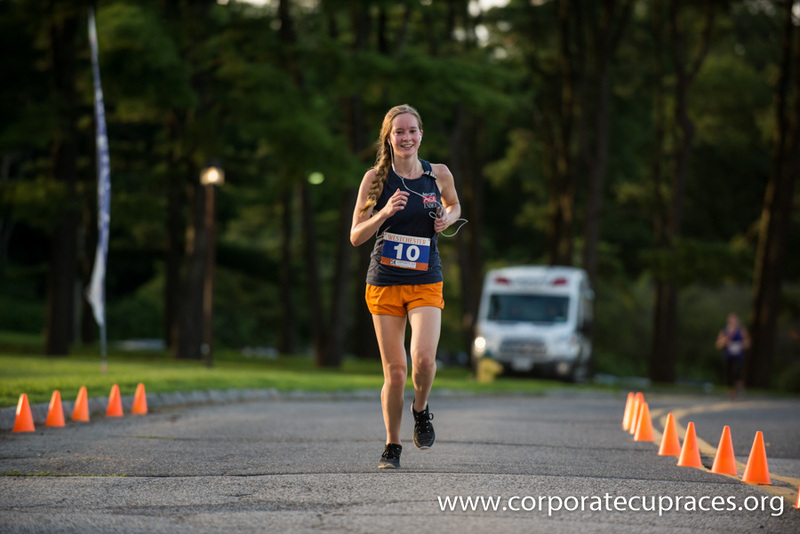 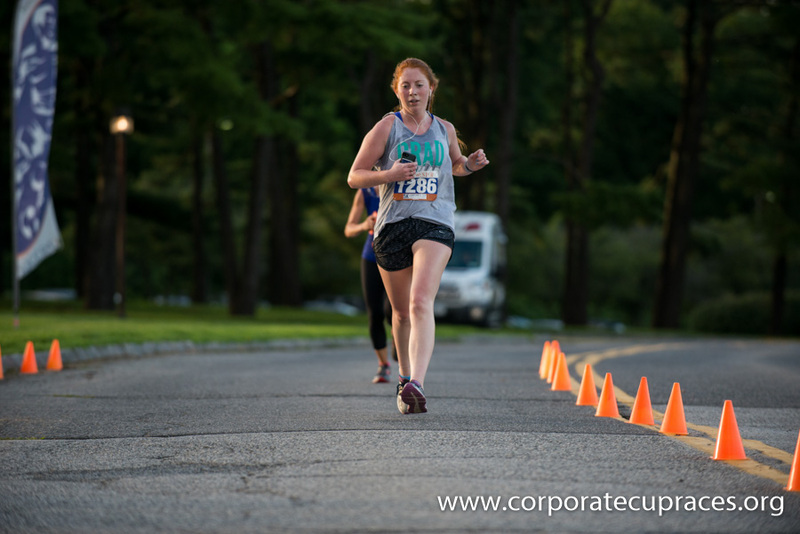 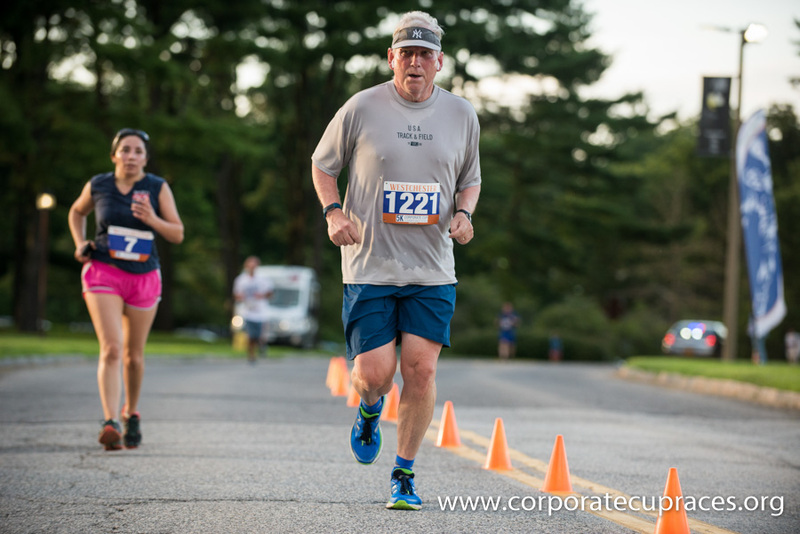 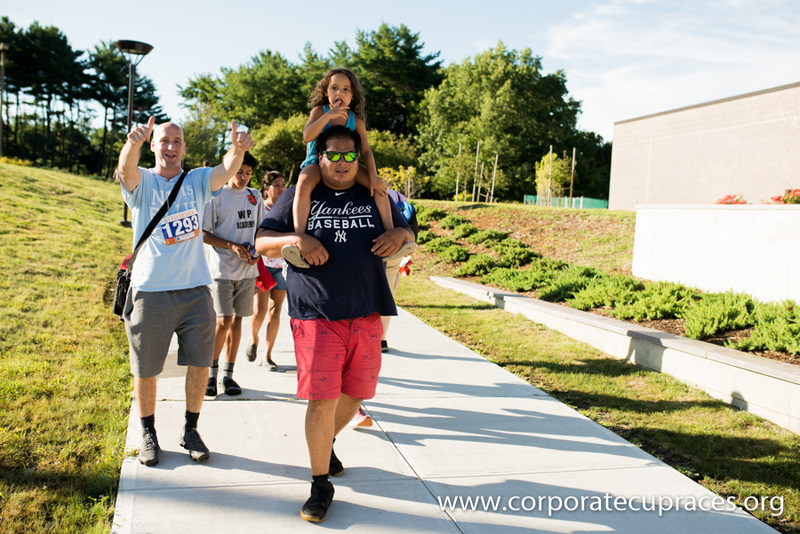 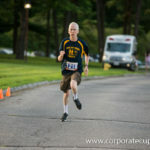 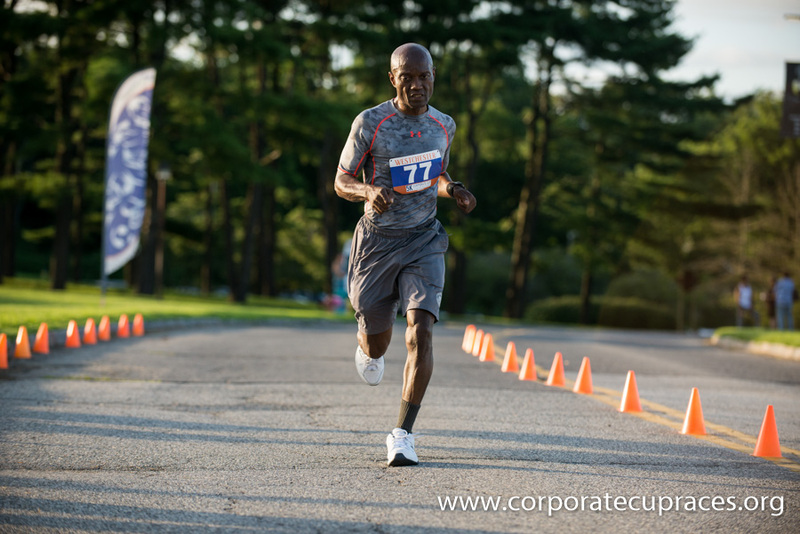 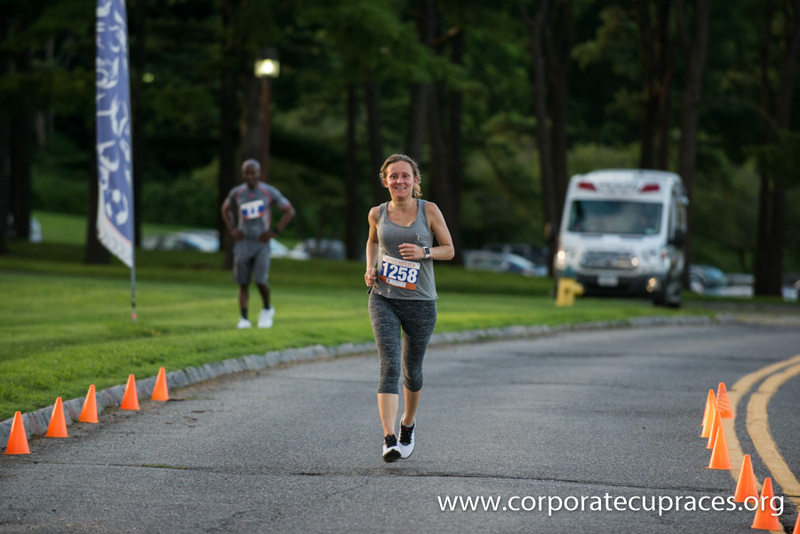 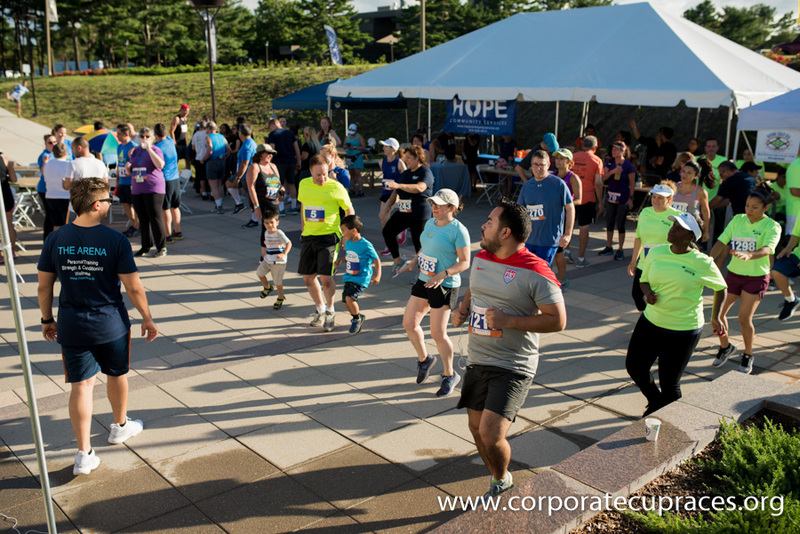 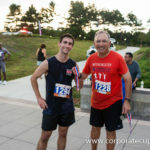 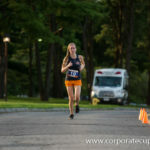 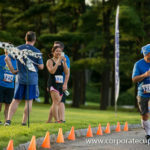 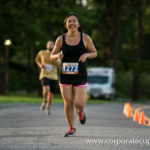 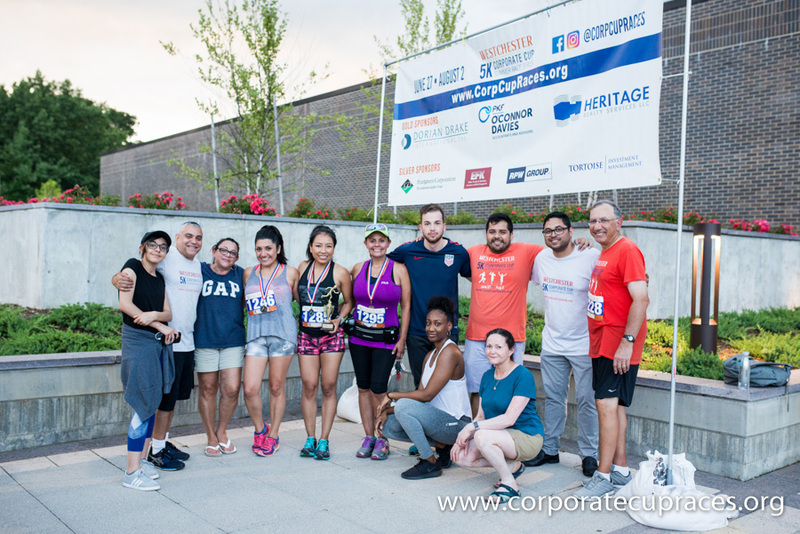 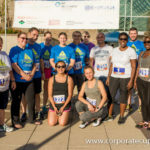 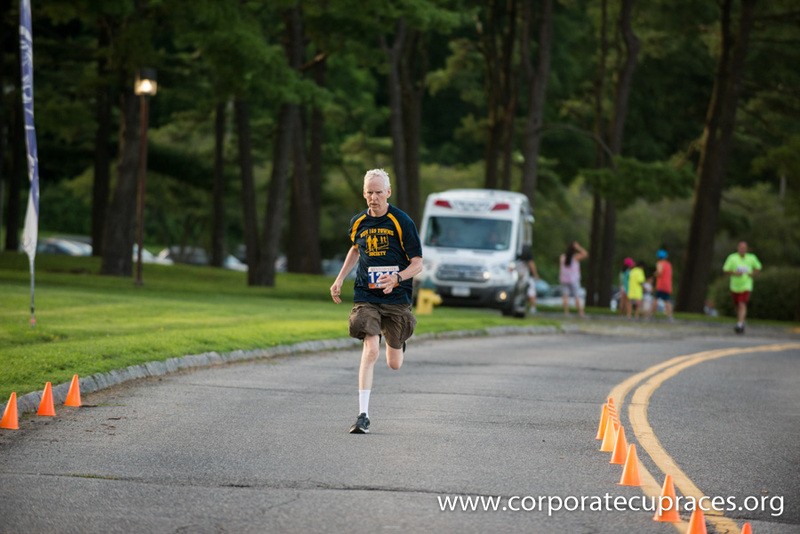 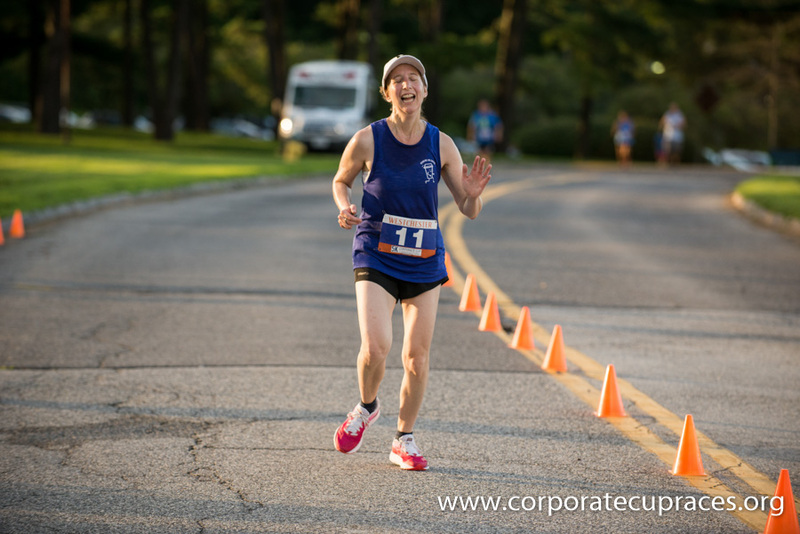 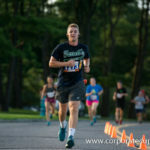 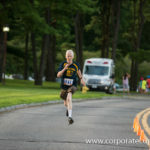 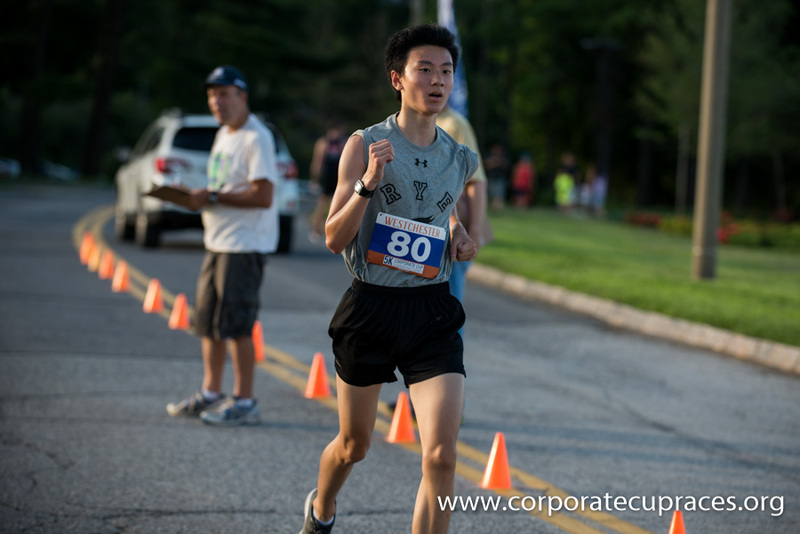 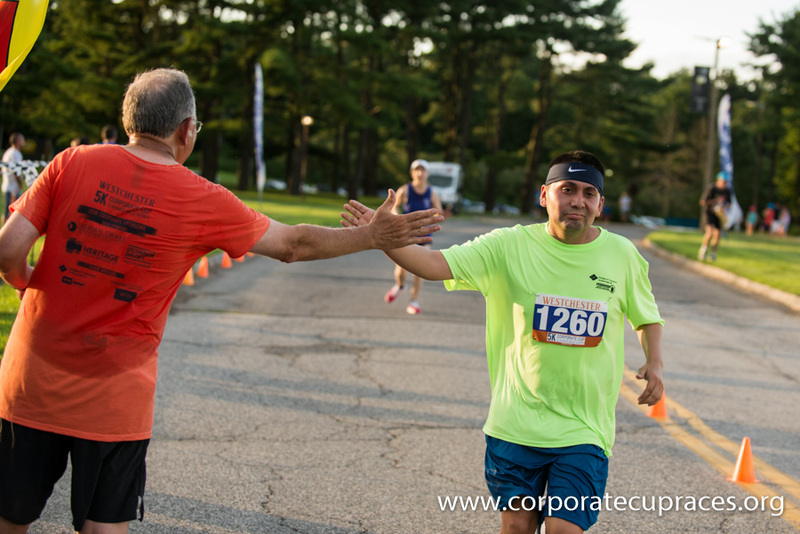 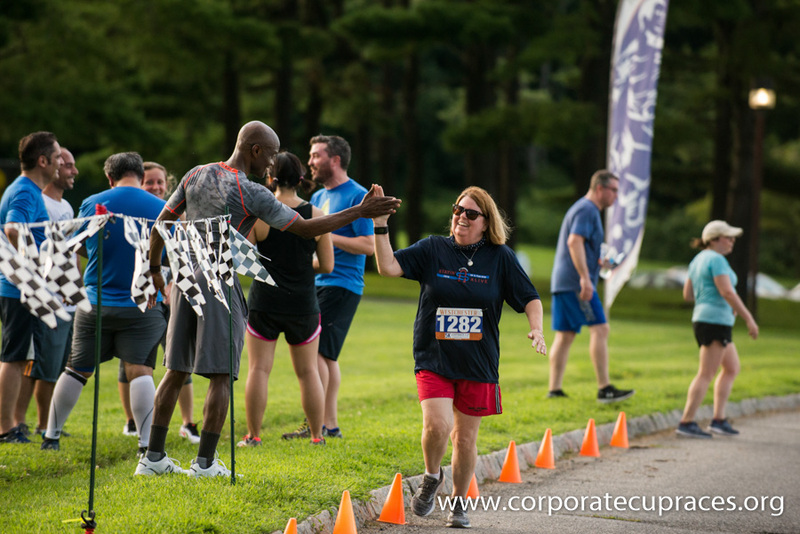 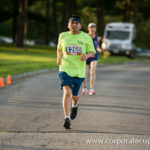 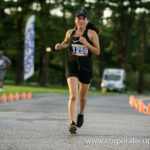 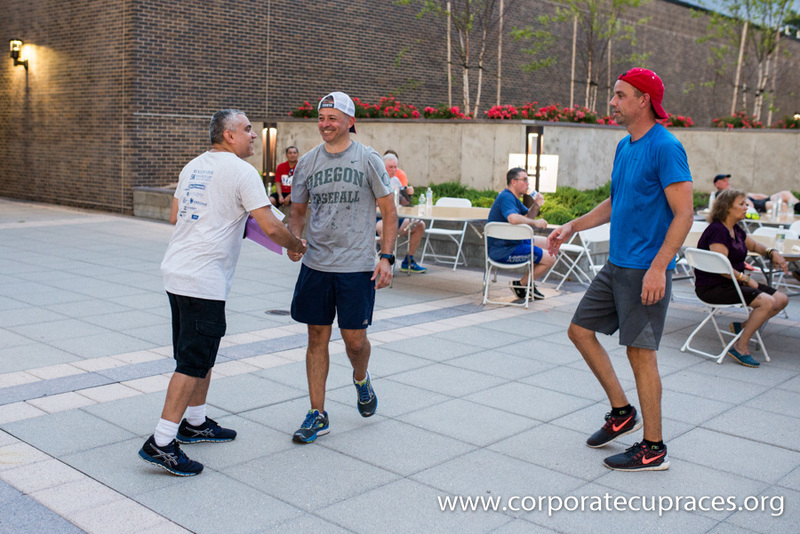 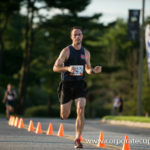 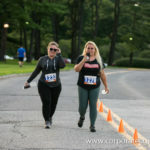 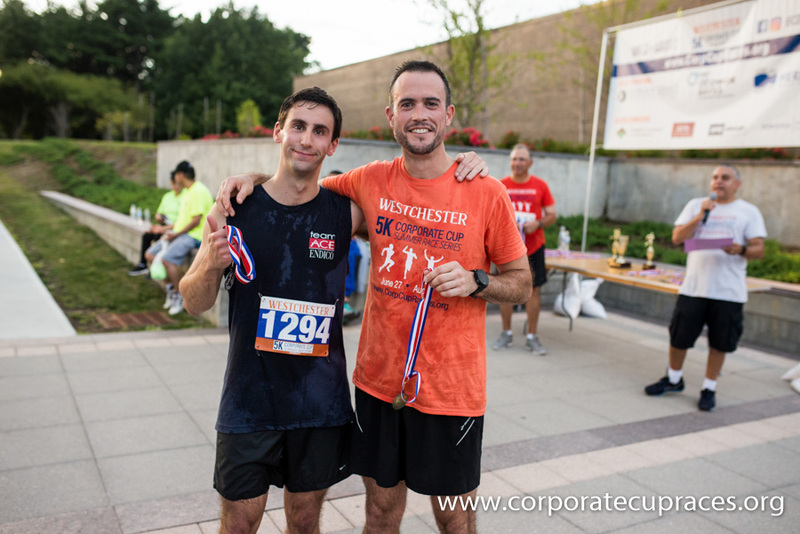 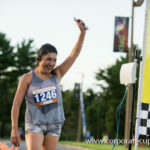 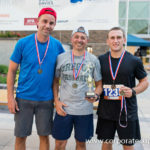 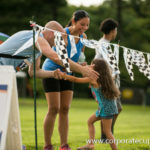 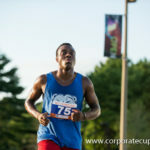 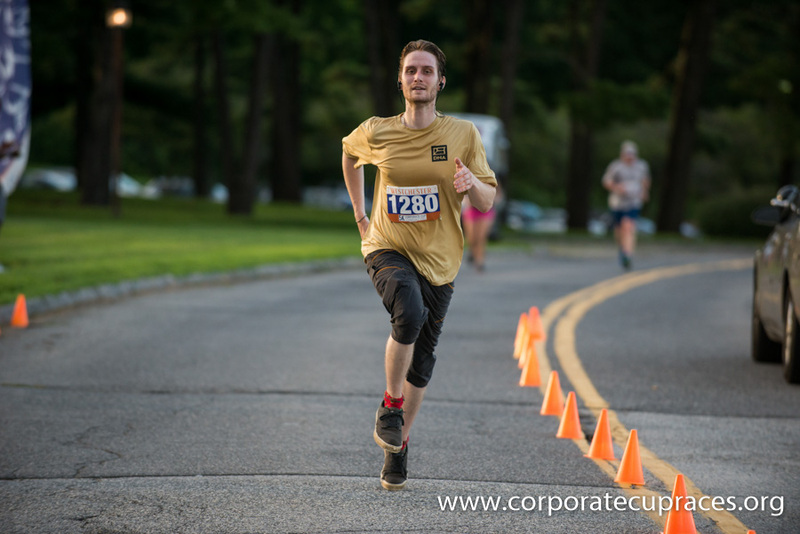 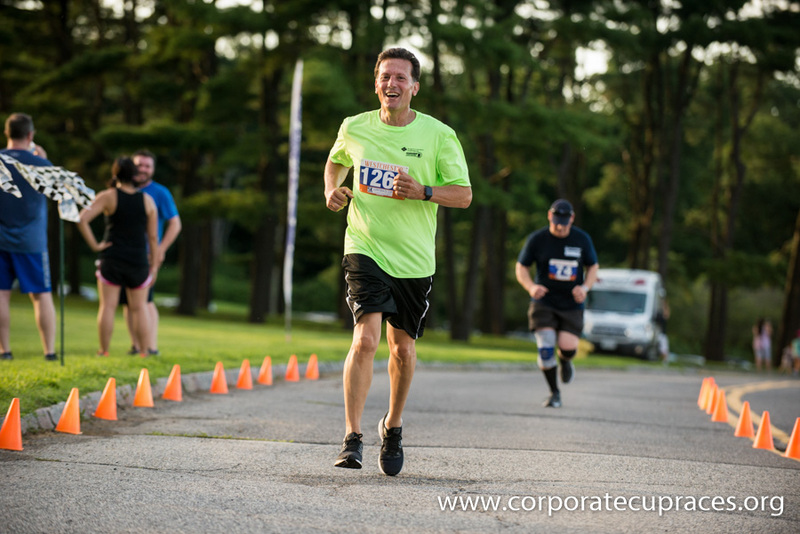 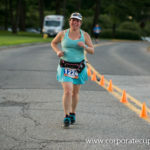 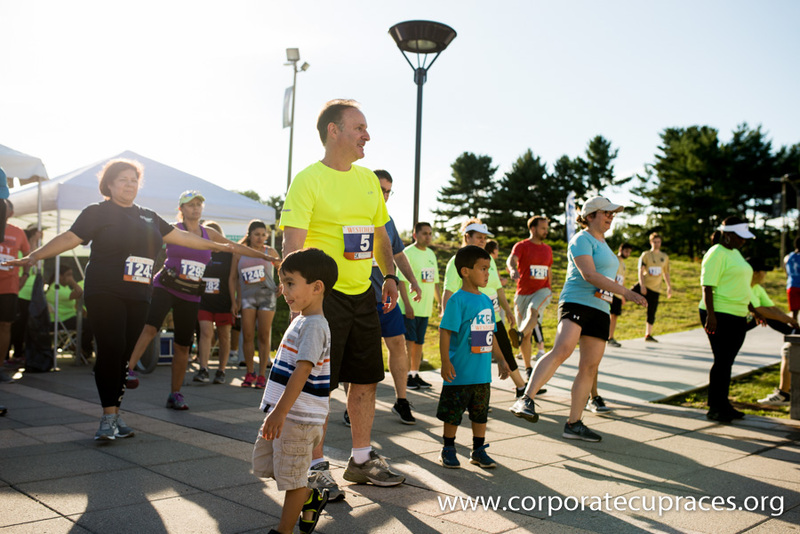 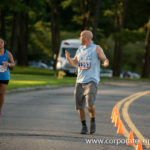 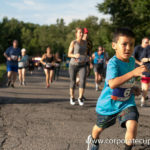 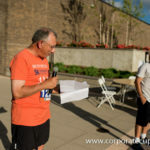 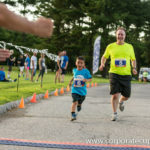 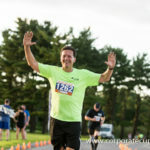 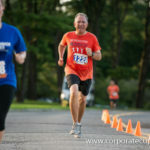 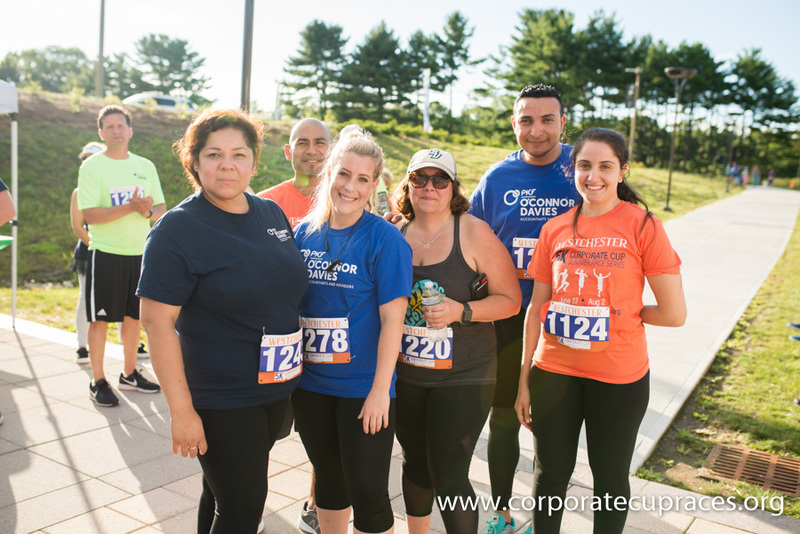 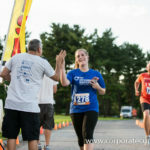 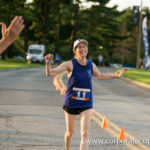 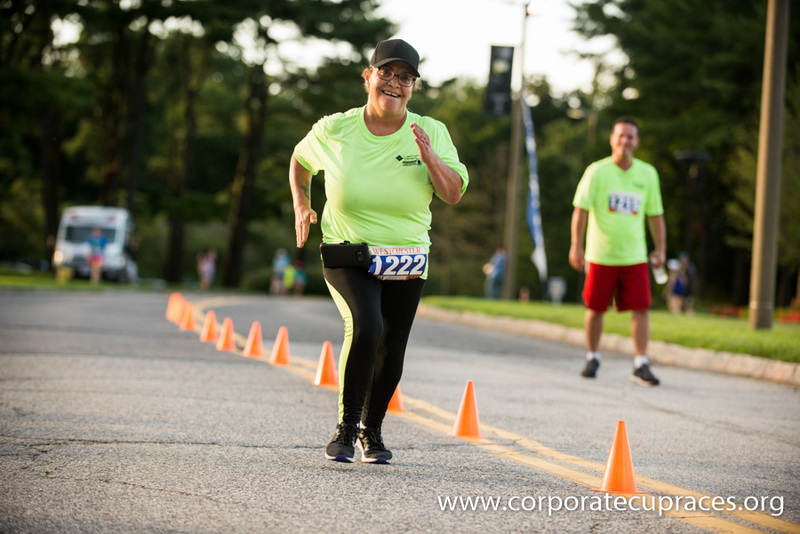 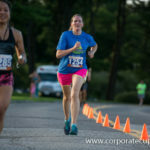 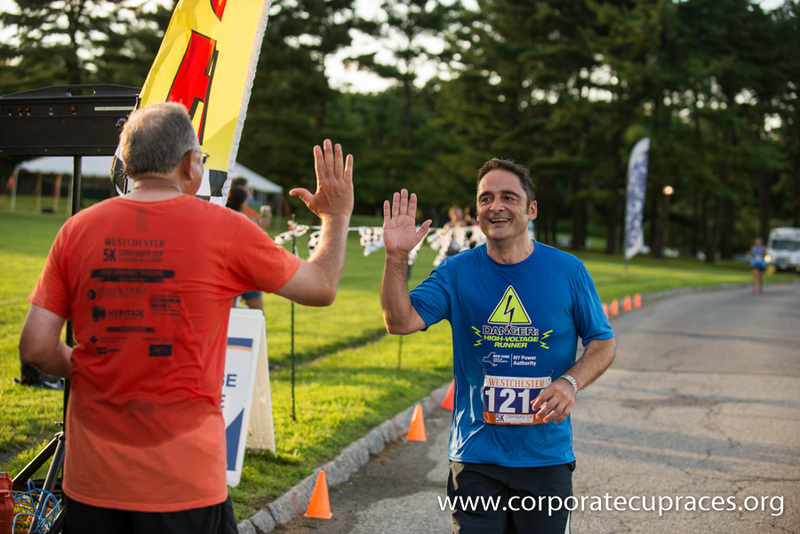 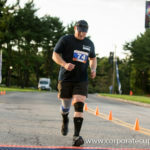 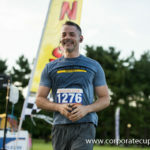 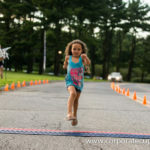 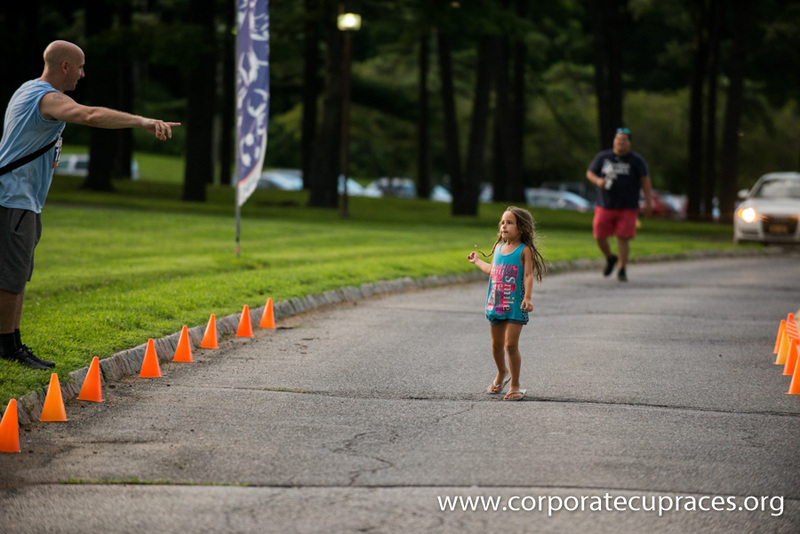 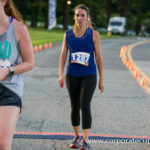 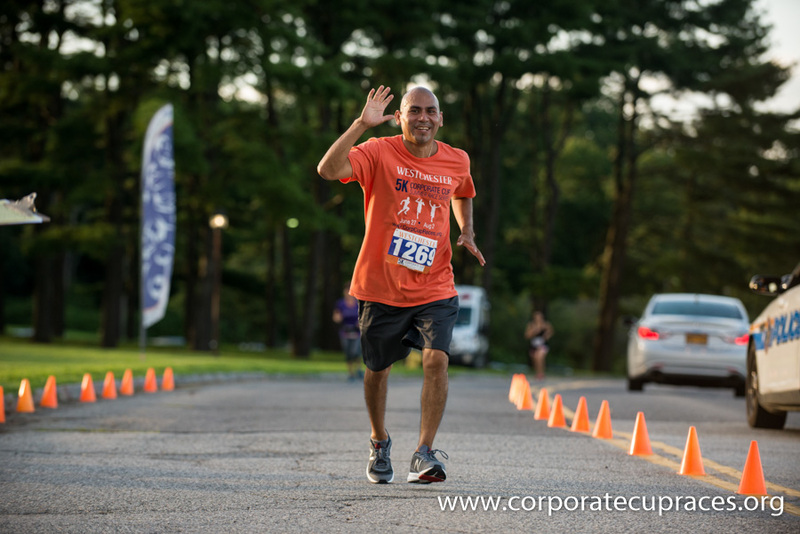 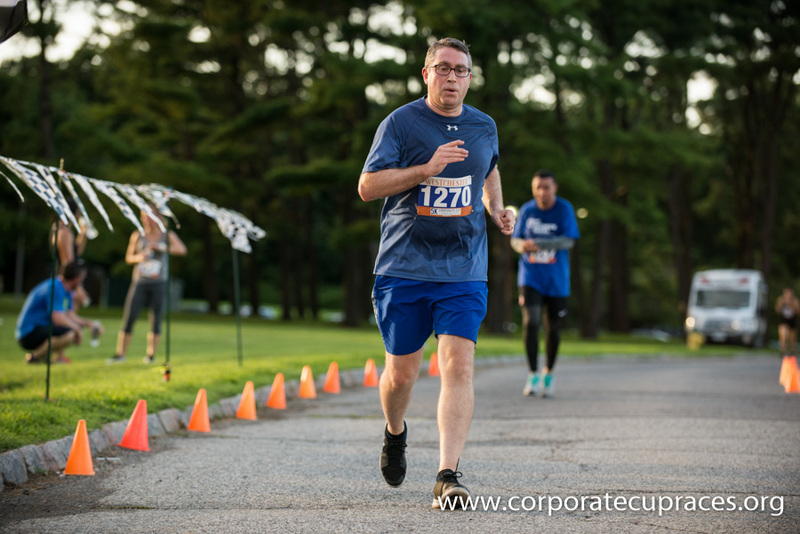 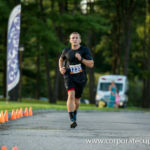 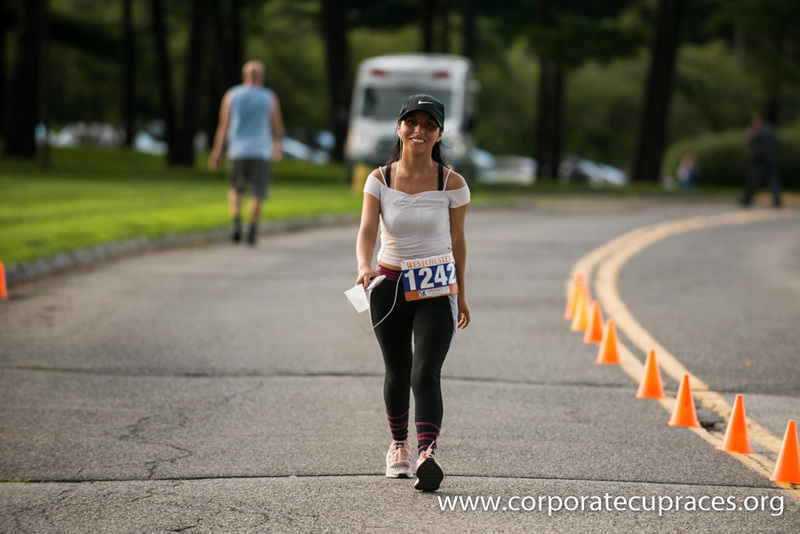 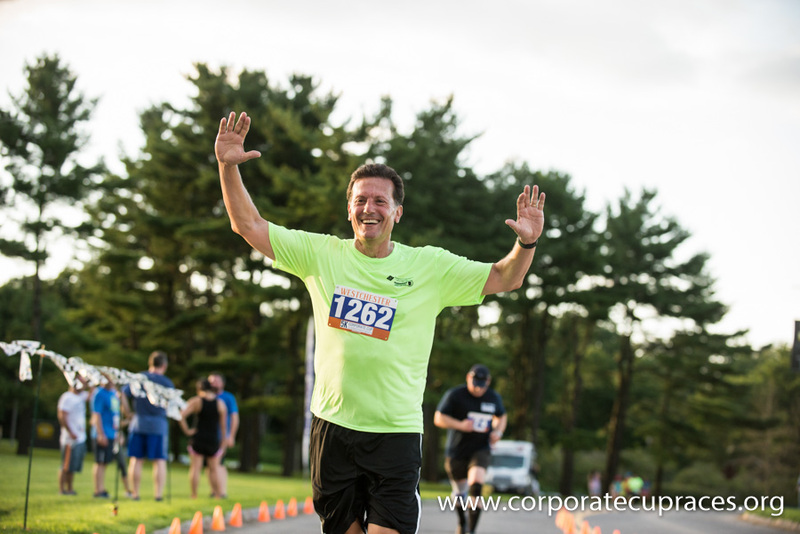 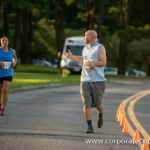 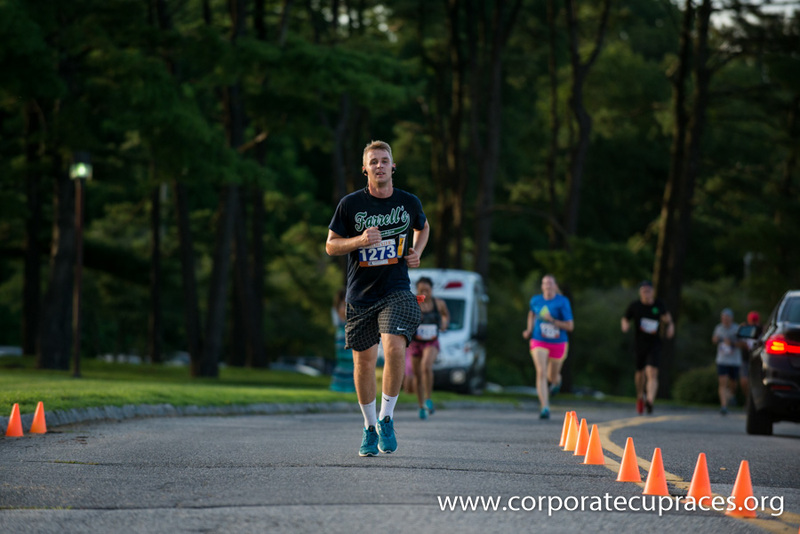 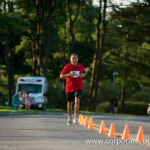 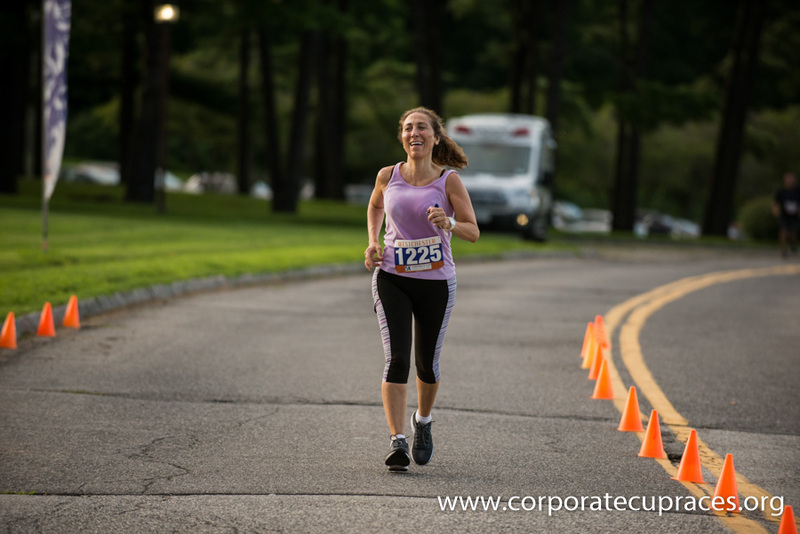 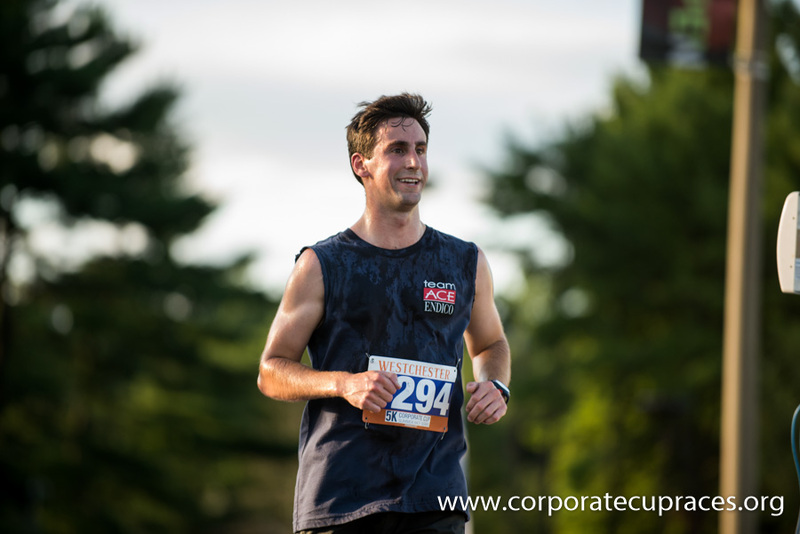 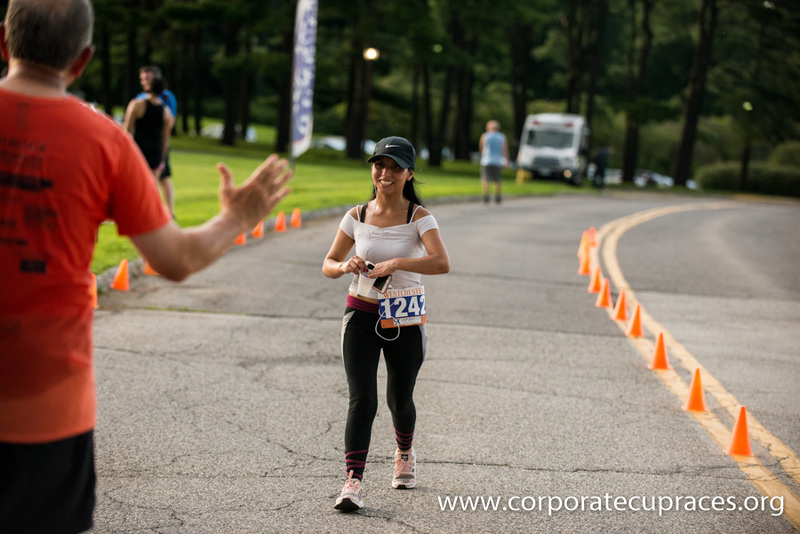 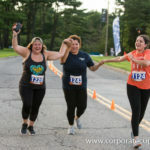 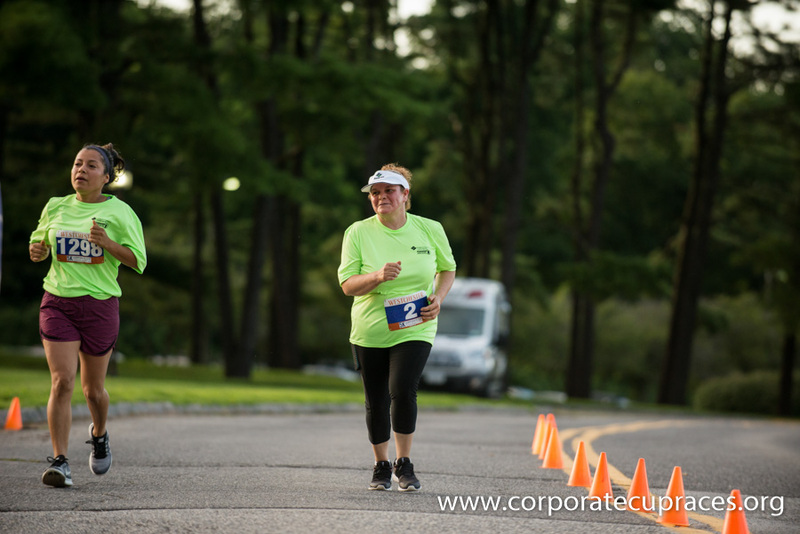 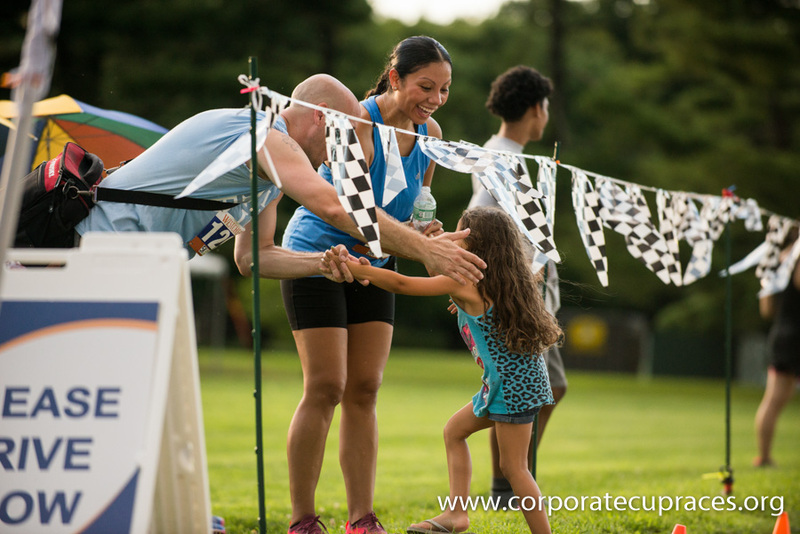 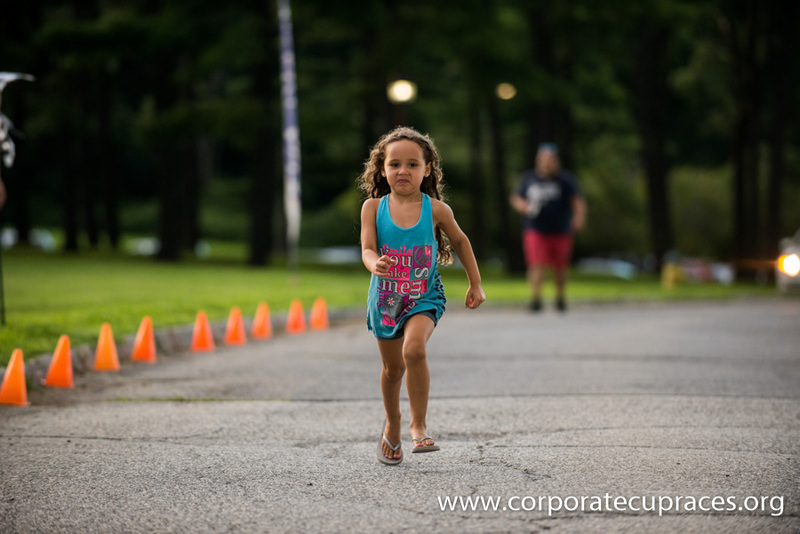 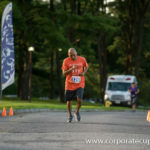 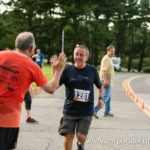 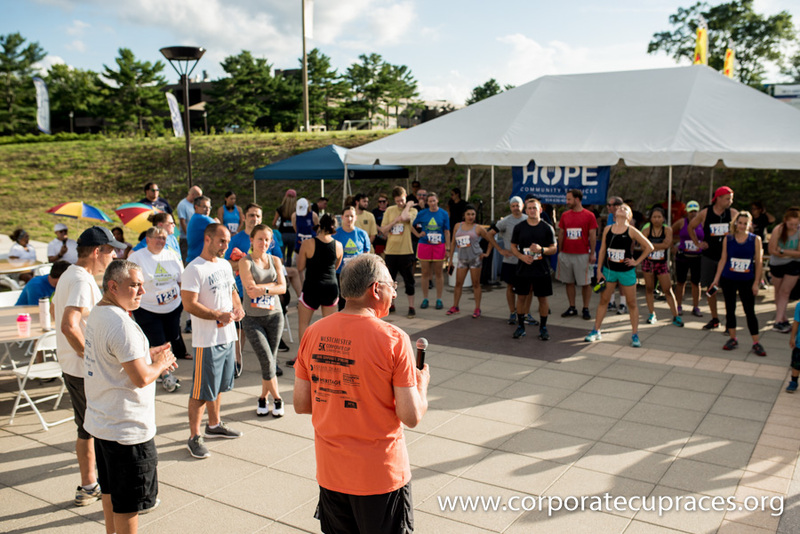 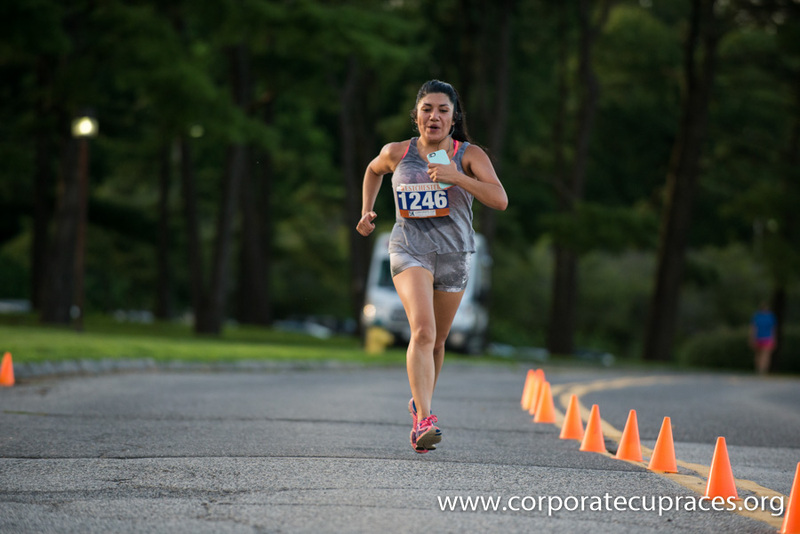 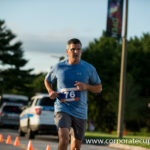 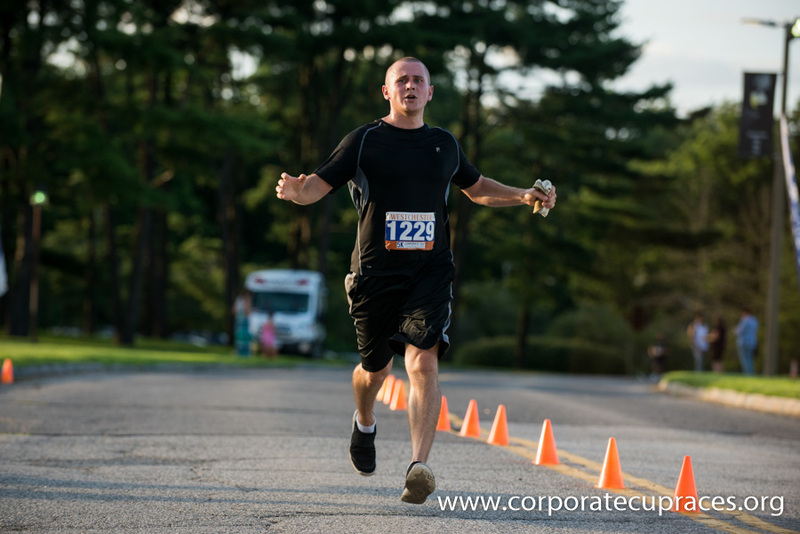 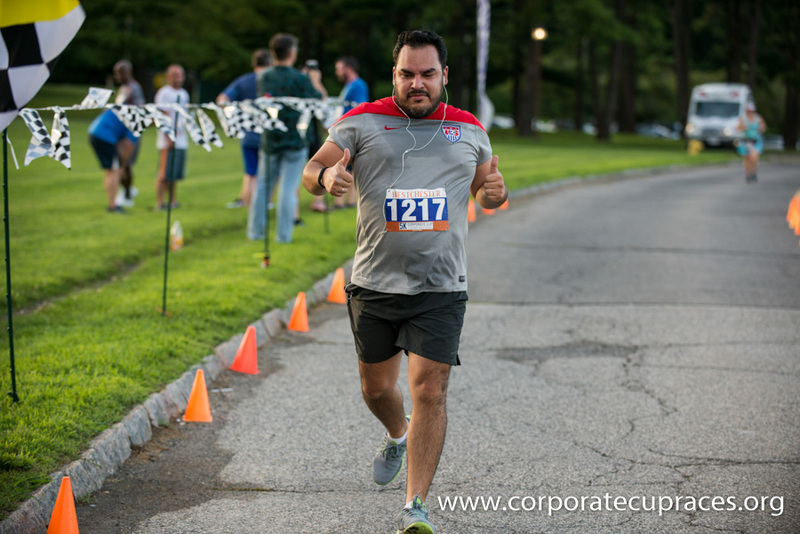 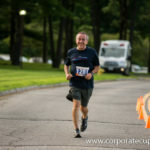 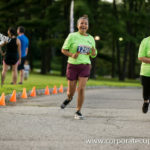 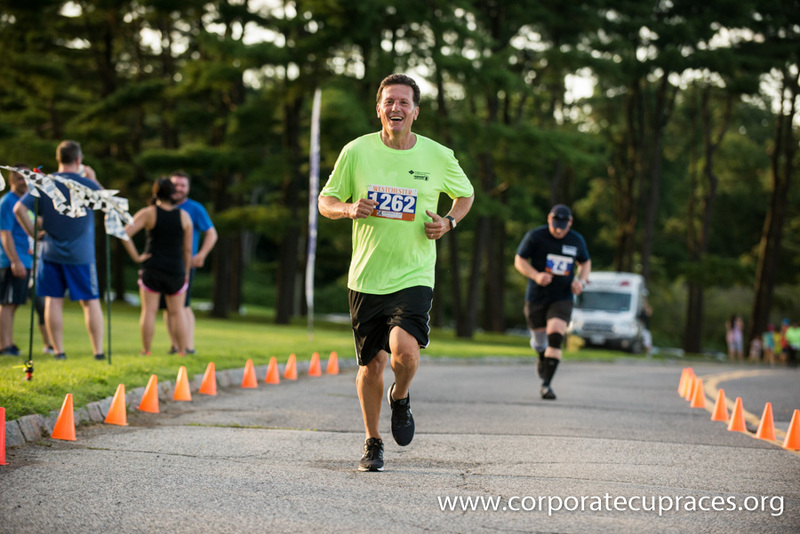 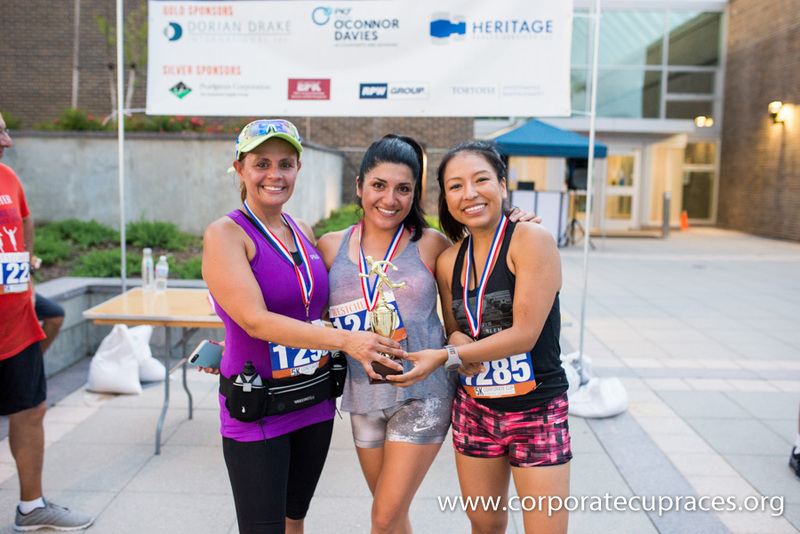 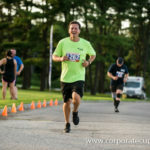 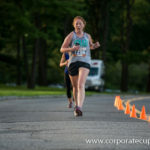 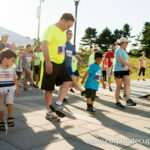 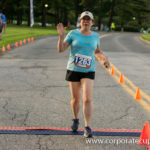 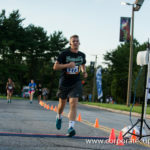 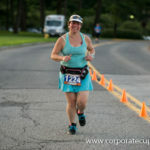 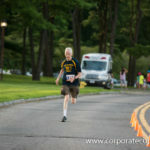 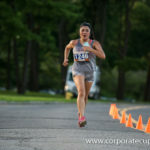 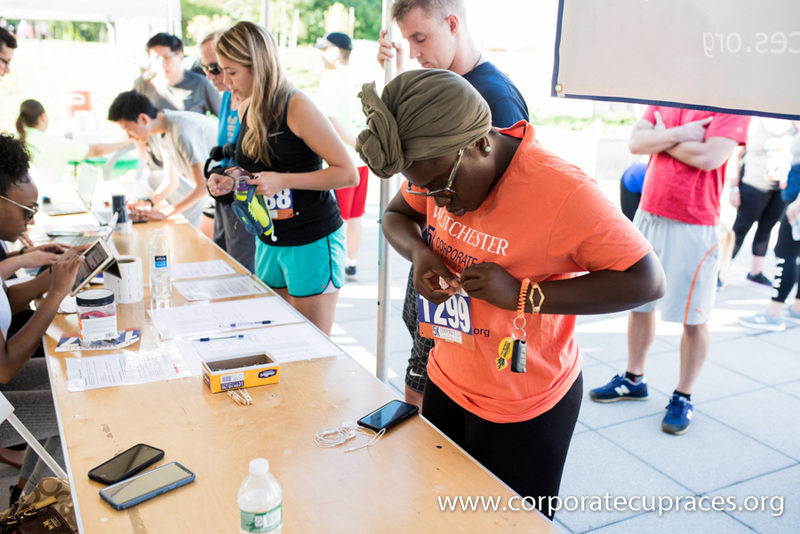 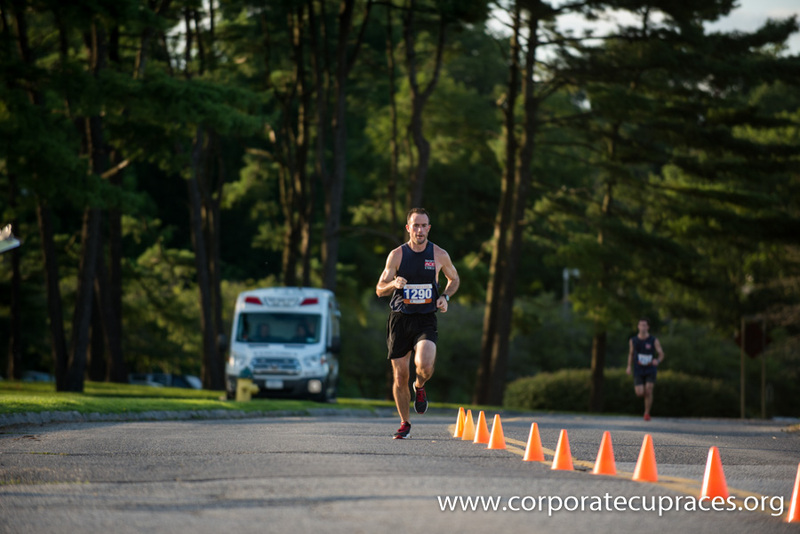 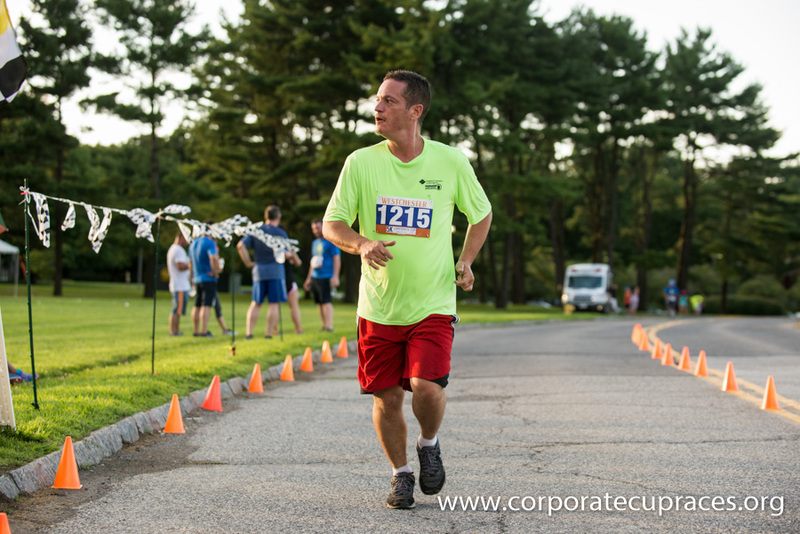 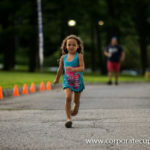 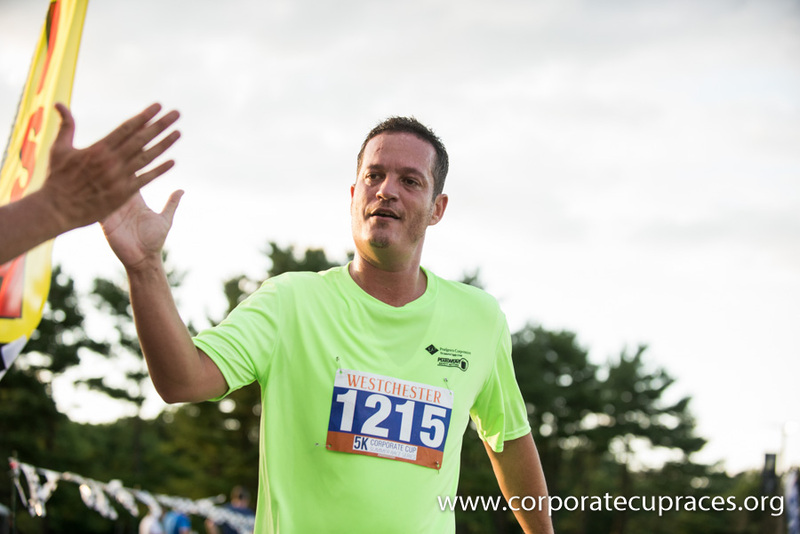 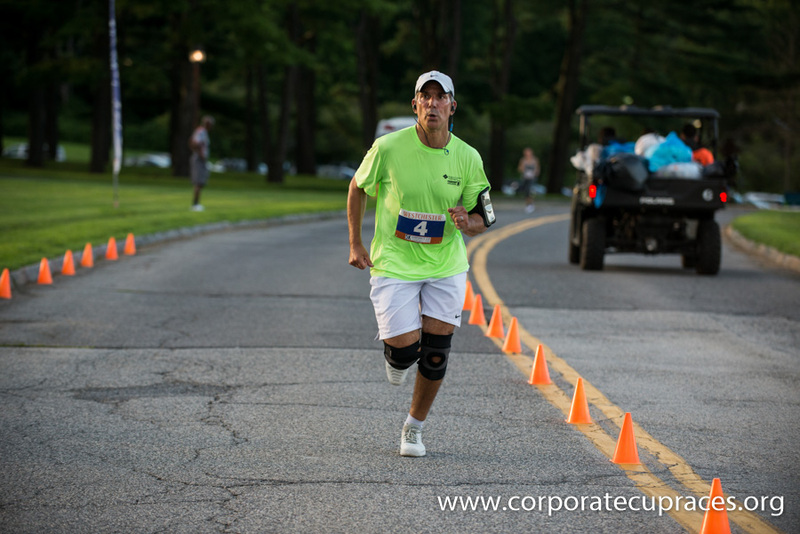 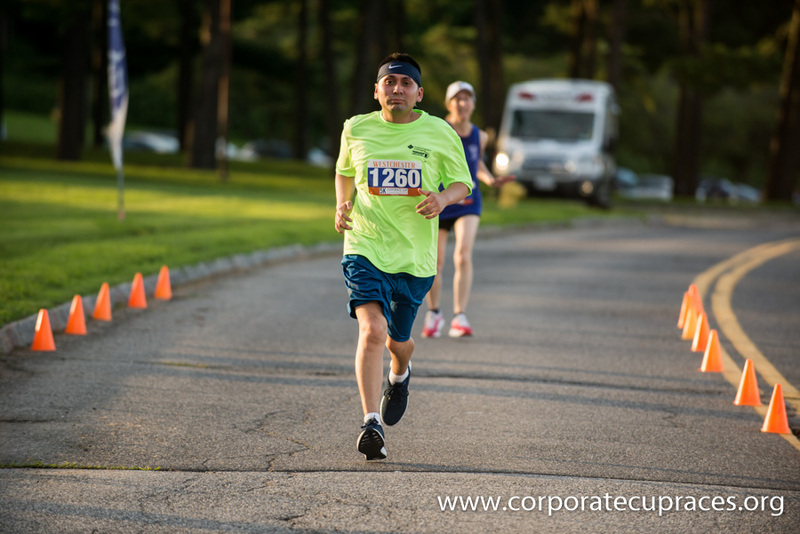 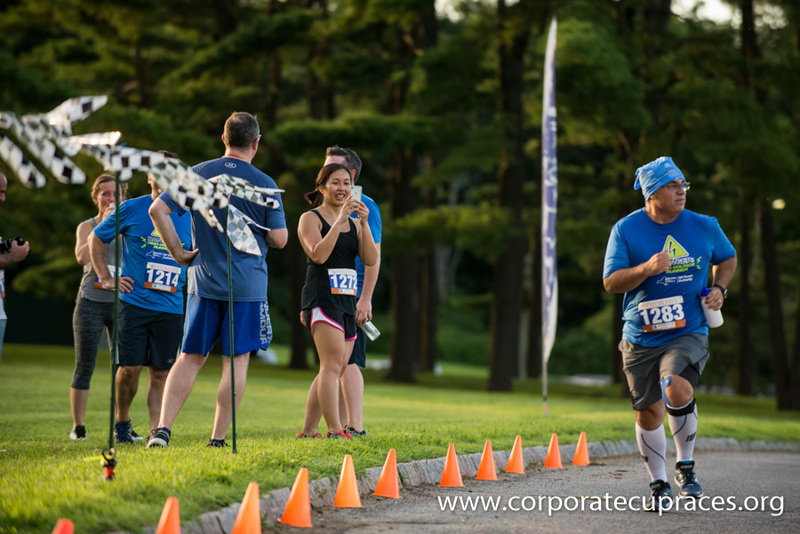 The second race of 2018 Westchester Corporate Cup 5k Summer Race Series was held on Thursday, August 2nd at Purchase College. 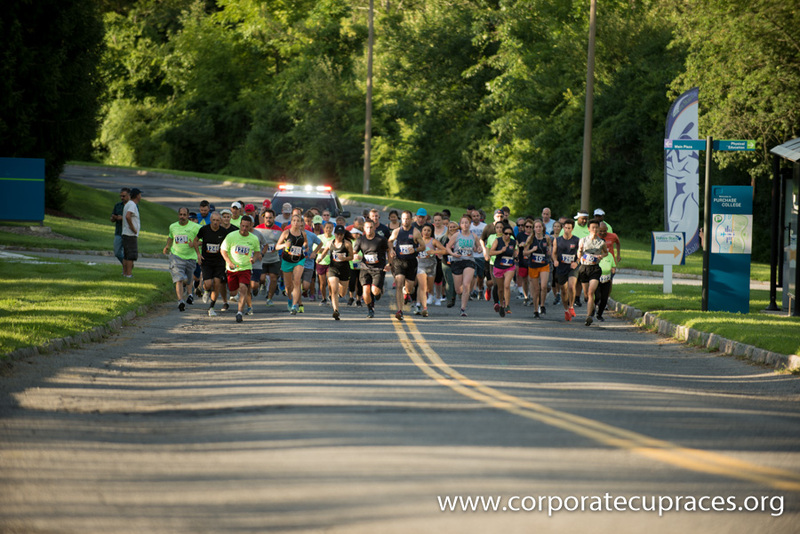 We had a good turnout for the second and last race of the year! 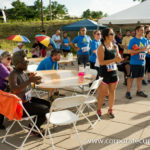 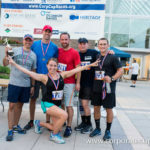 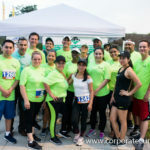 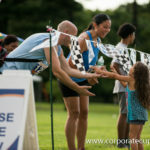 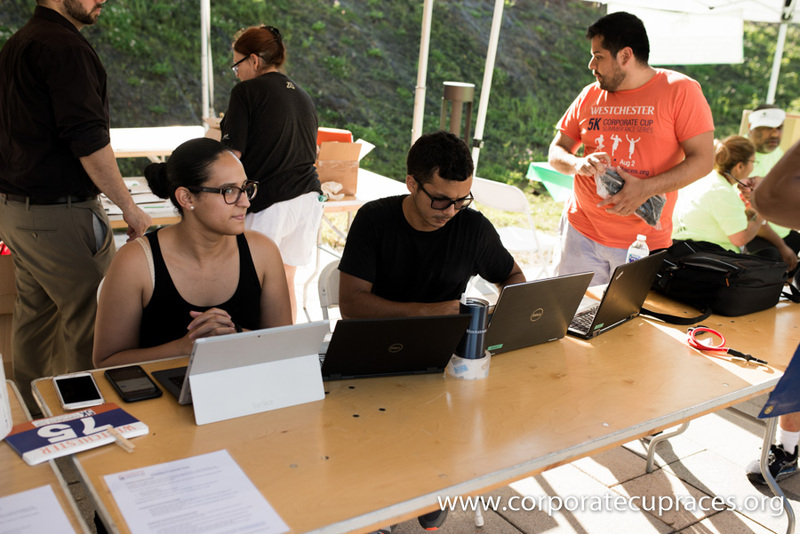 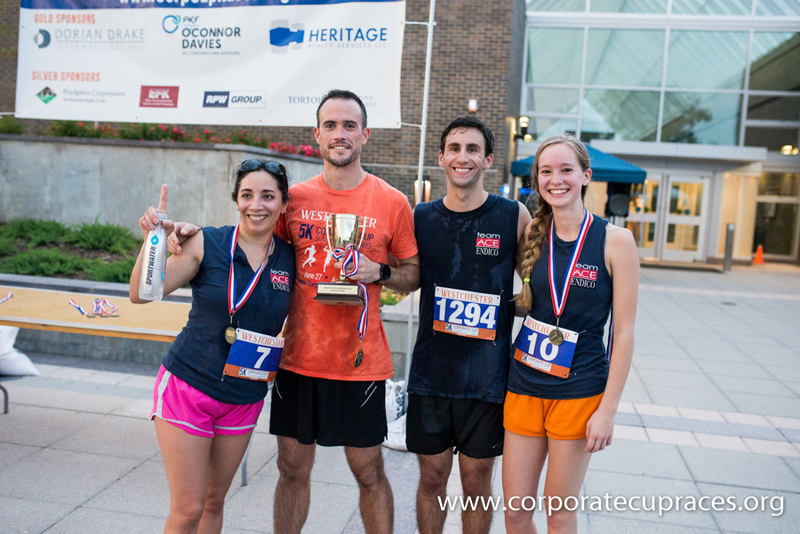 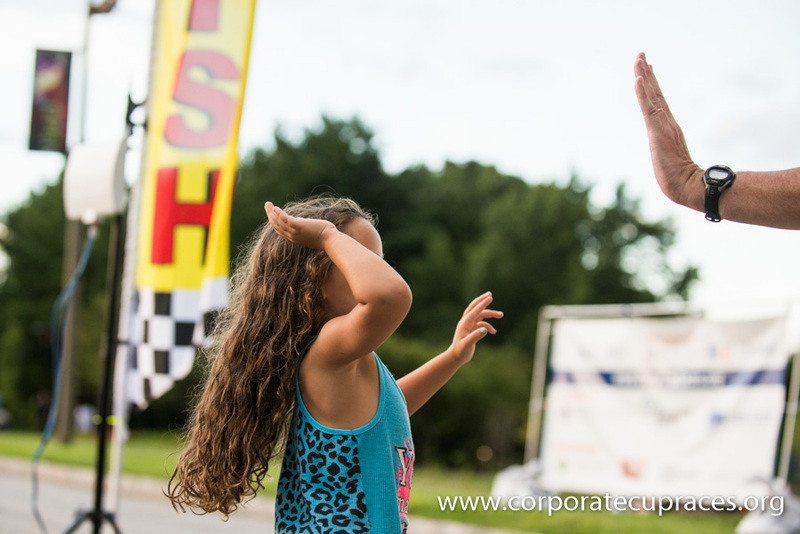 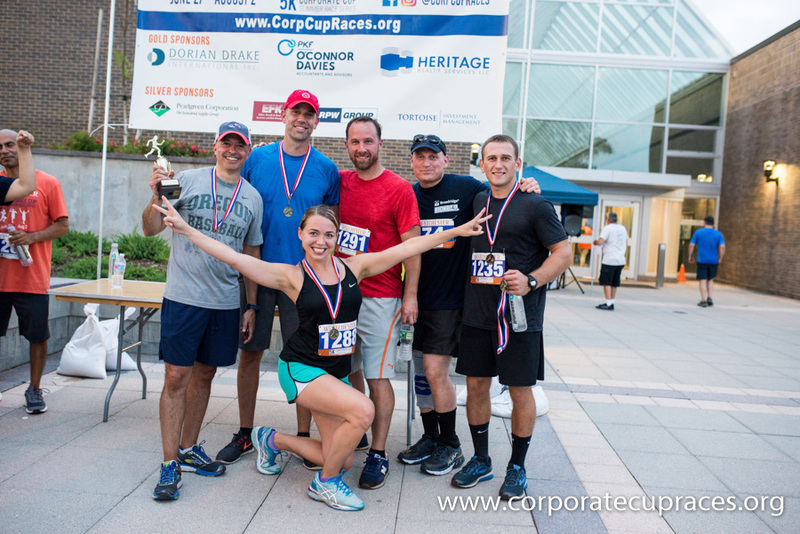 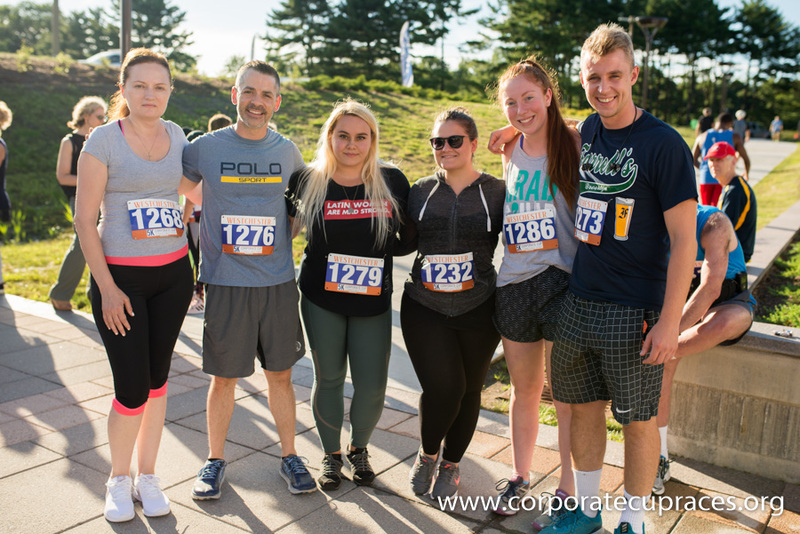 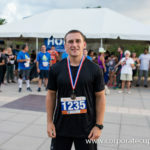 Congratulations to Ace Endico’s Co-Ed team, Dorian Drake Women’s Team, and Broadridge Men’s team for coming in first in the Corporate Cup team categories. 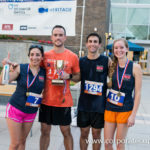 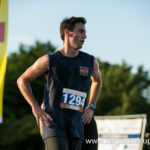 Congrats also to John Walsh and Elena Barrows for placing 1st overall male and female respectively. 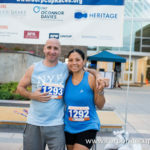 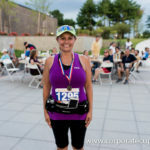 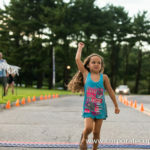 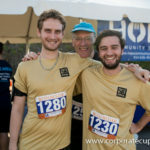 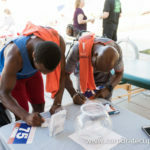 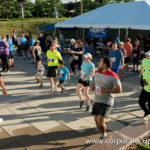 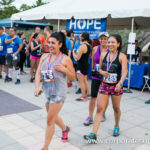 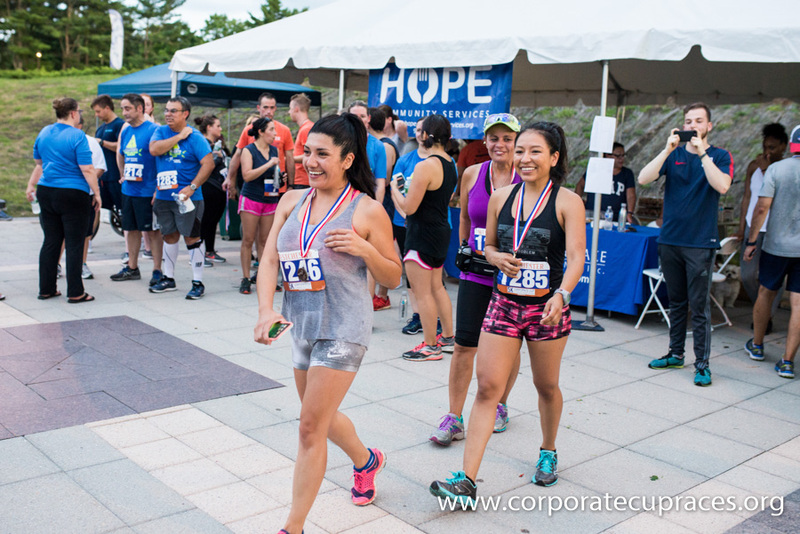 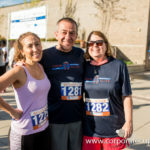 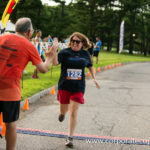 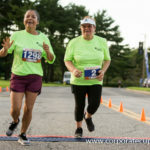 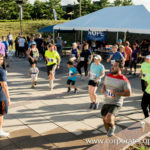 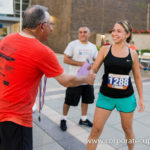 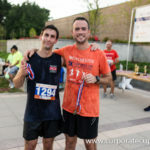 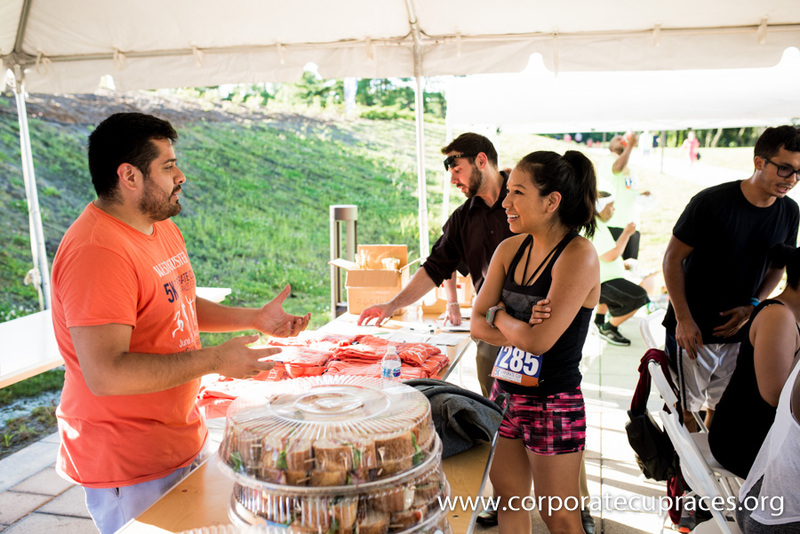 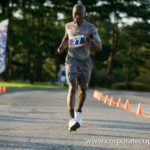 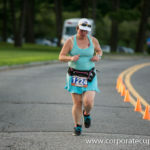 Please note that all proceeds from our race series go directly to Hope Community Services to help feed the underprivileged living in New Rochelle and to provide homeless services for the needy throughout Westchester County. 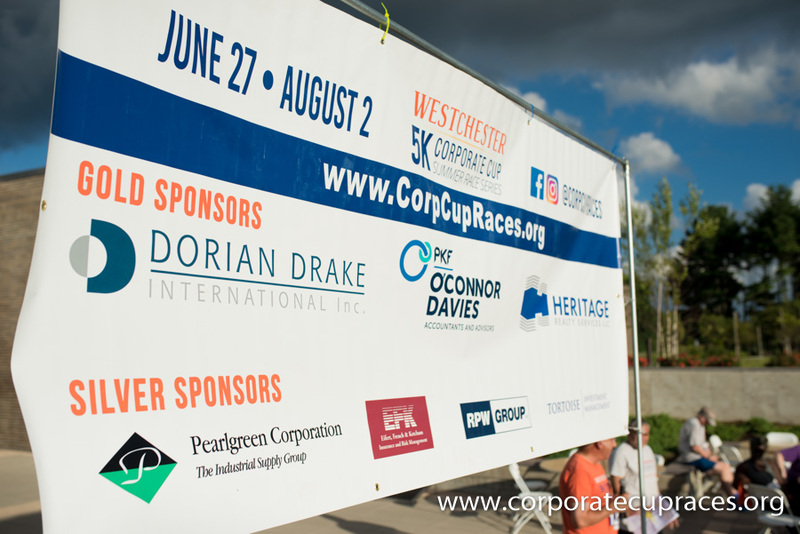 Thank you to all of our Gold and Silver Corporate Sponsors, whom without this sponsorship these events wouldn’t be possible. 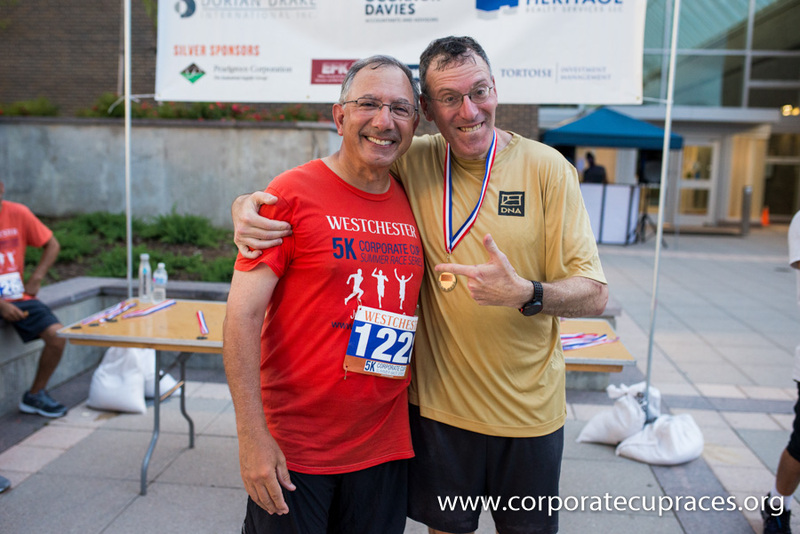 These are great pillars of the Westchester County business community. 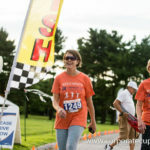 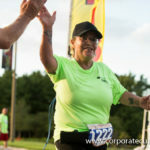 Thank you to all the race/walk participants, and to our great volunteers who helped set up the race and man the water stations. 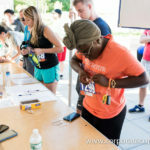 At the water stations, in fact, we had staff from Hope Community Services and Dorian Drake International. 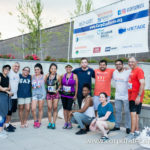 The event could not have been such a success without you all! 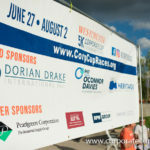 In addition to the wonderful organizations that consistently come out on race day, we want to thank Dorian Drake International for all of the volunteers and food, PKF O’Connor Davies for supplying event seating and banquet tables, Sportwater for supplementing water at the finish line along with some of our enthused volunteers. 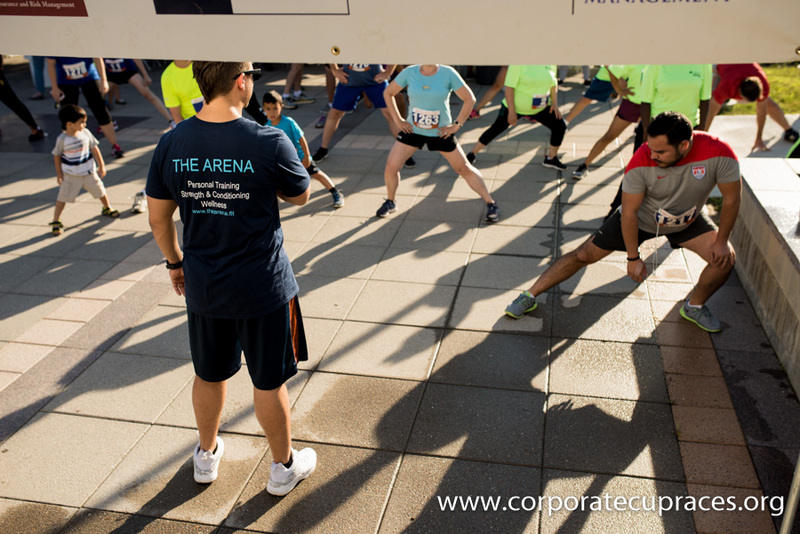 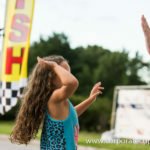 Thanks to Gina and Mike from The Arena that came out as well and led an awesome pre-race warm-up with dynamic stretches and provided great massages and stretches to many of the runners. 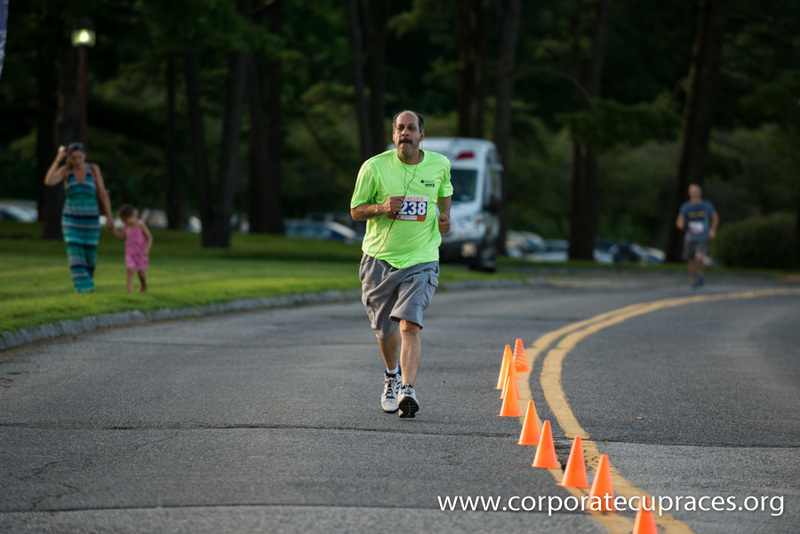 You can definitely see its impact in the results! 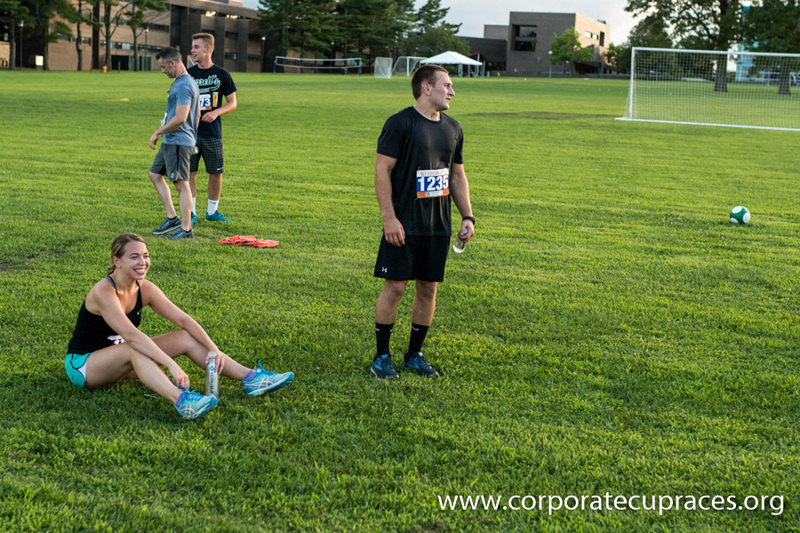 We look forward to seeing you at our next and last event of the year on Thursday, August 2nd.